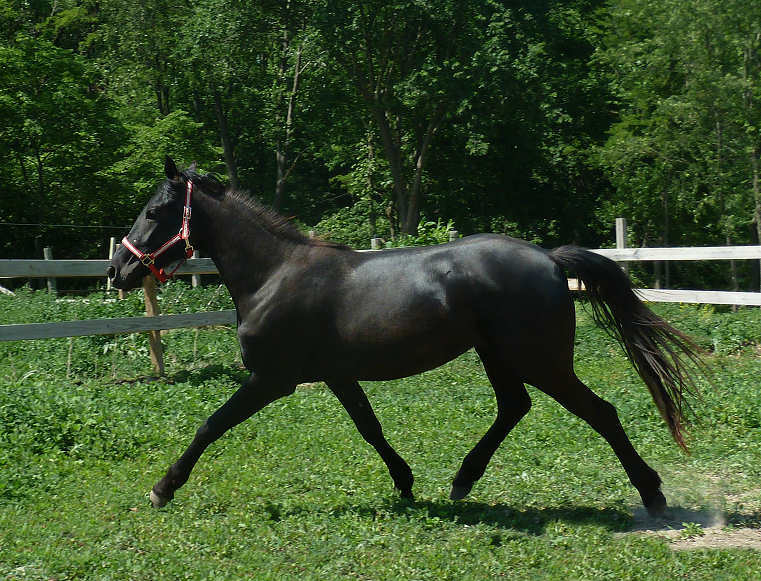 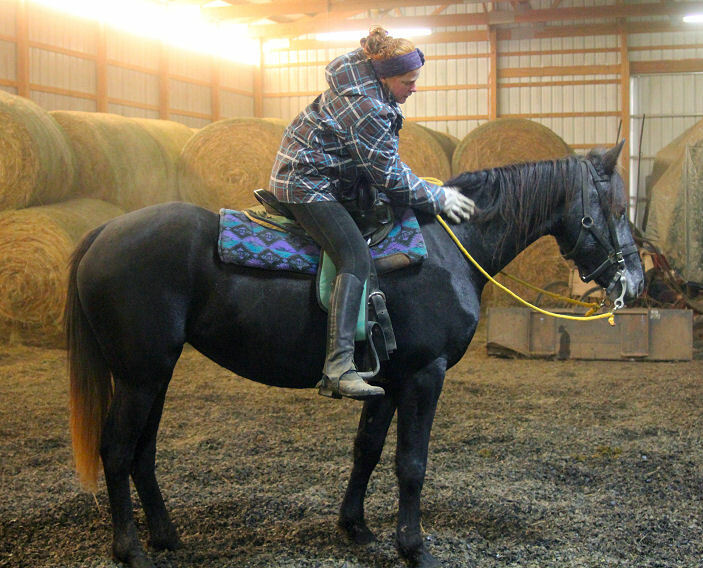 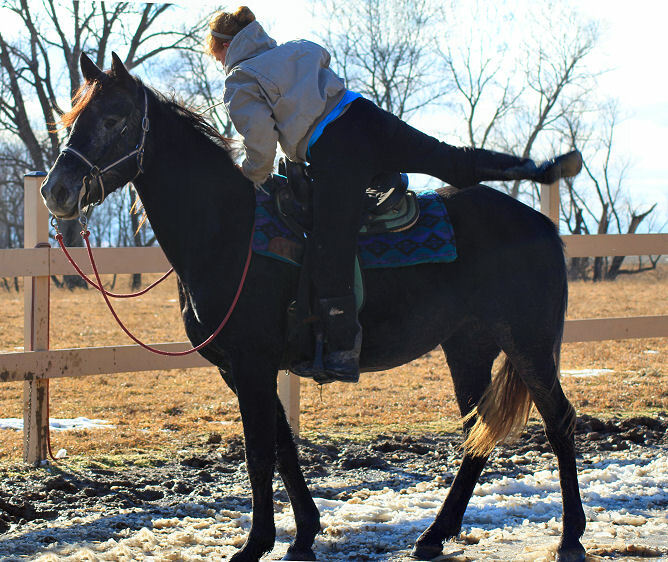 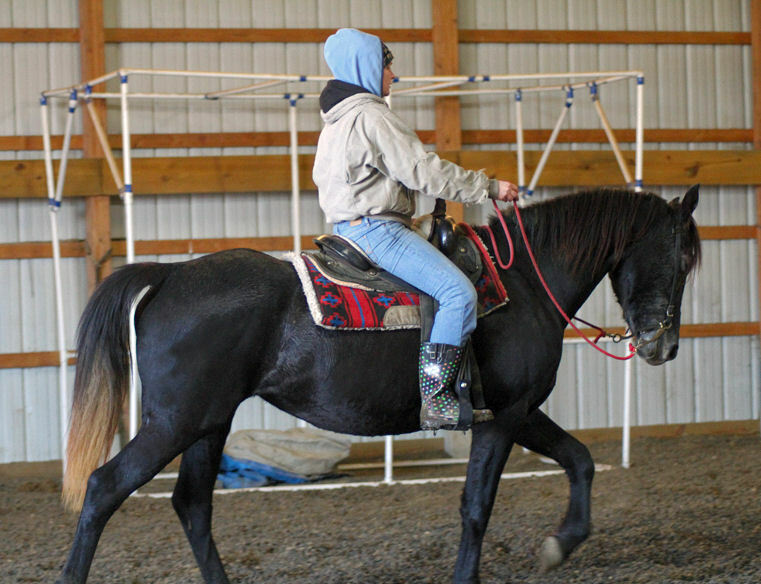 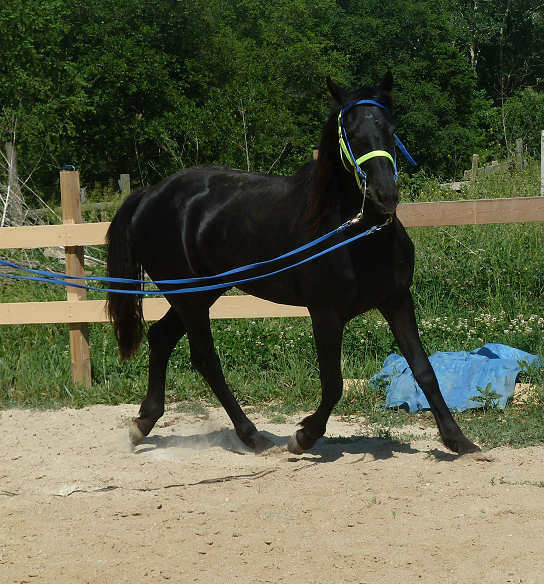 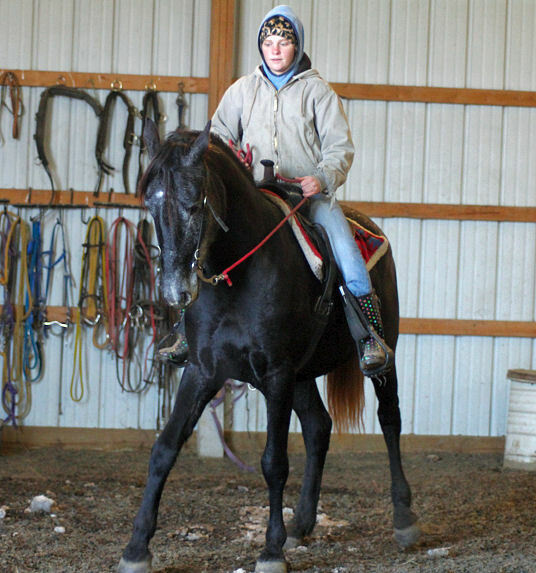 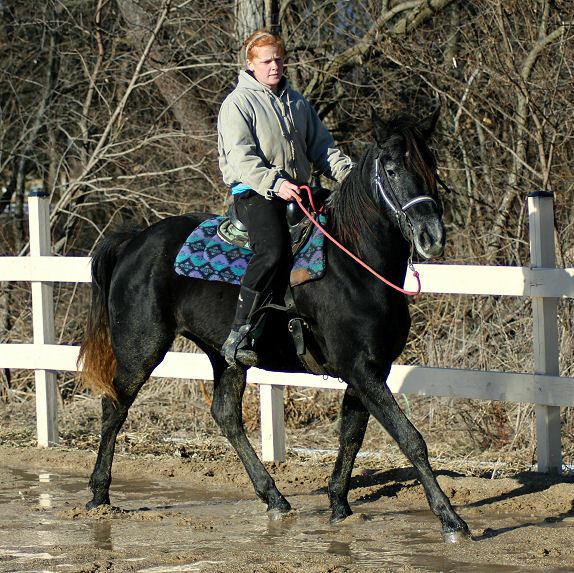 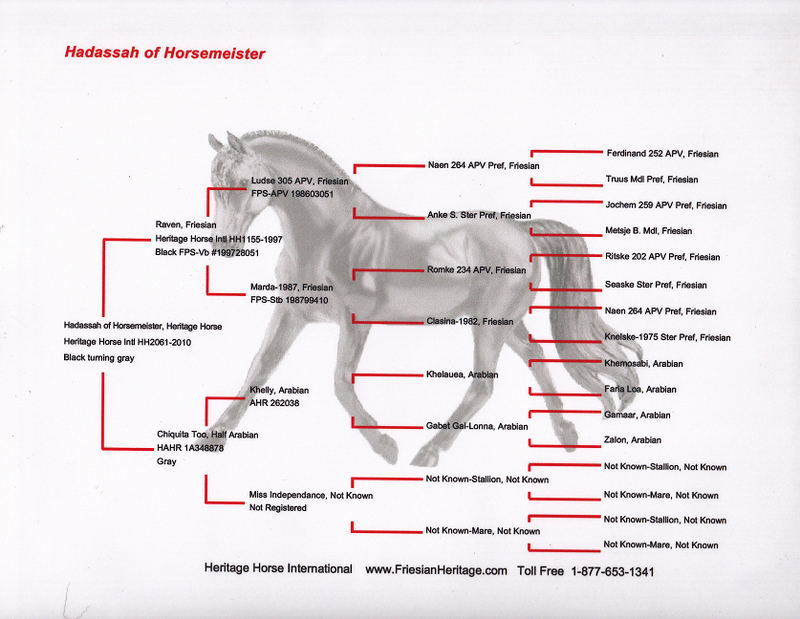 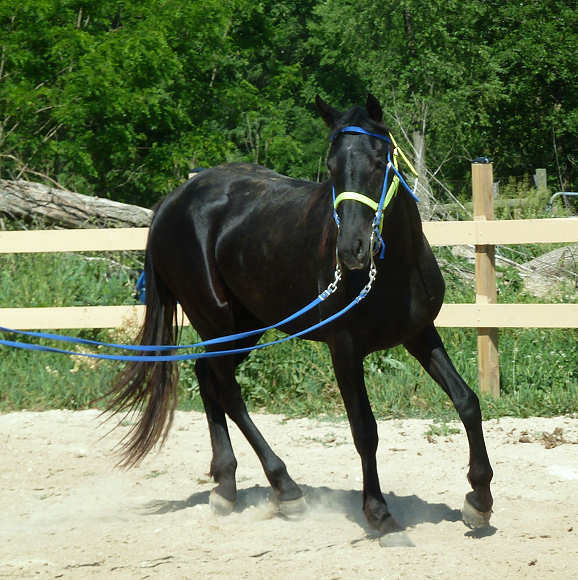 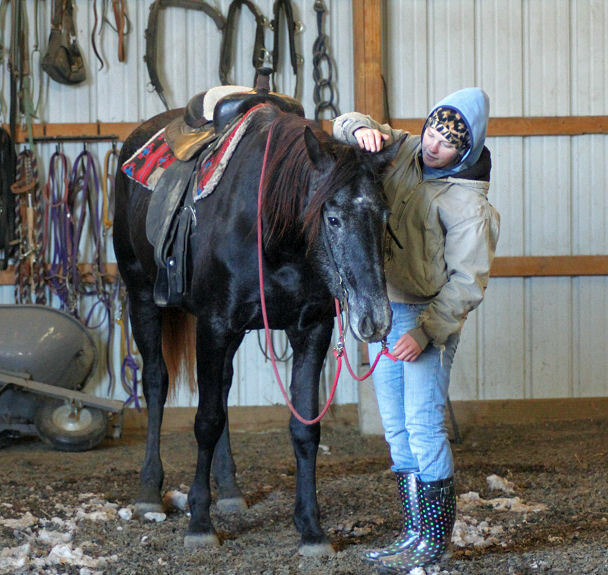 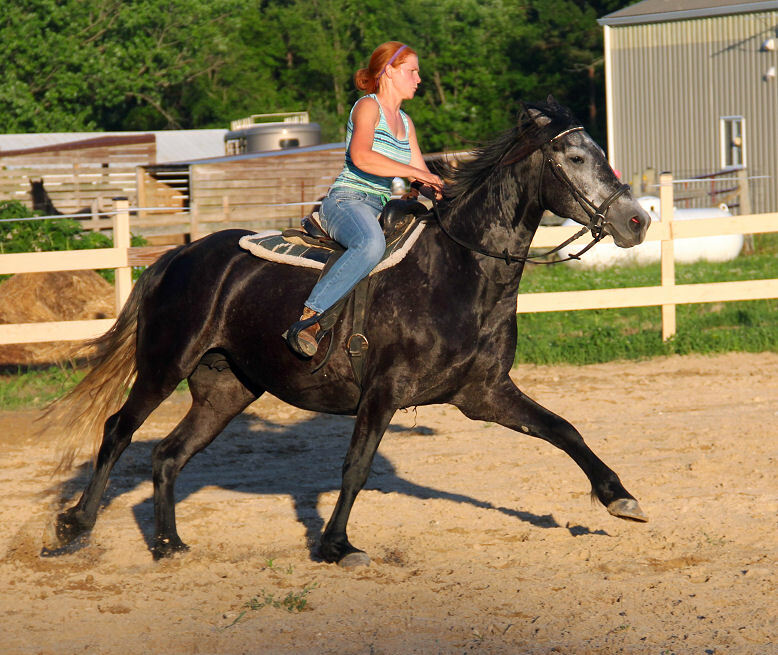 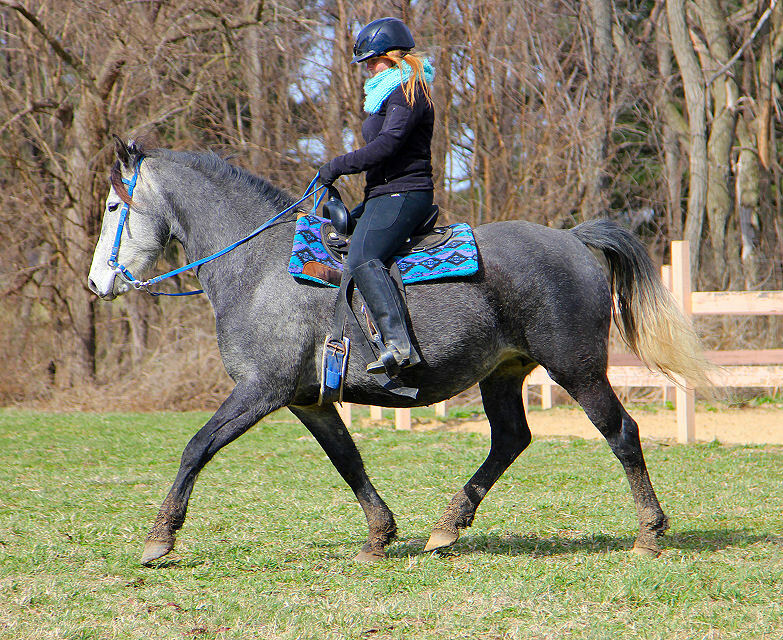 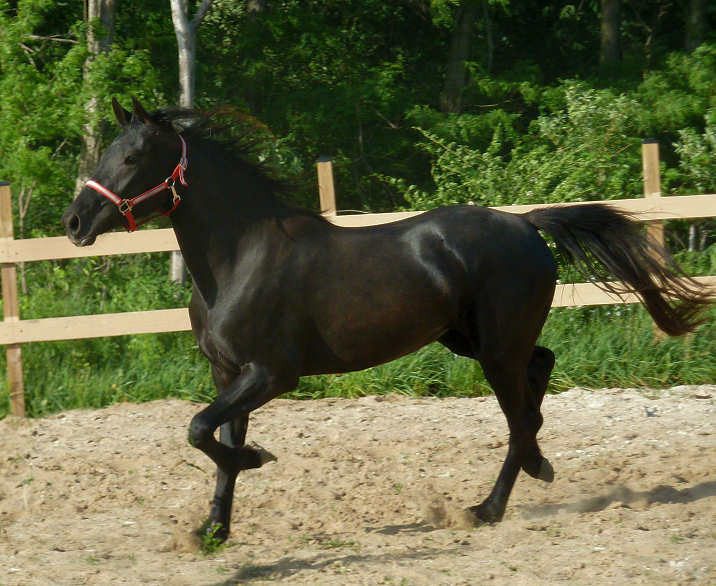 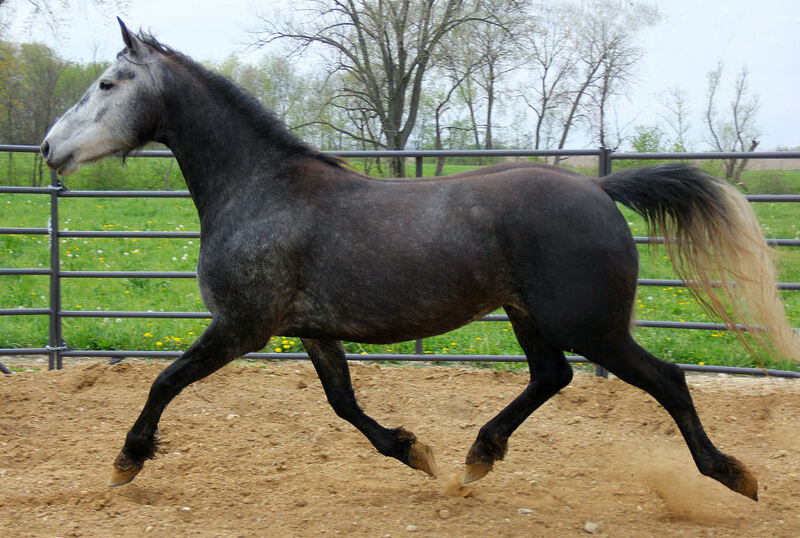 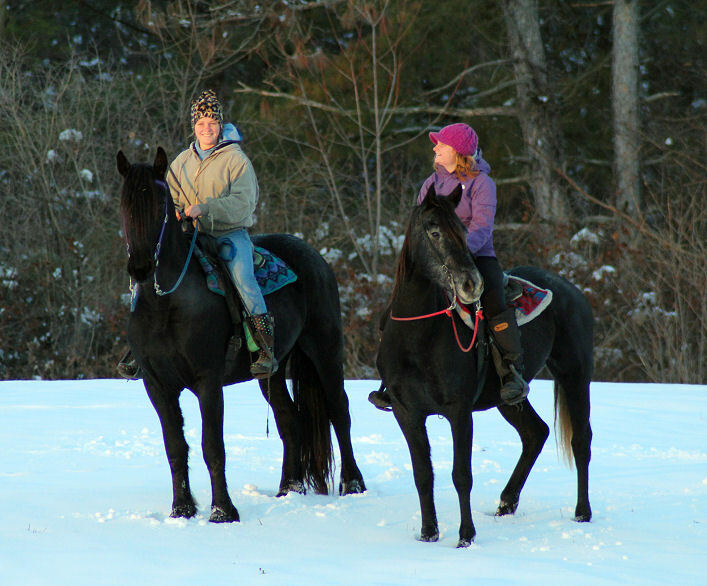 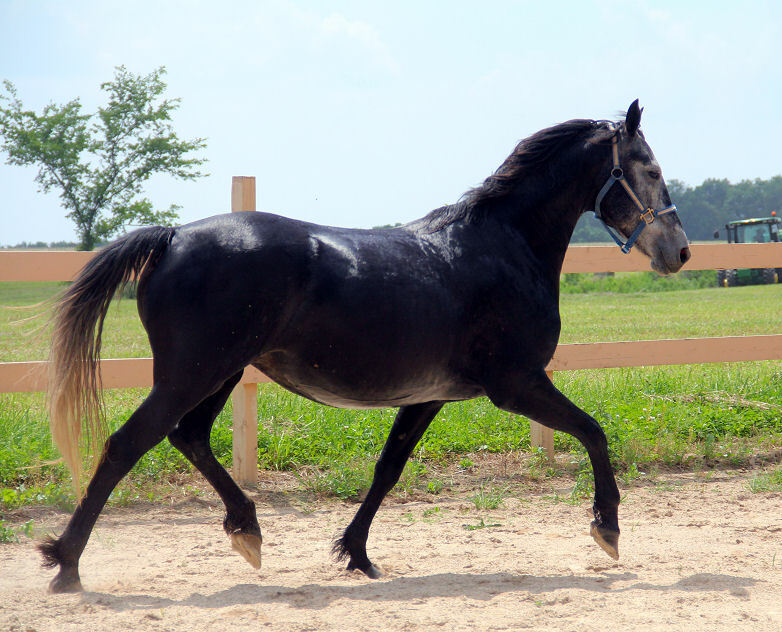 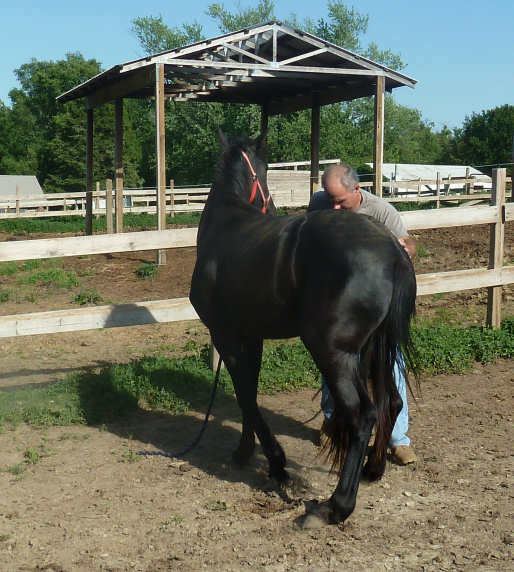 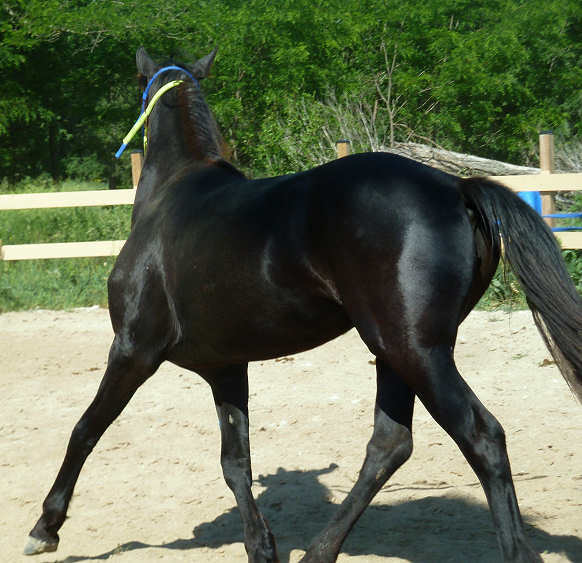 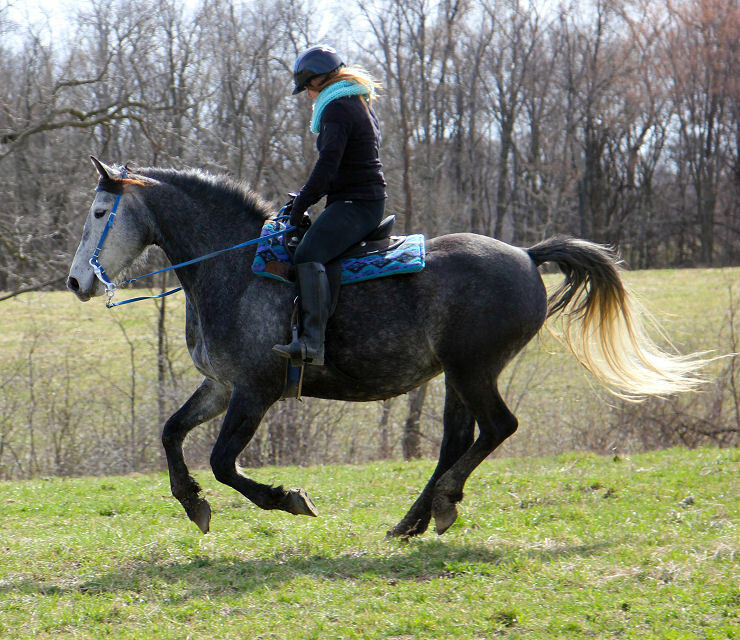 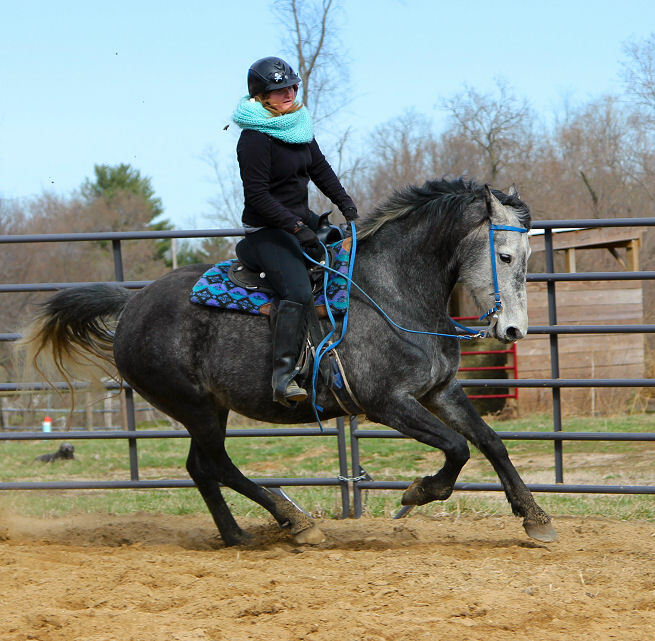 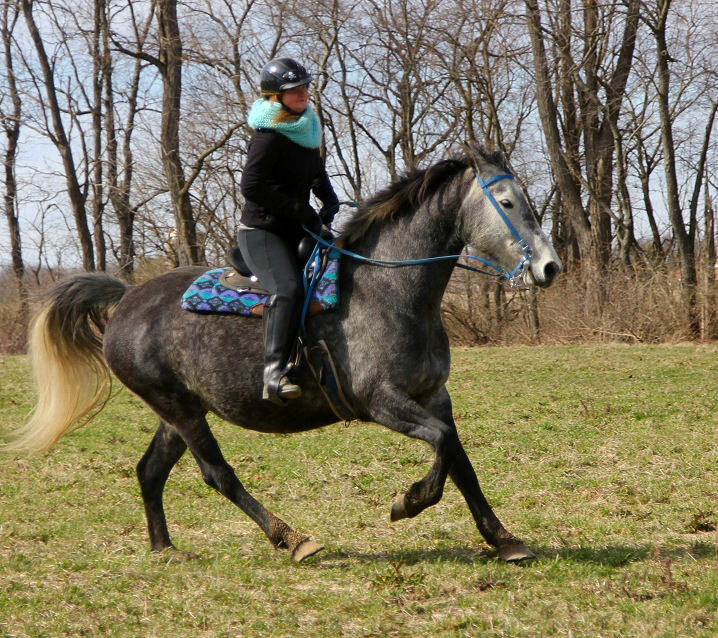 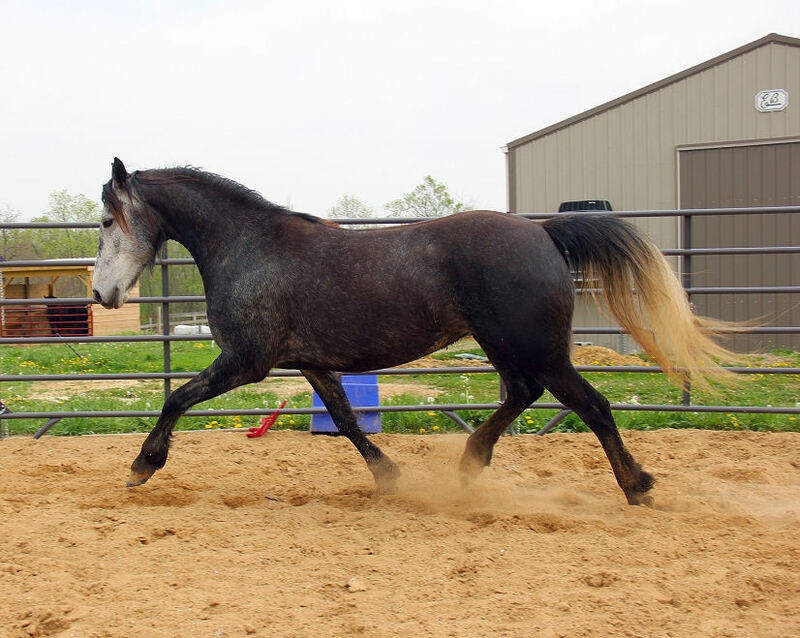 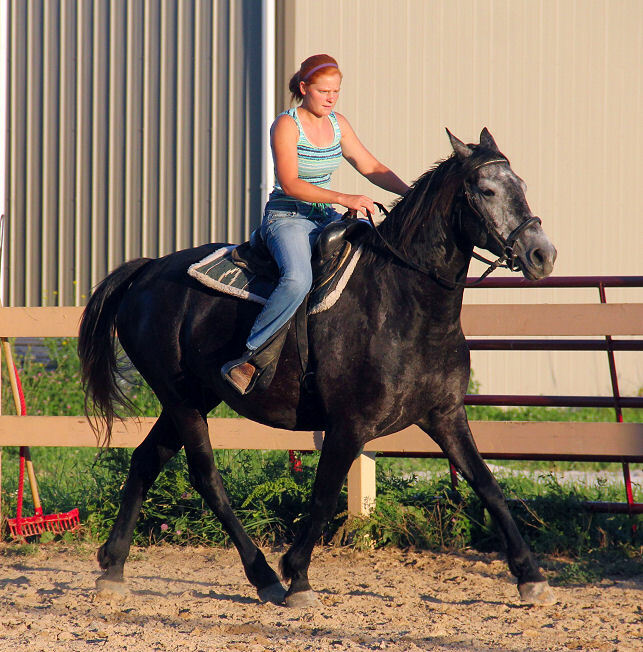 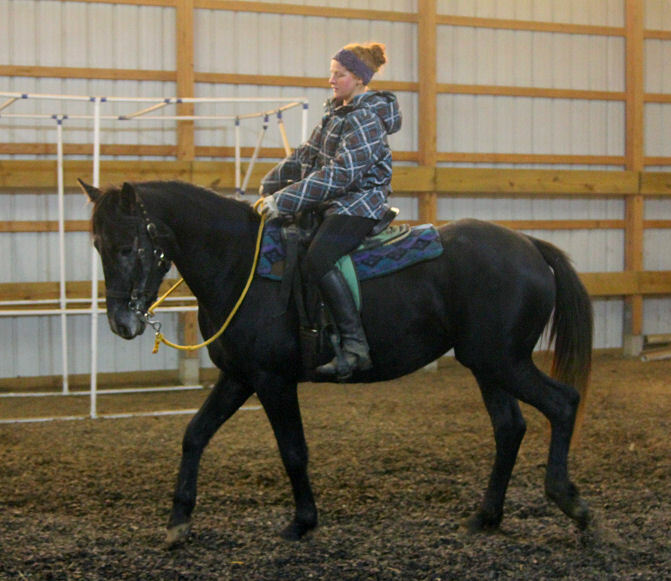 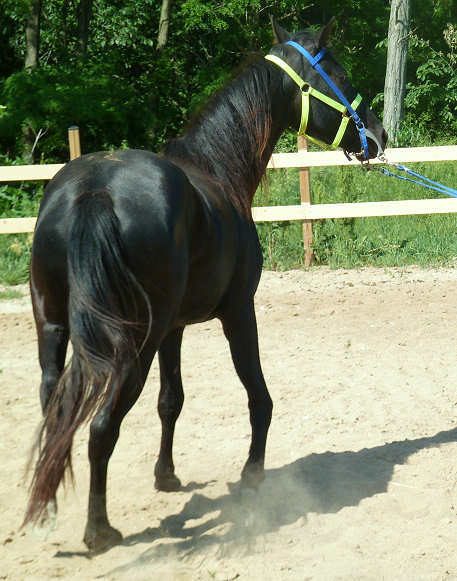 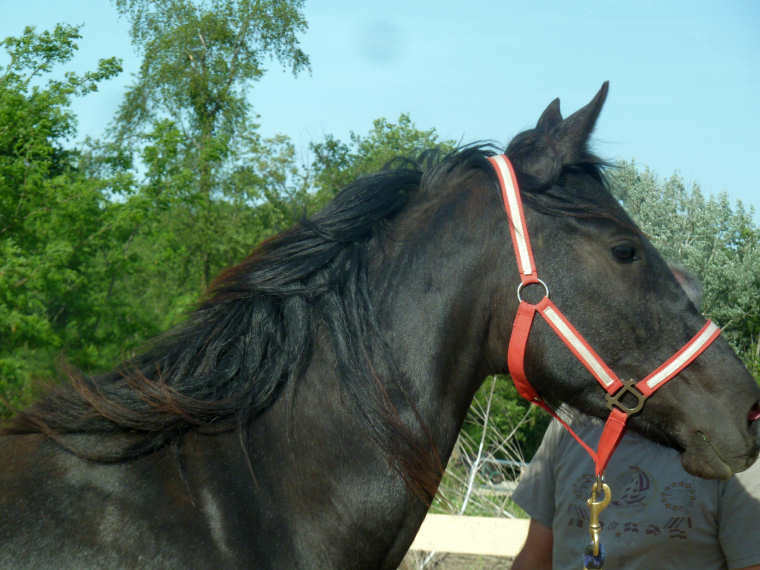 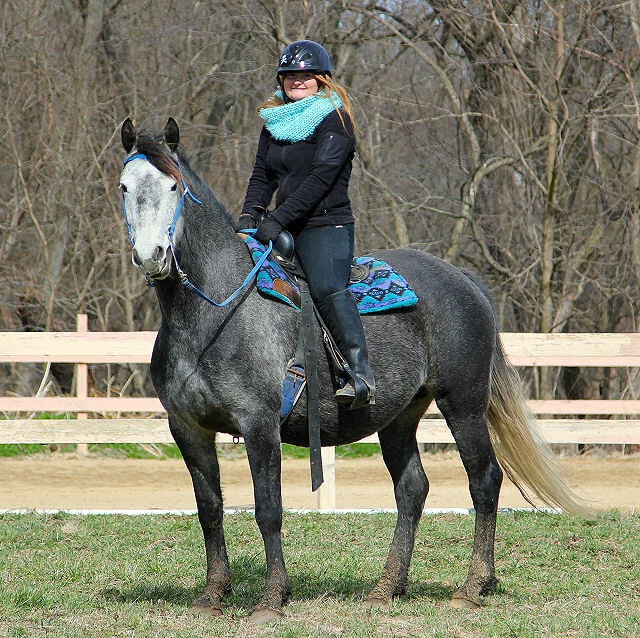 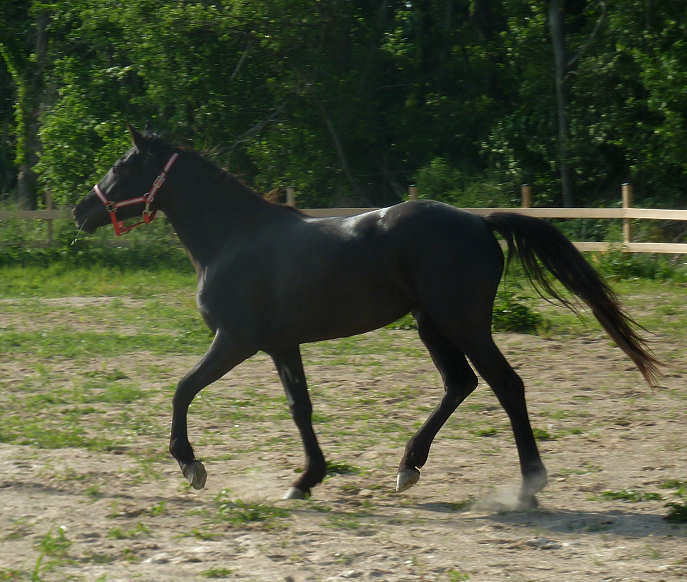 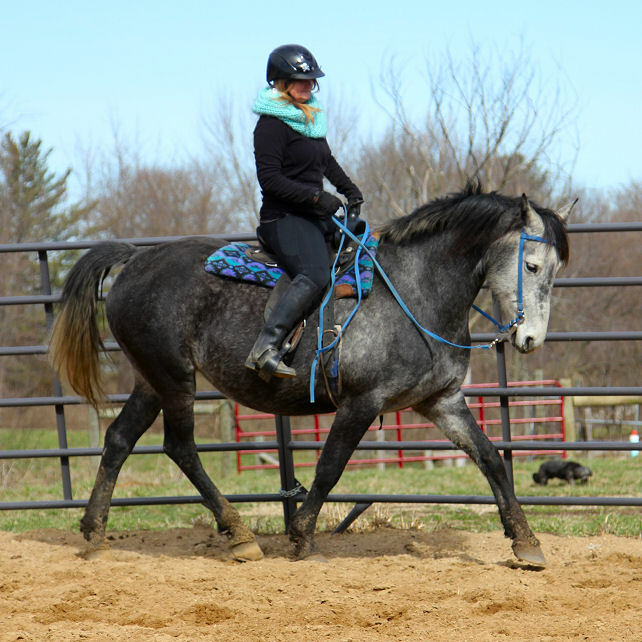 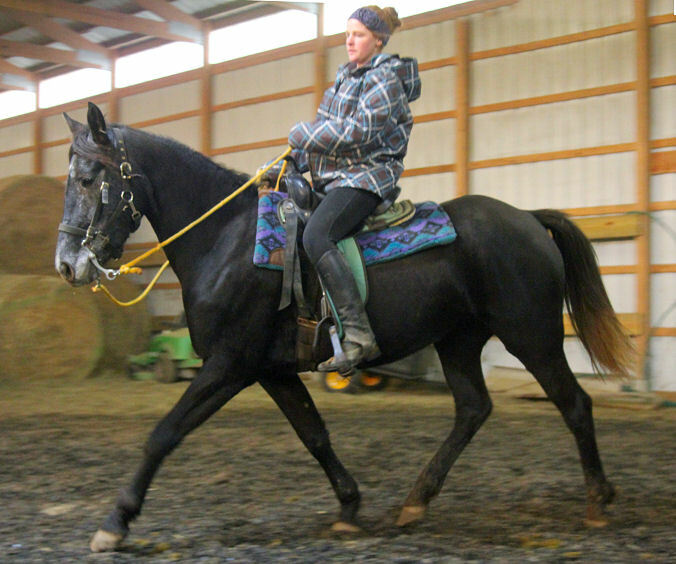 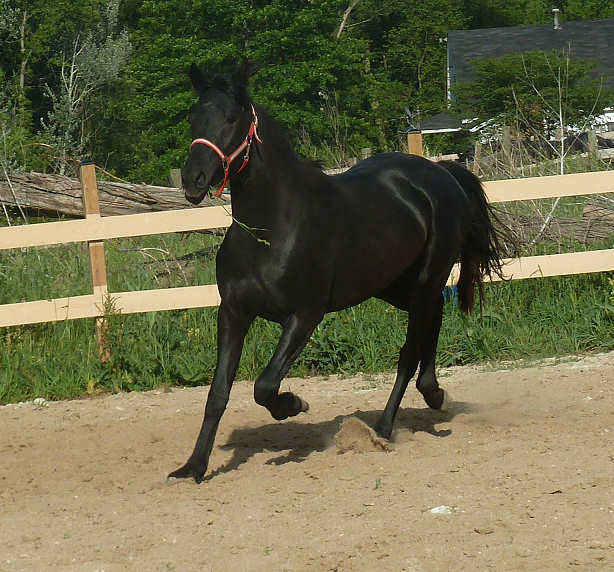 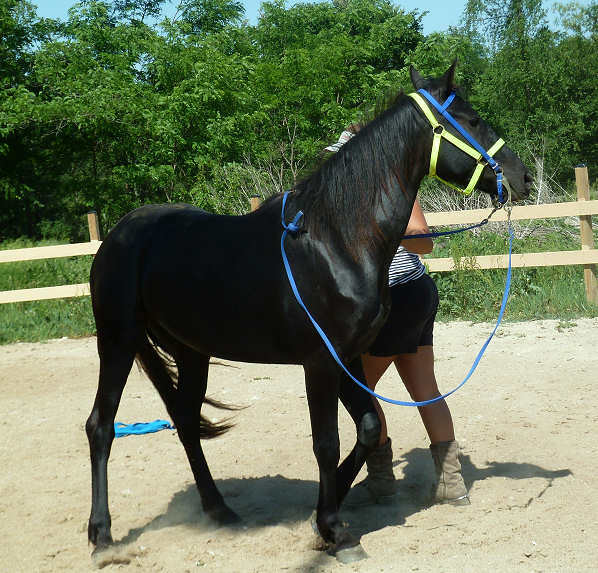 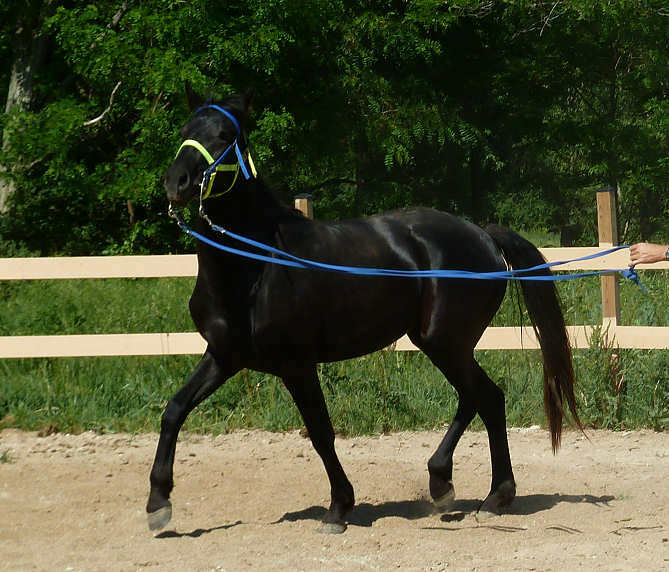 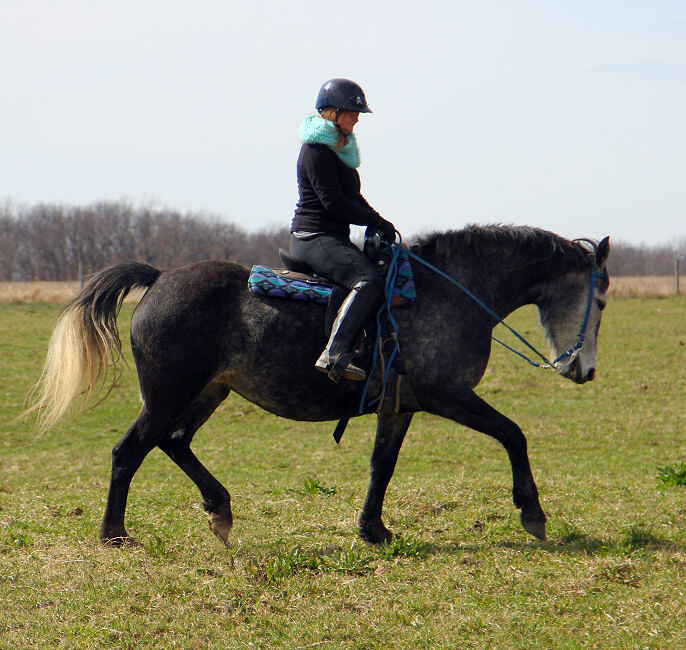 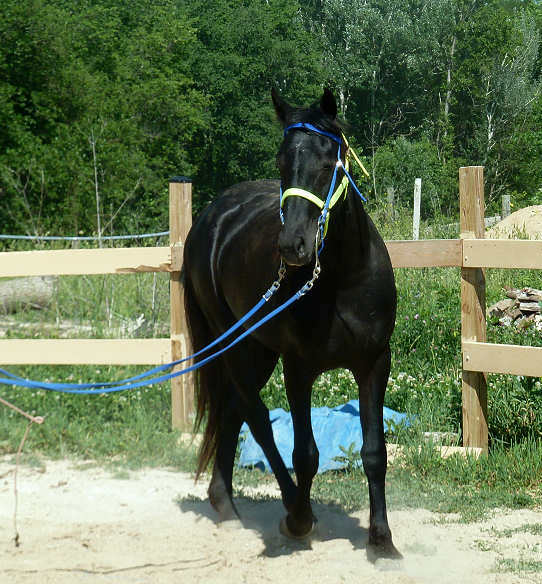 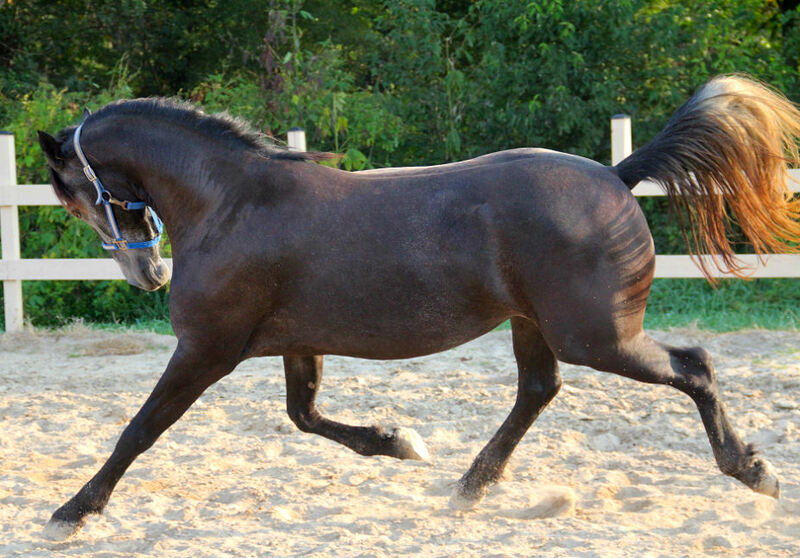 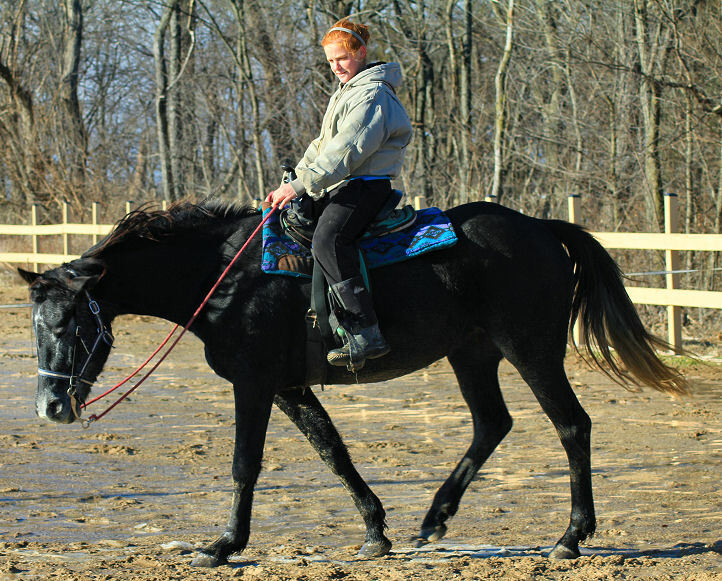 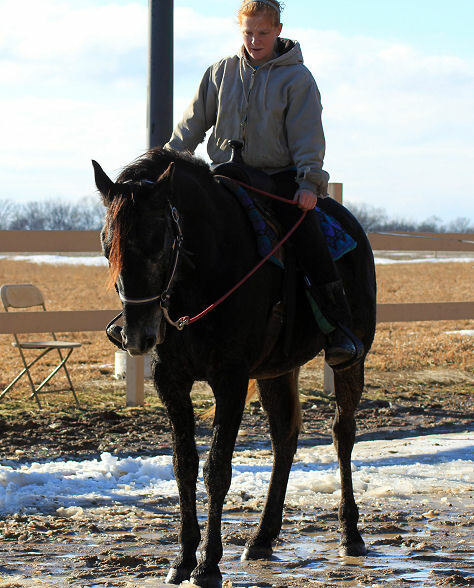 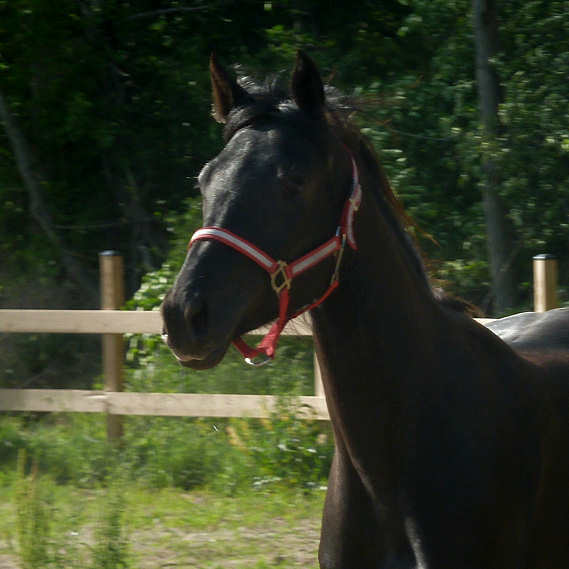 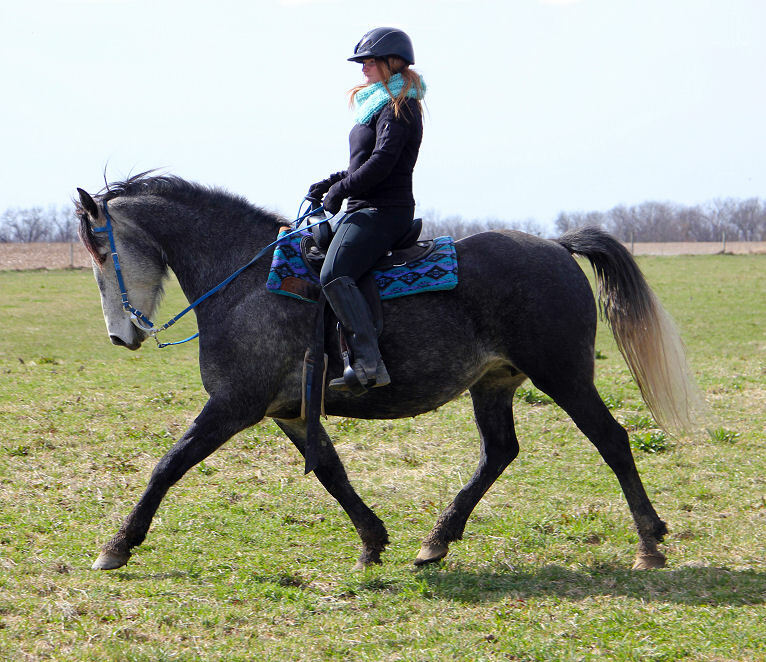 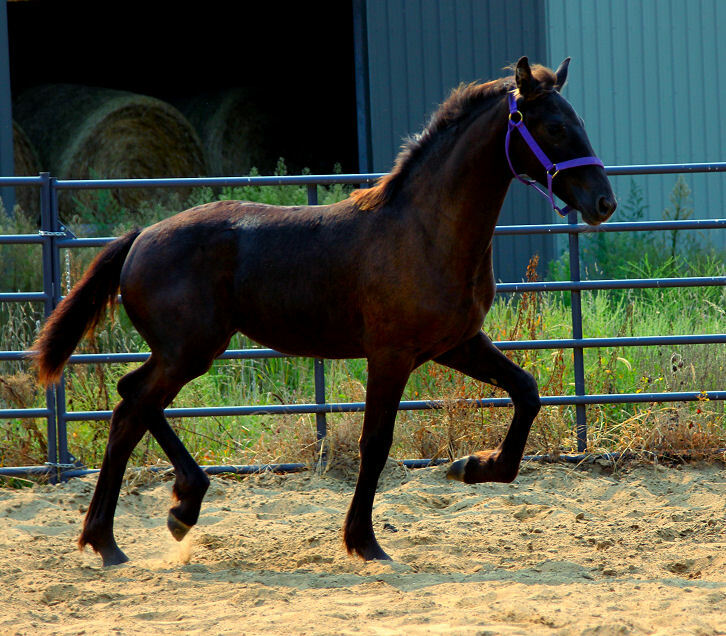 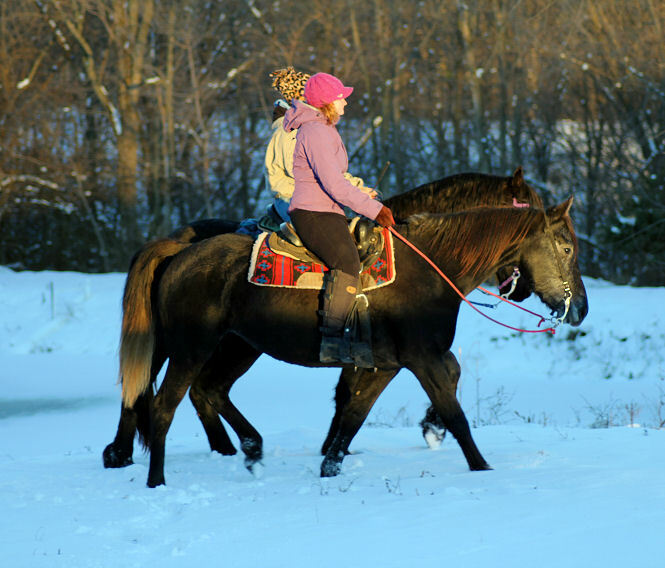 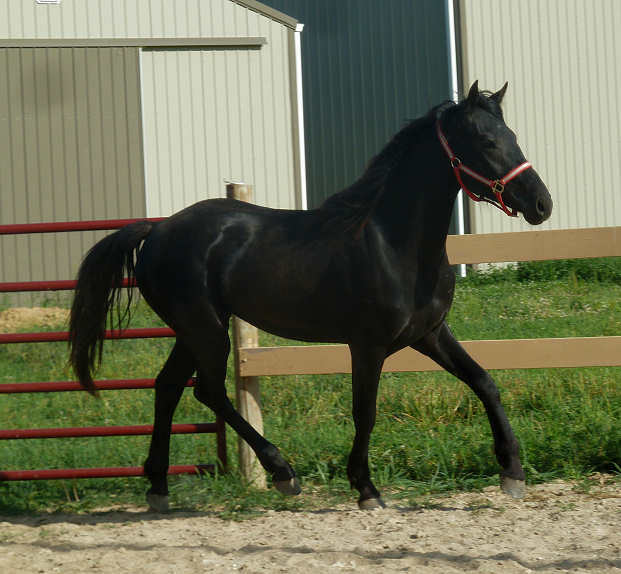 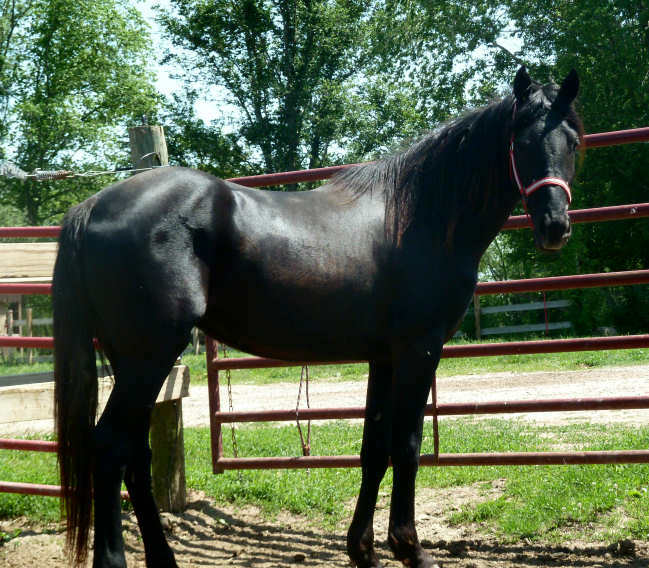 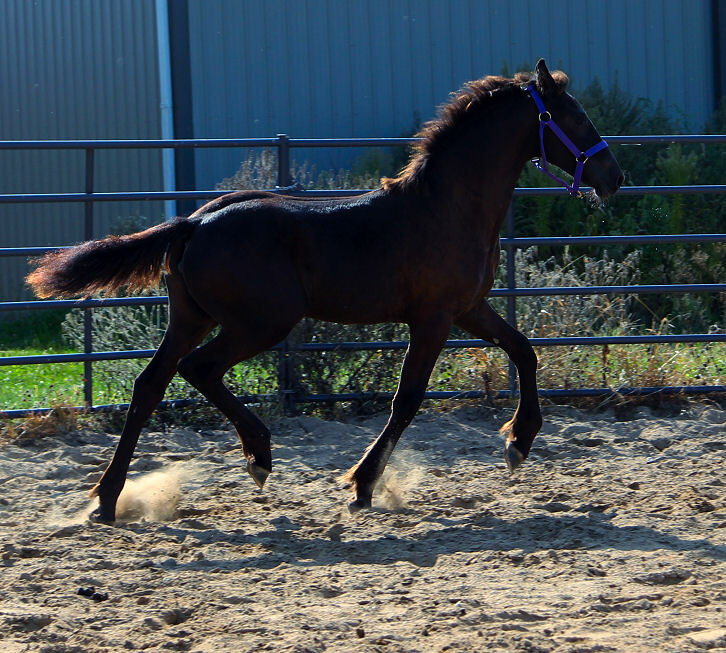 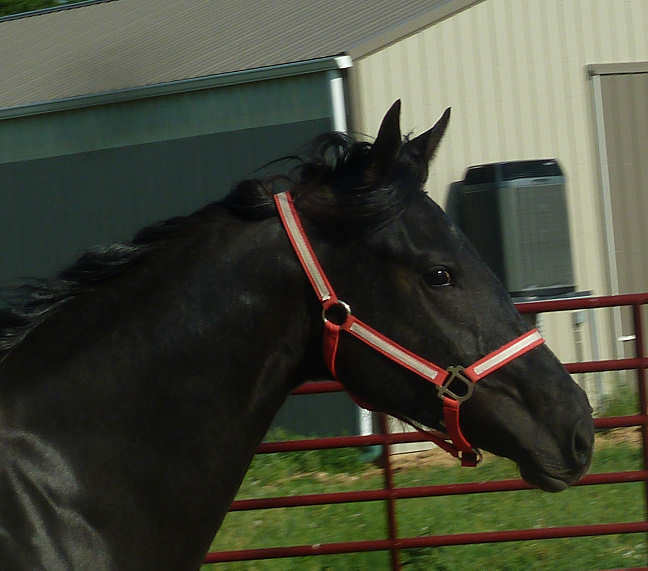 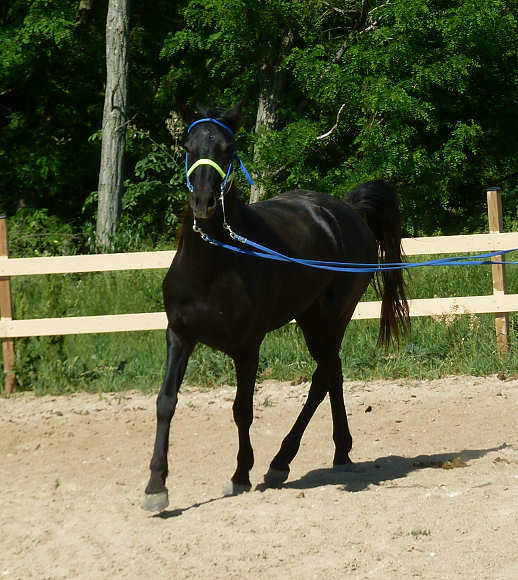 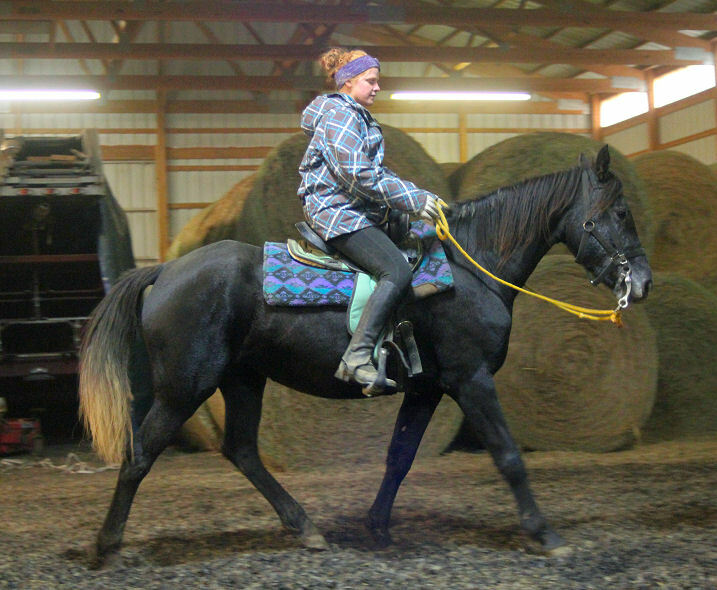 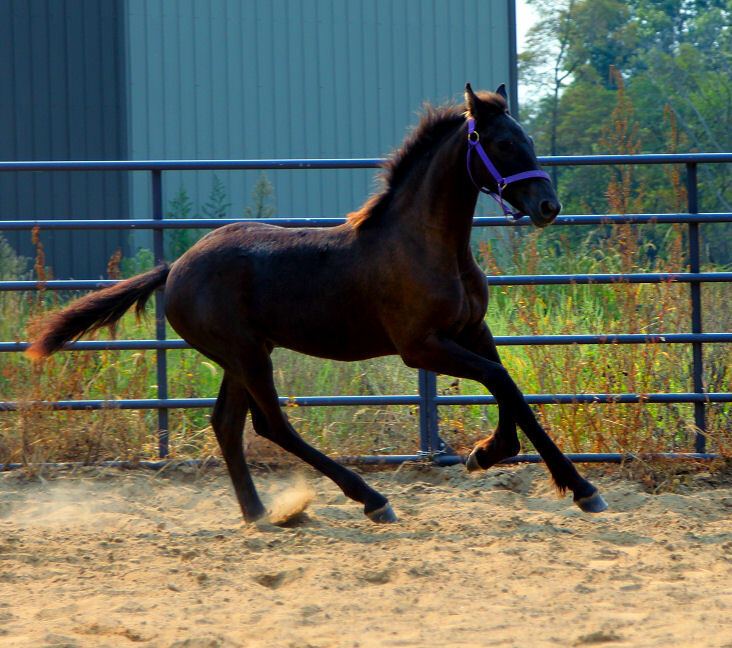 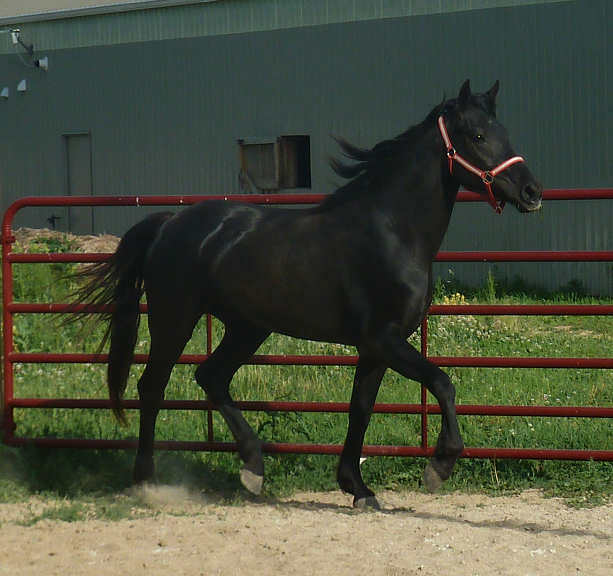 Hadassah is a Raven daughter out of half Arabian half Quarter horse mare named Chiquita Too. 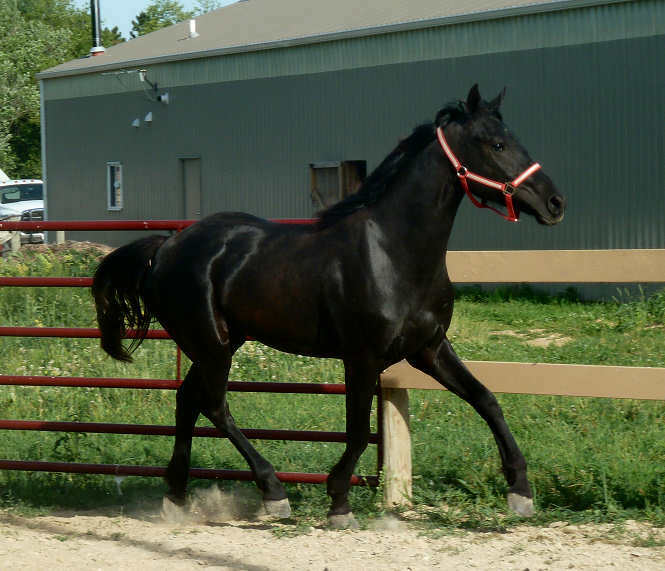 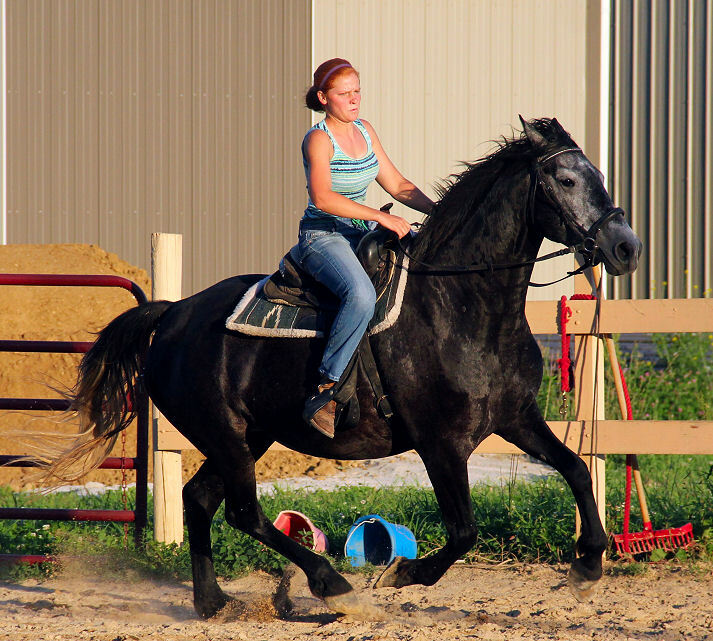 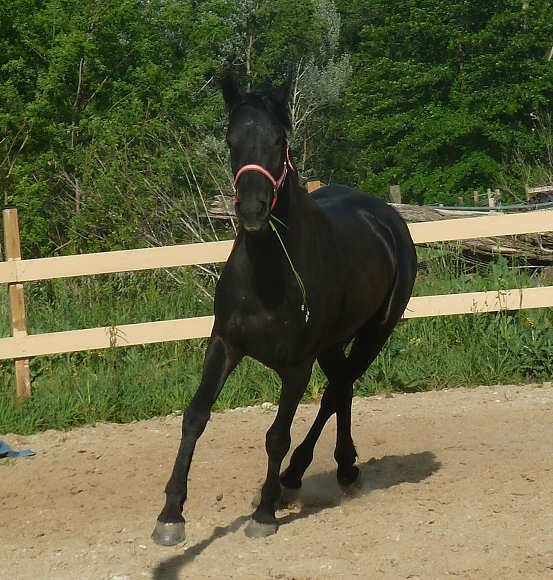 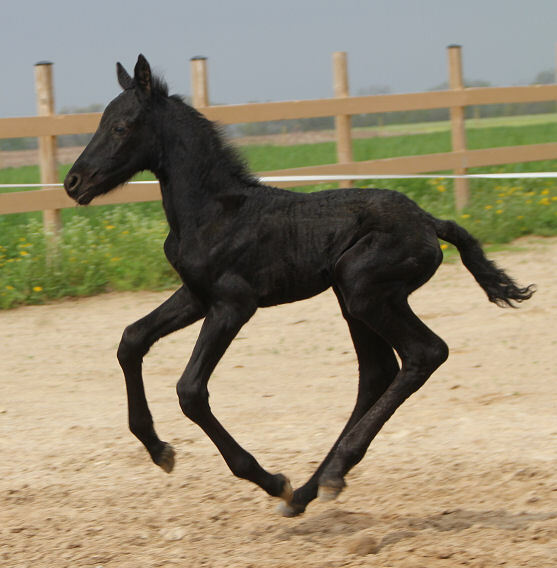 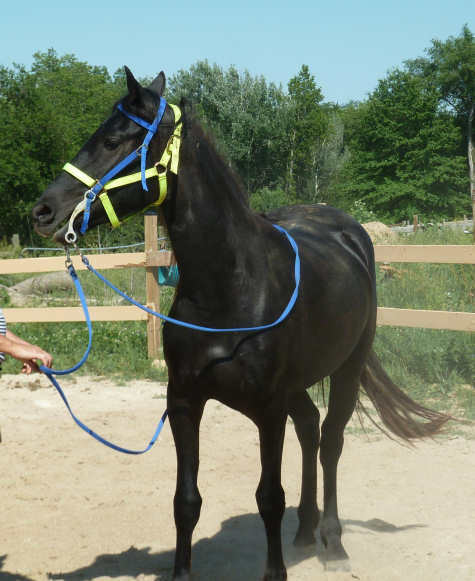 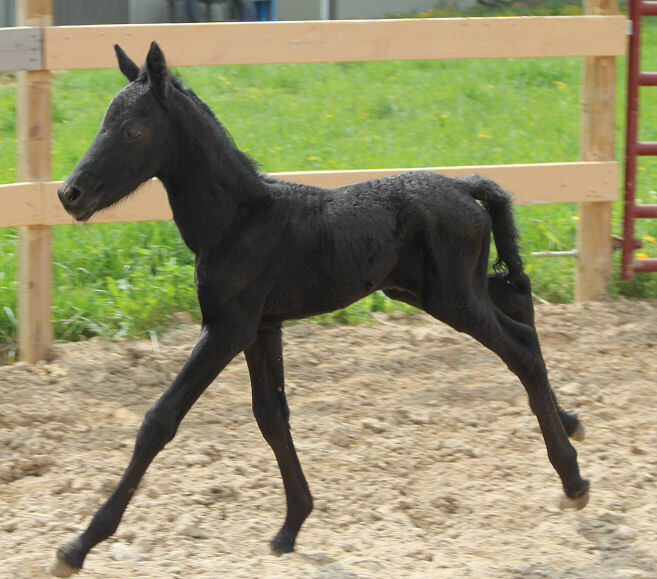 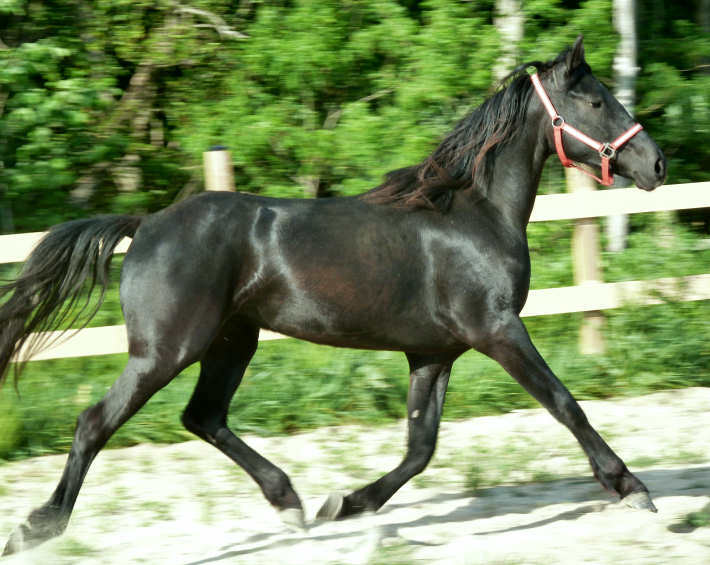 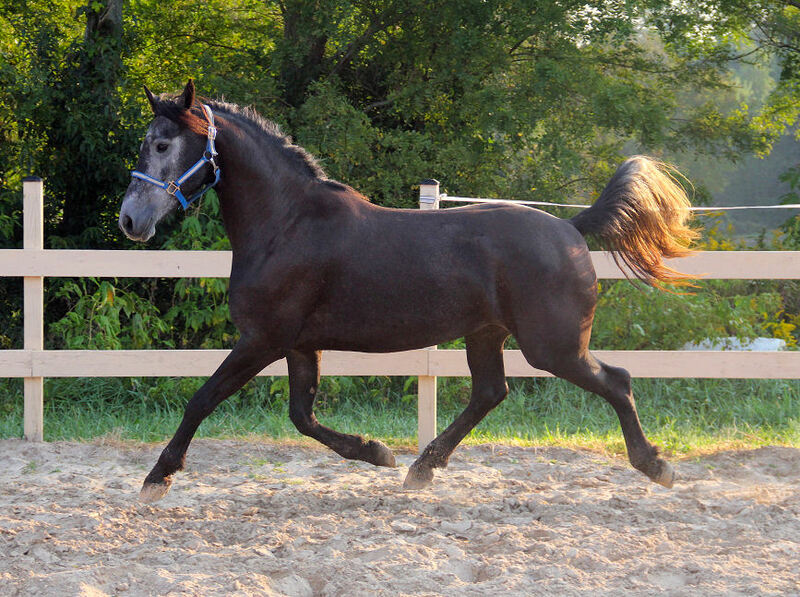 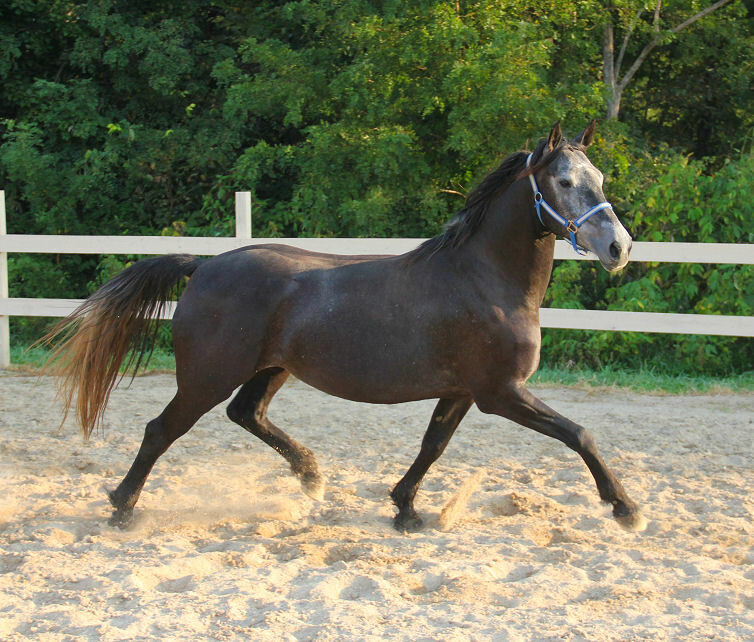 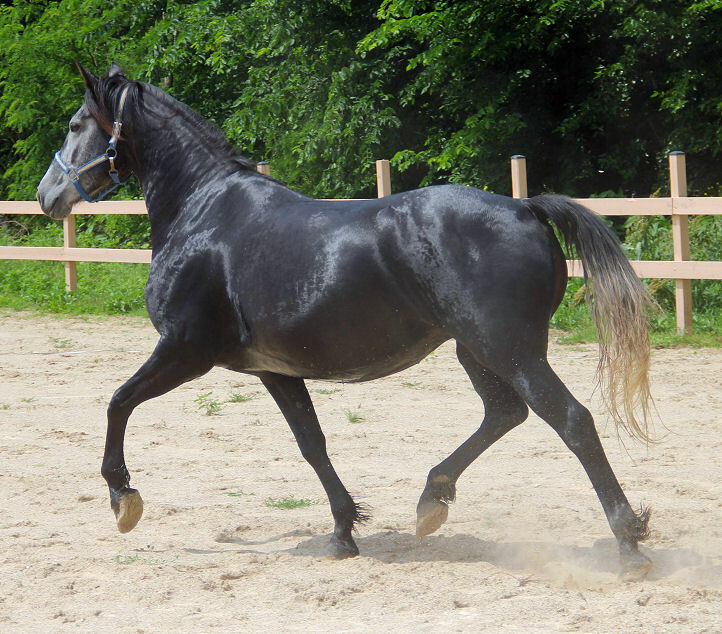 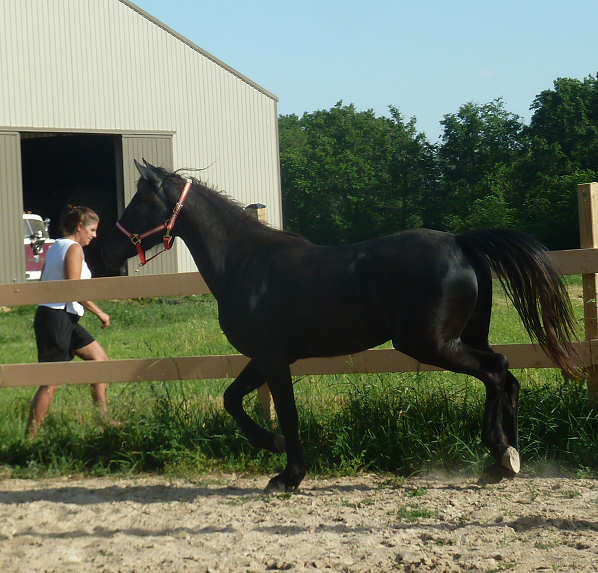 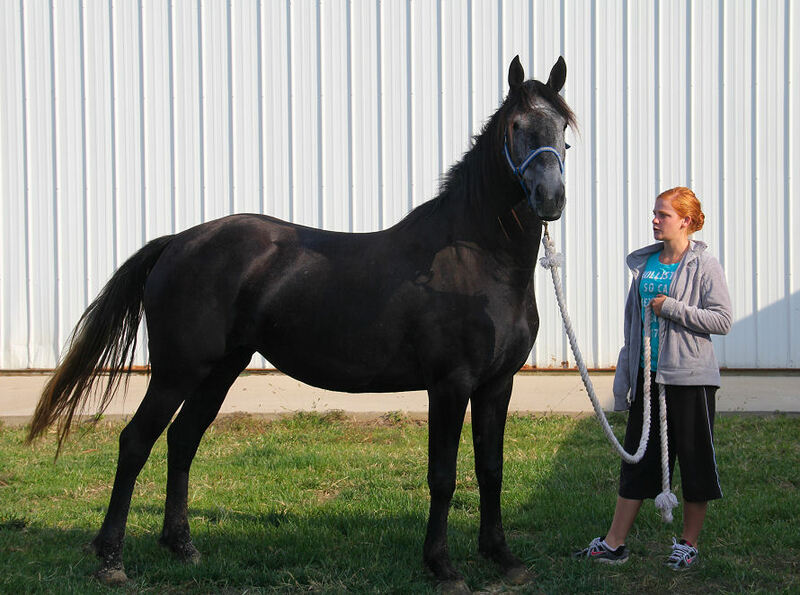 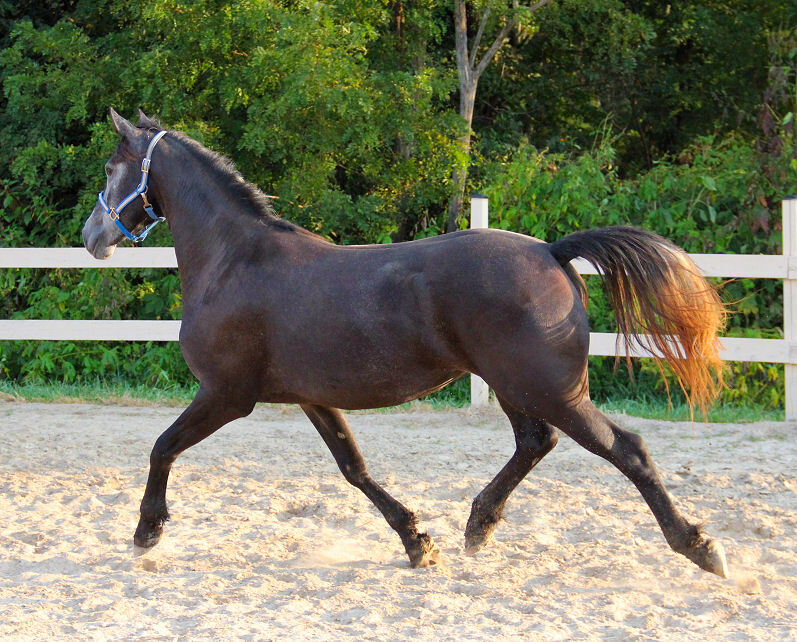 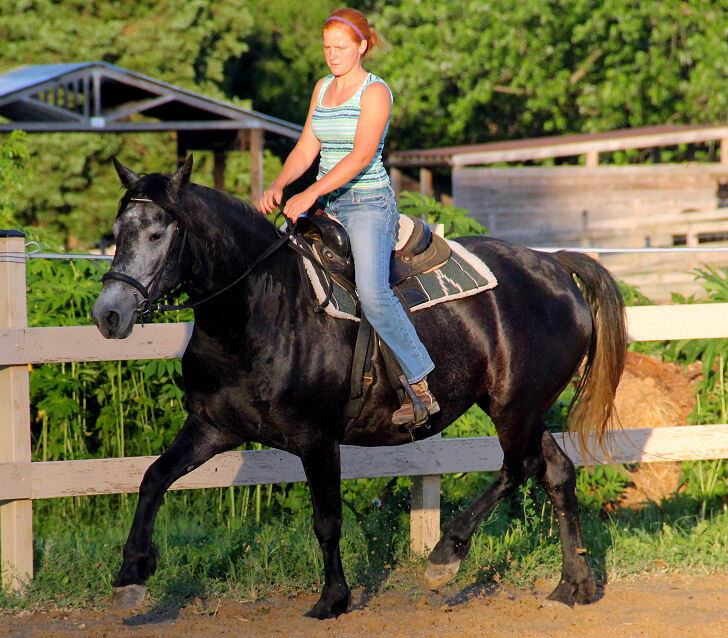 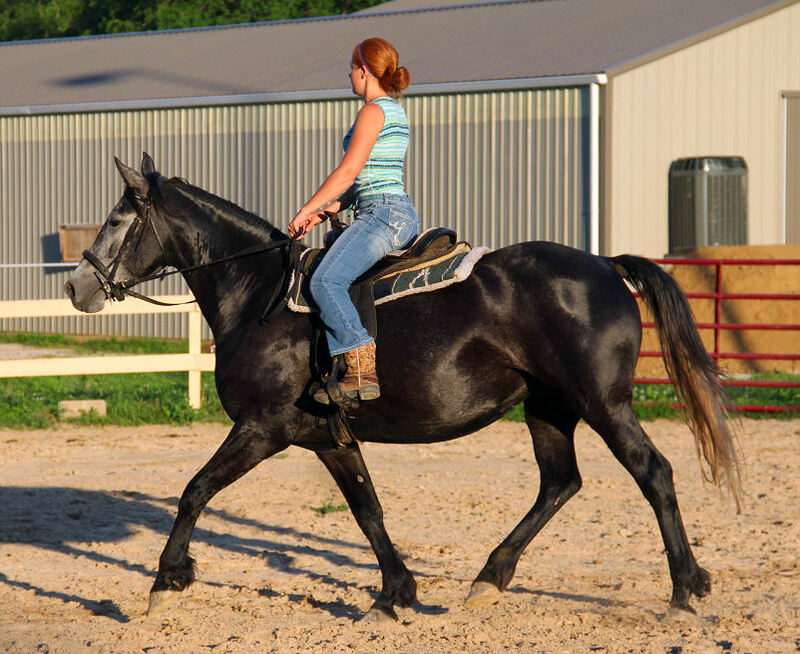 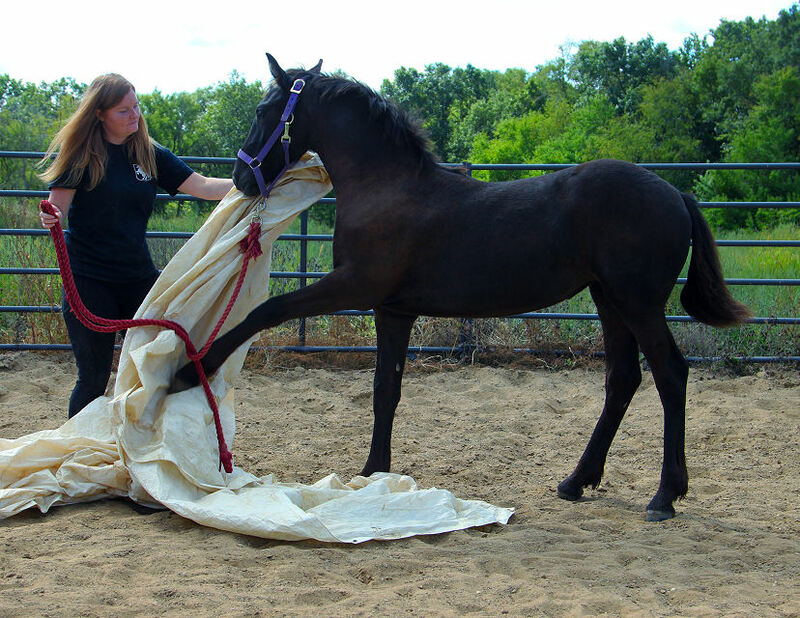 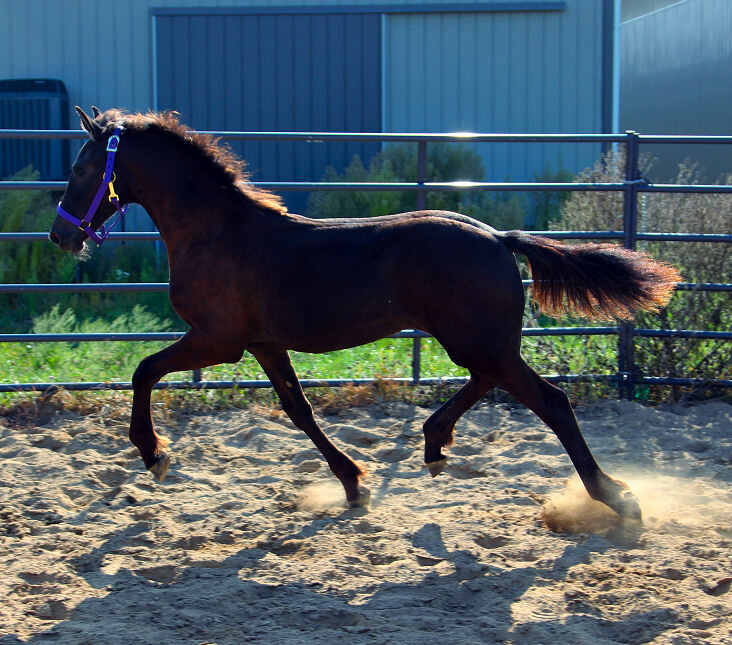 She is registered with Friesian Heritage Horse as 50% Friesian. 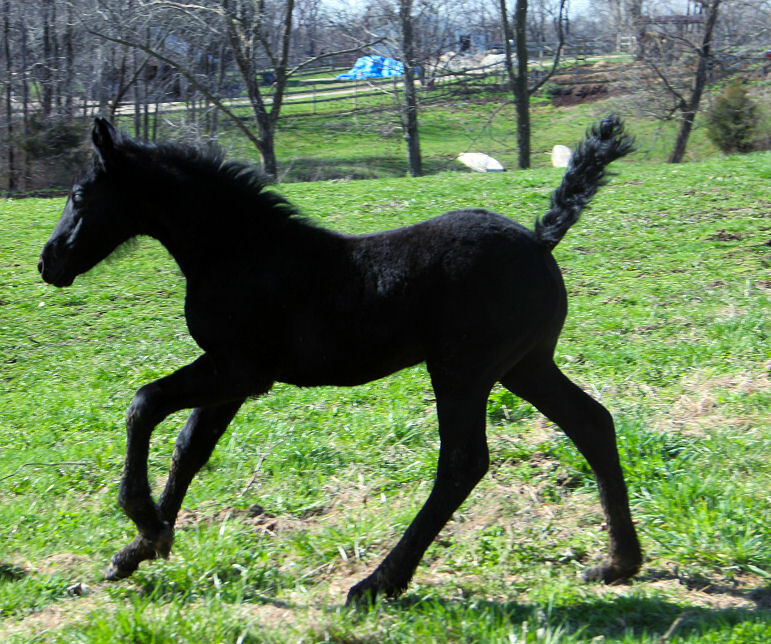 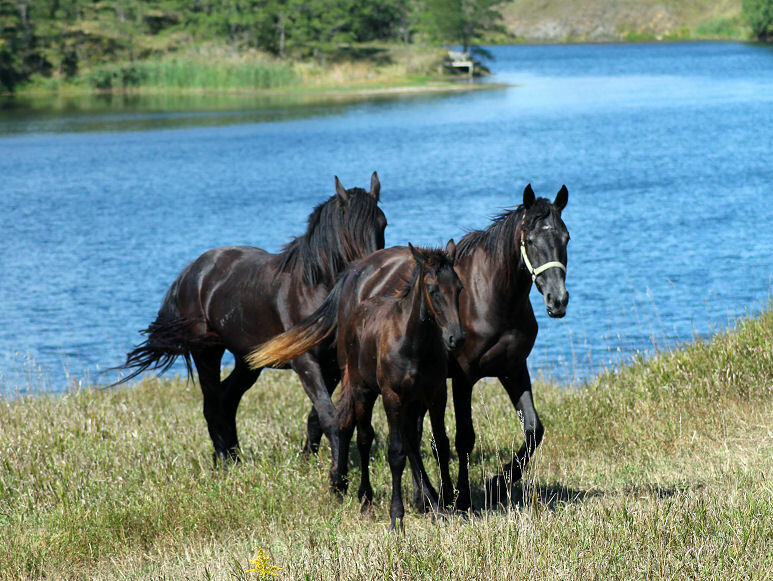 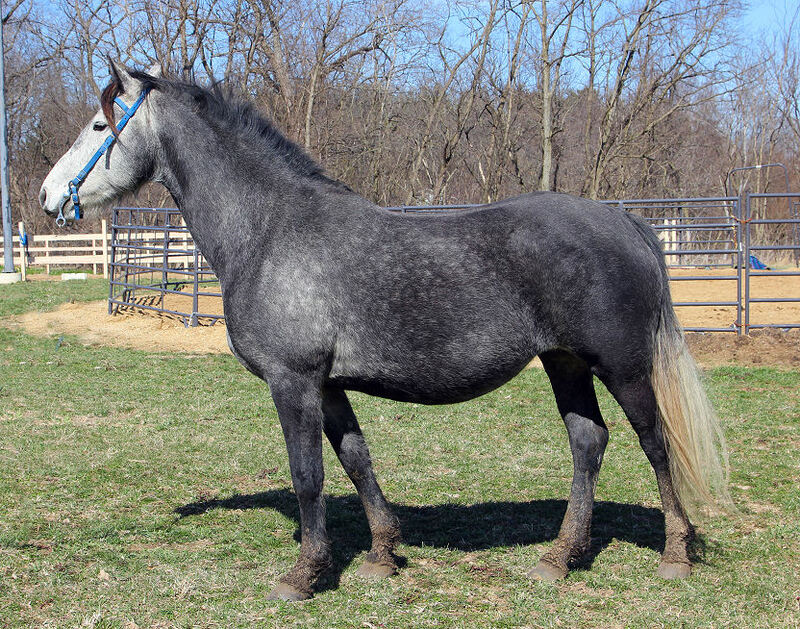 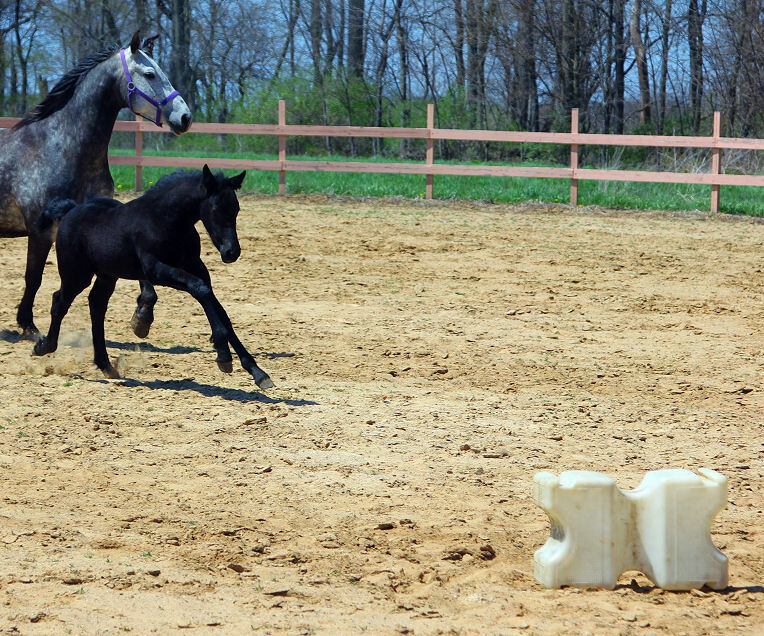 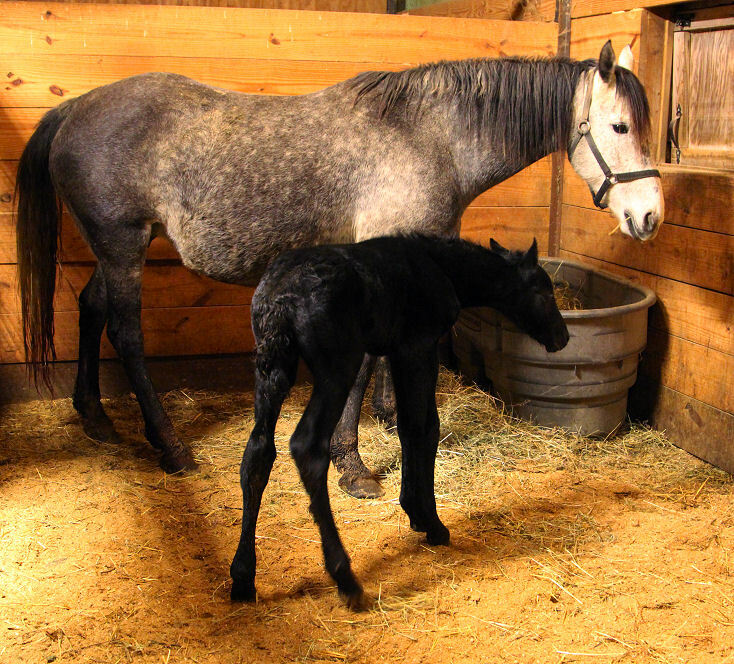 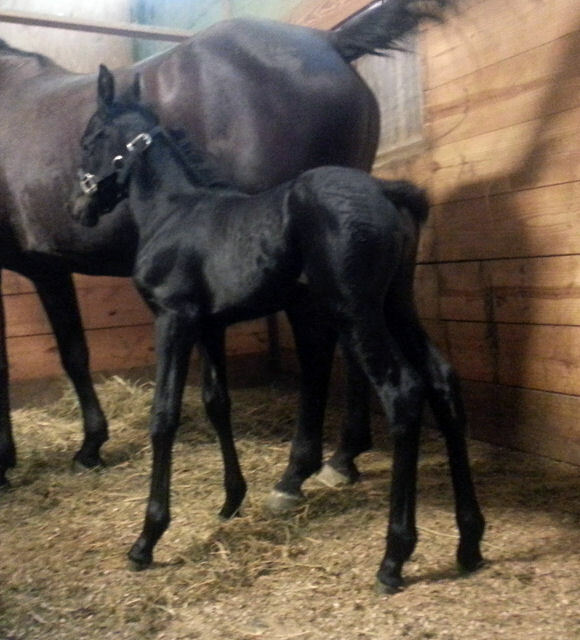 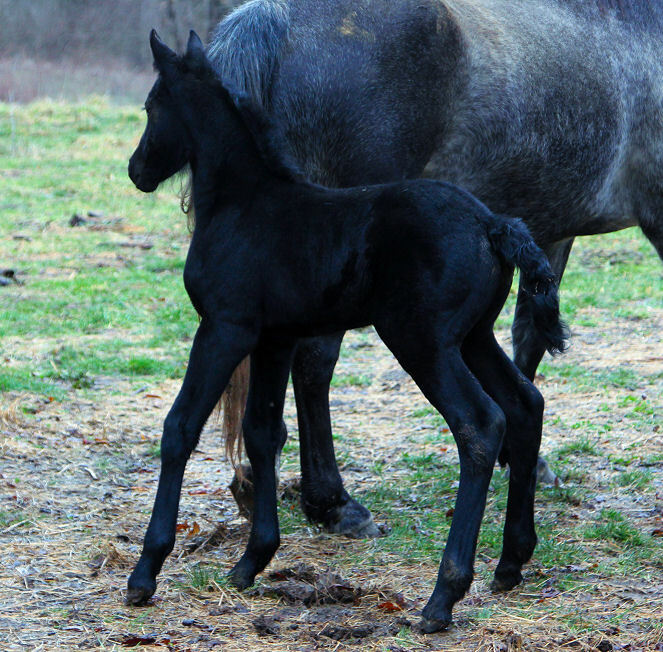 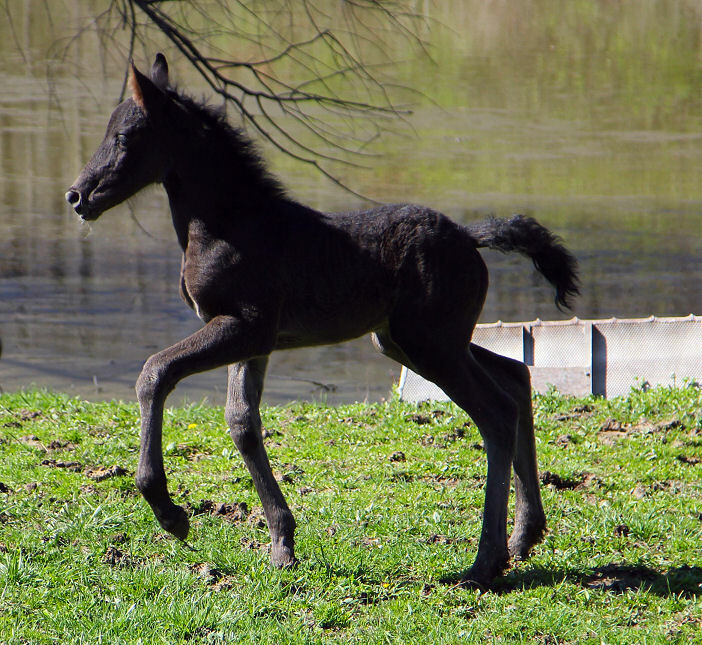 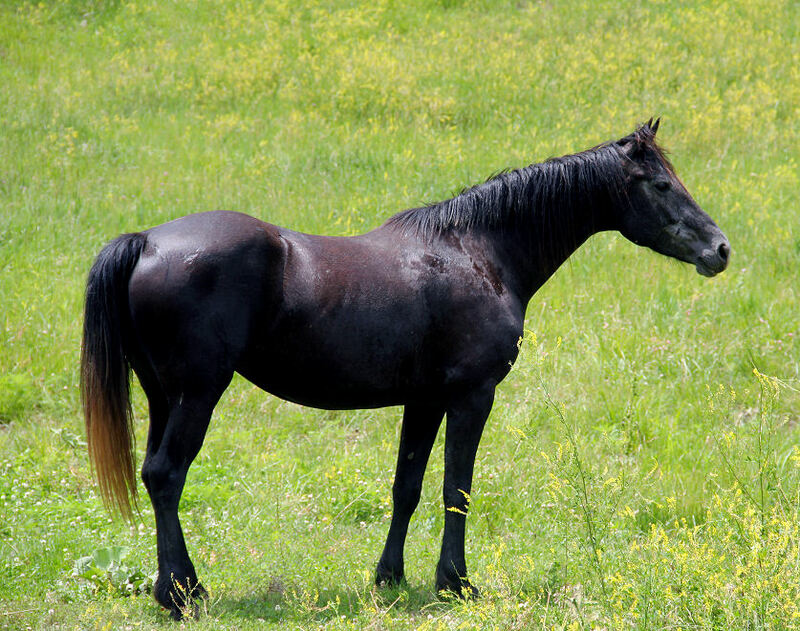 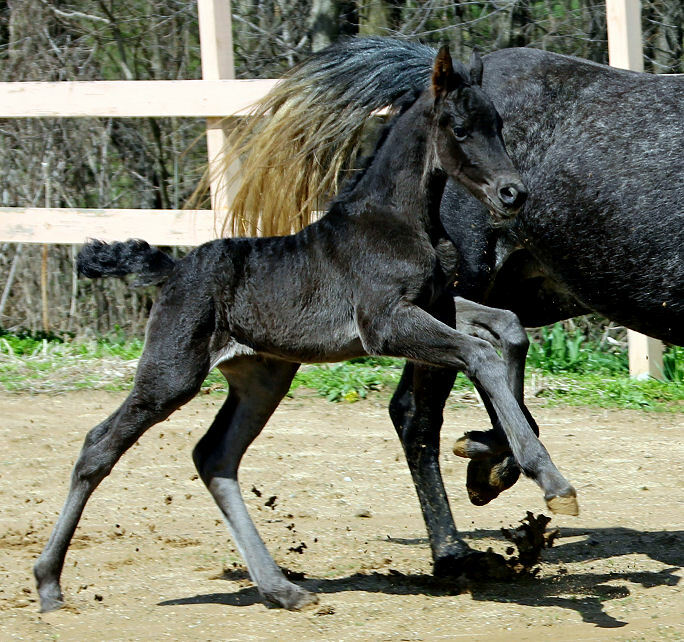 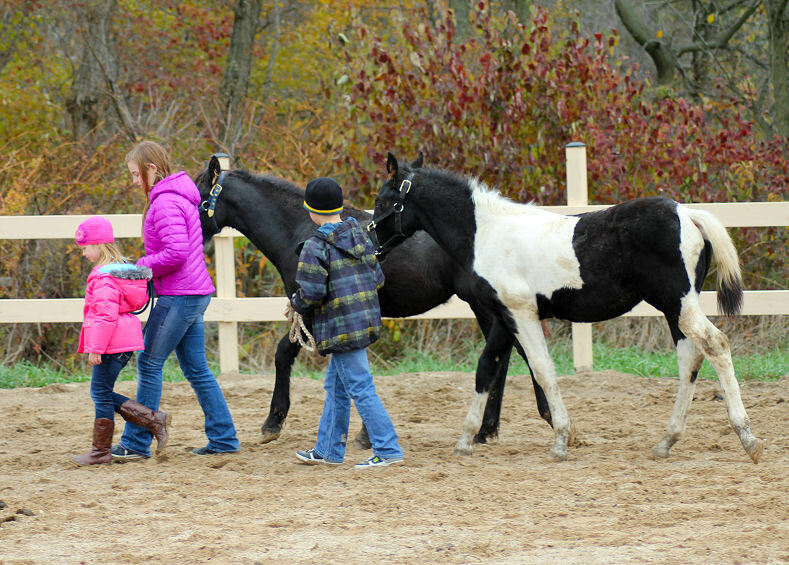 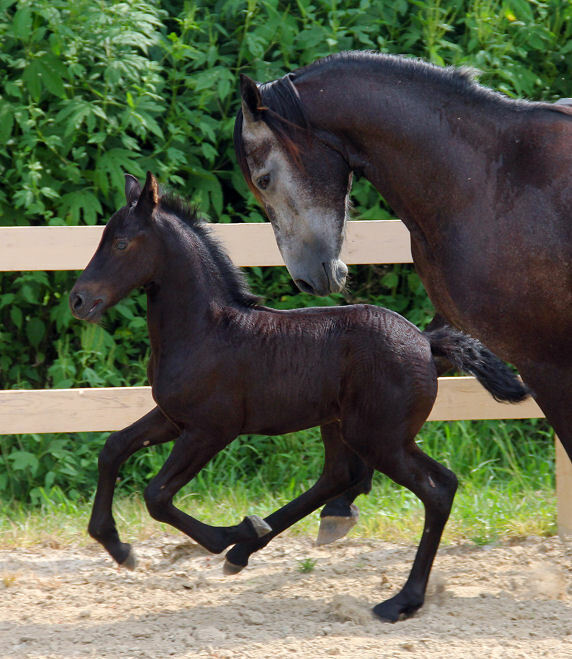 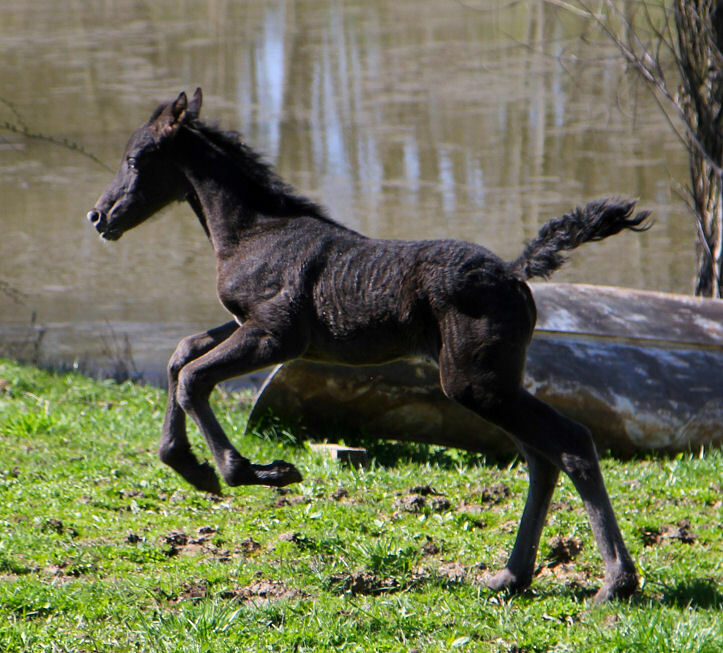 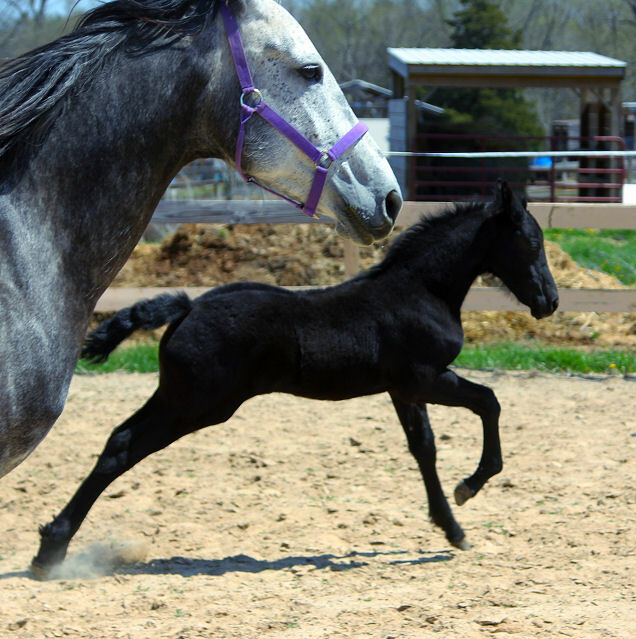 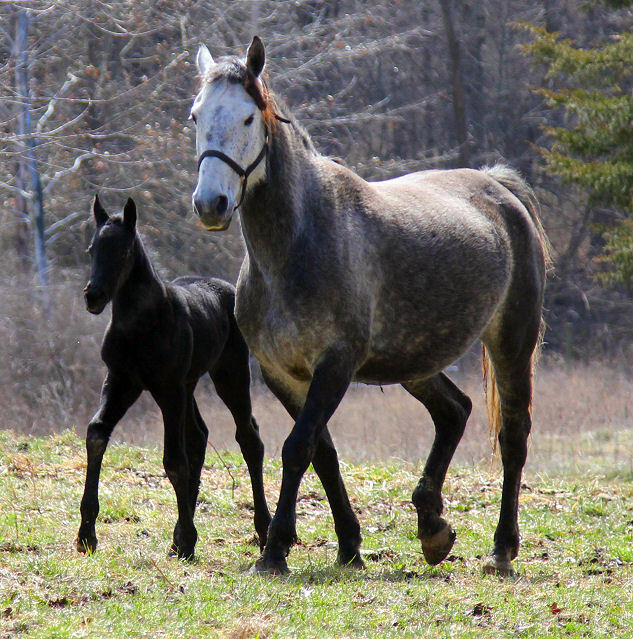 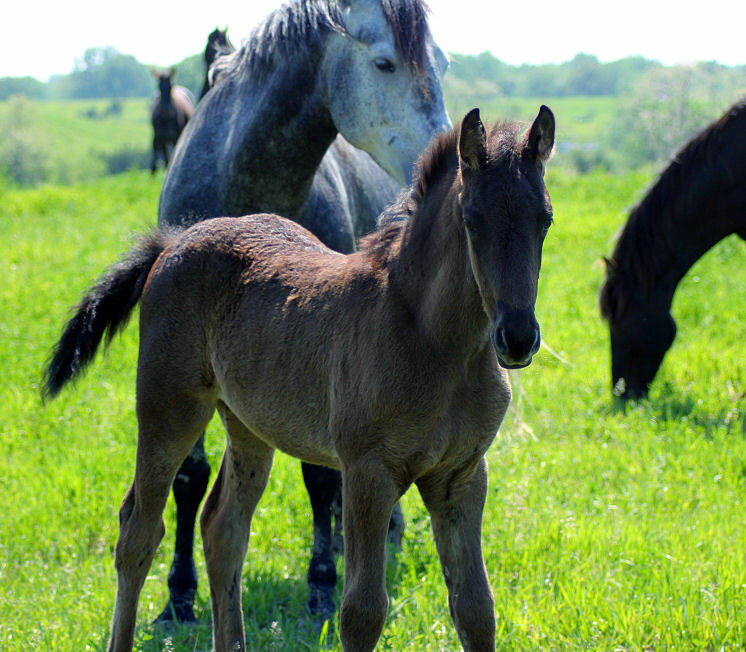 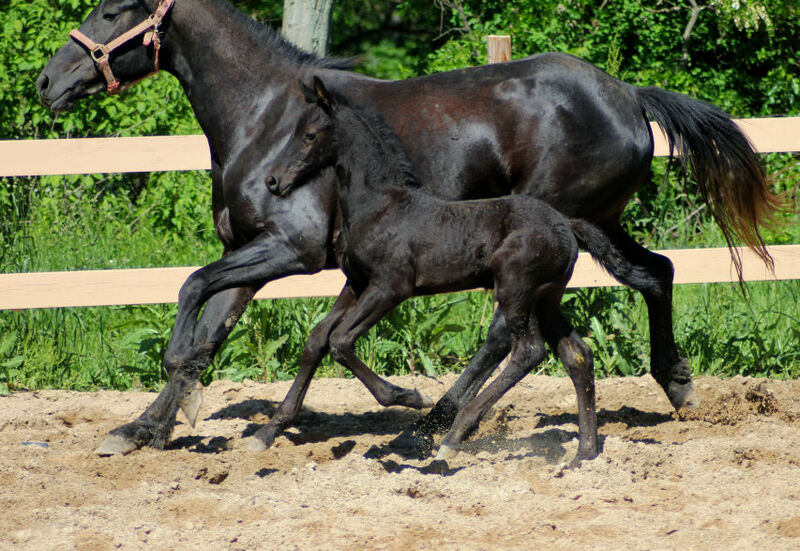 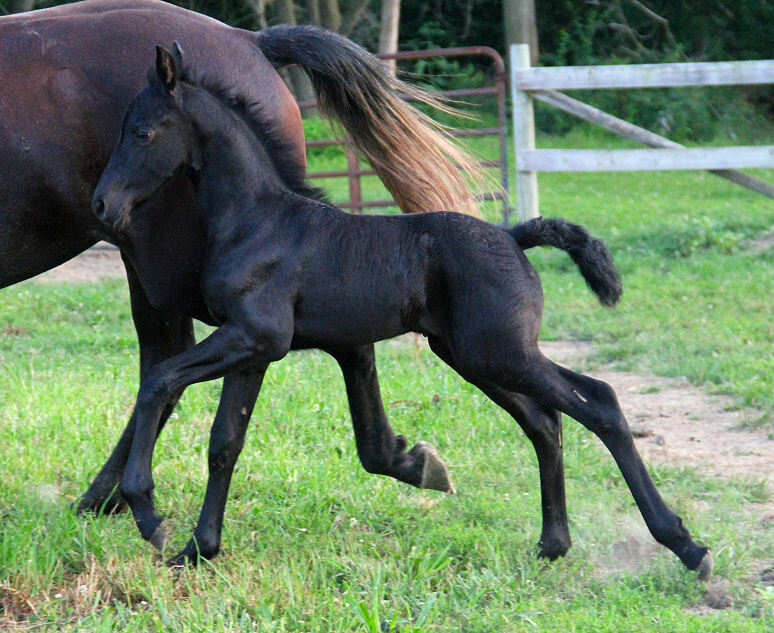 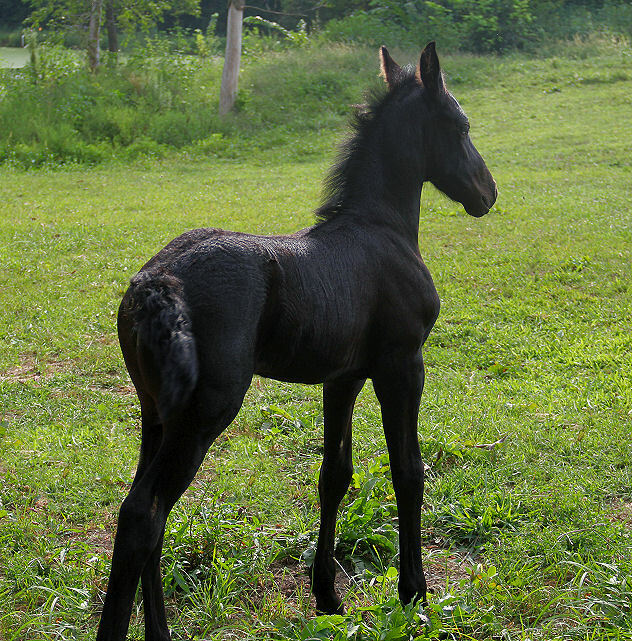 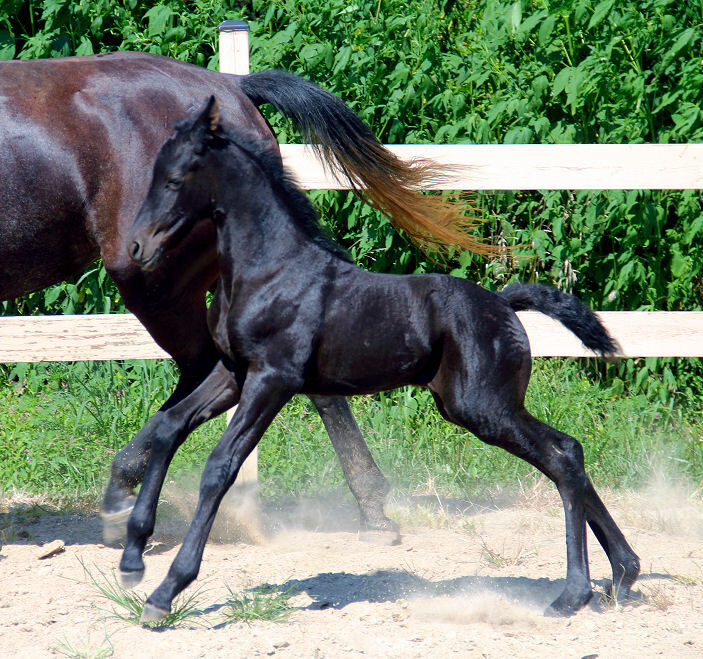 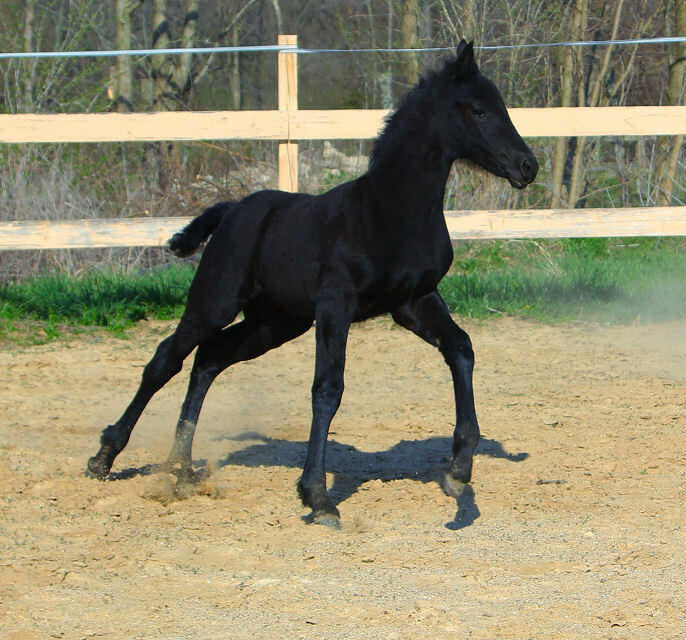 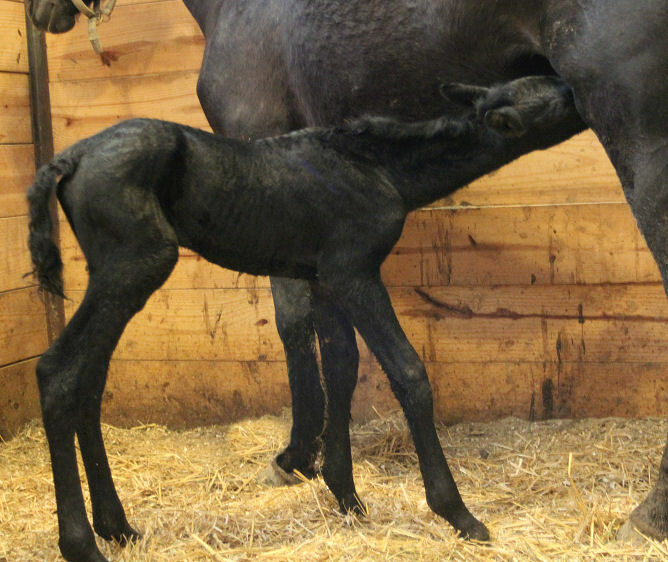 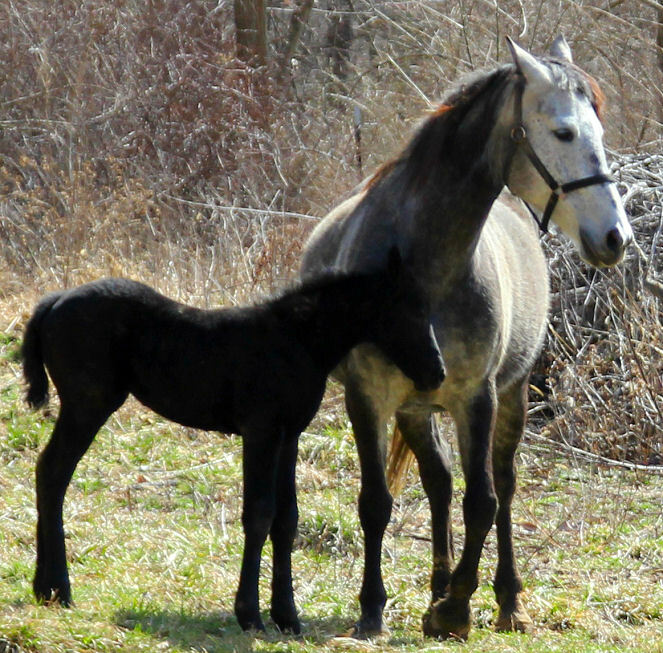 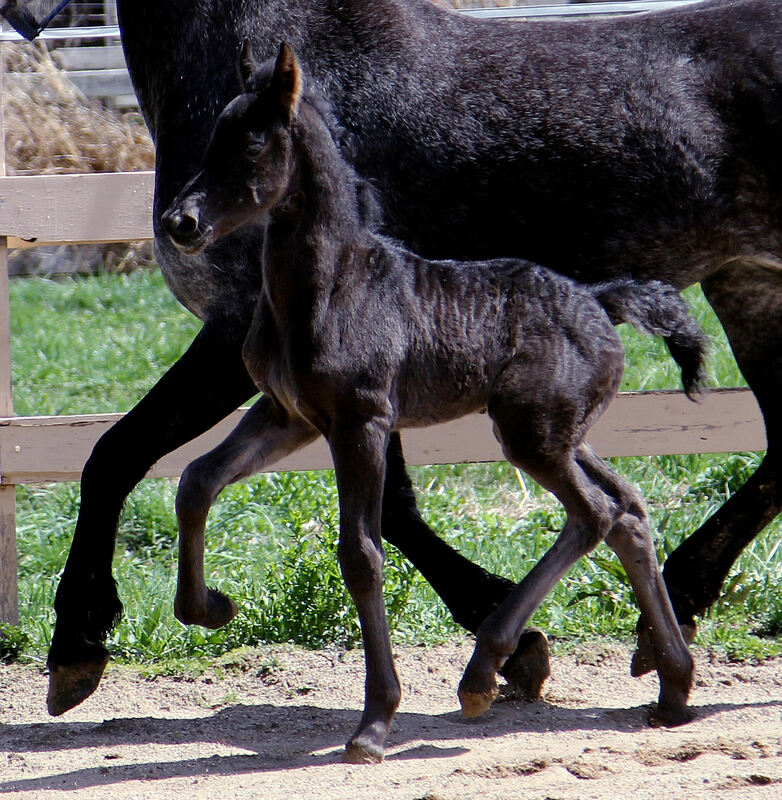 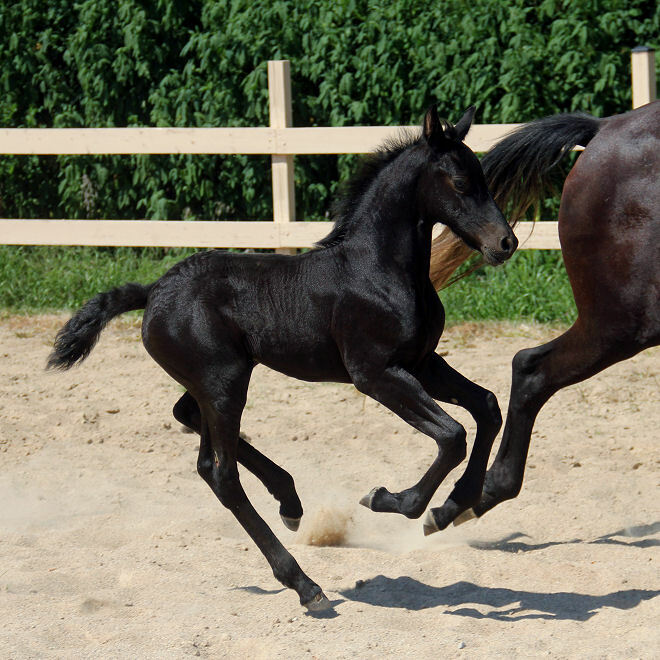 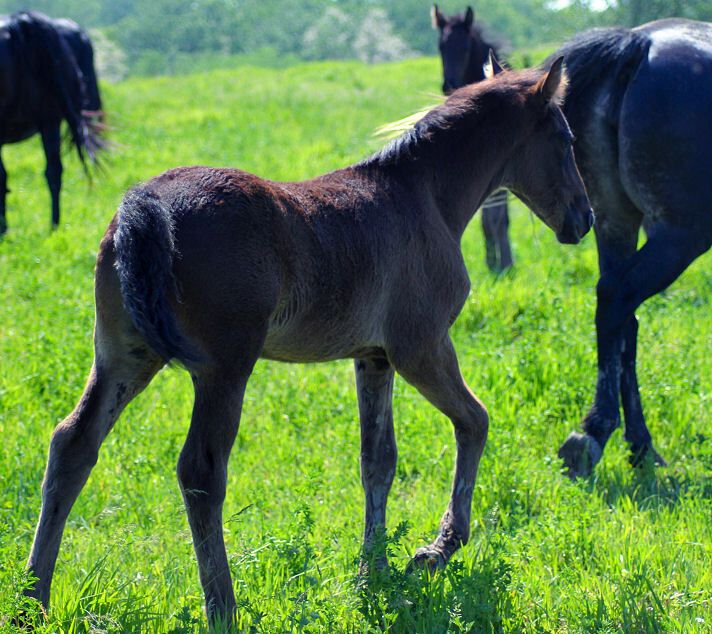 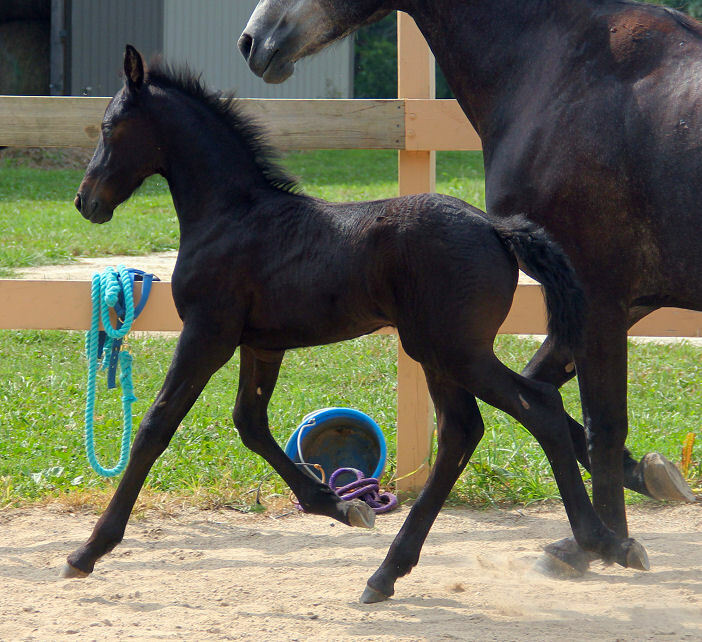 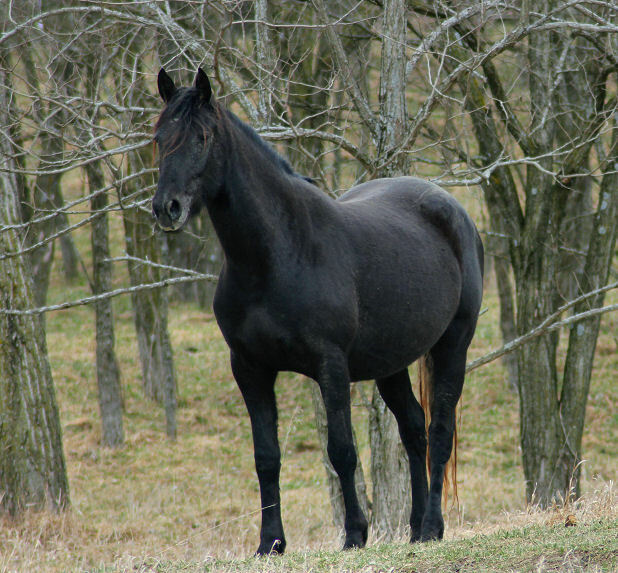 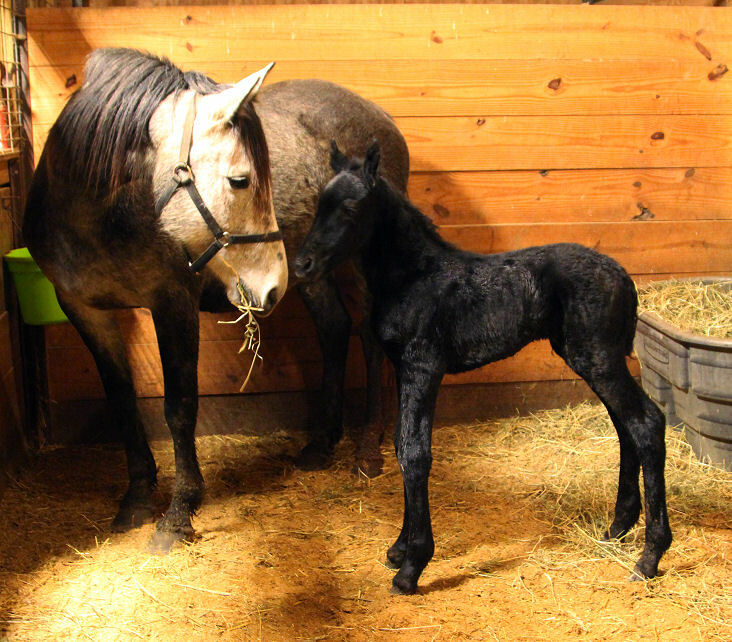 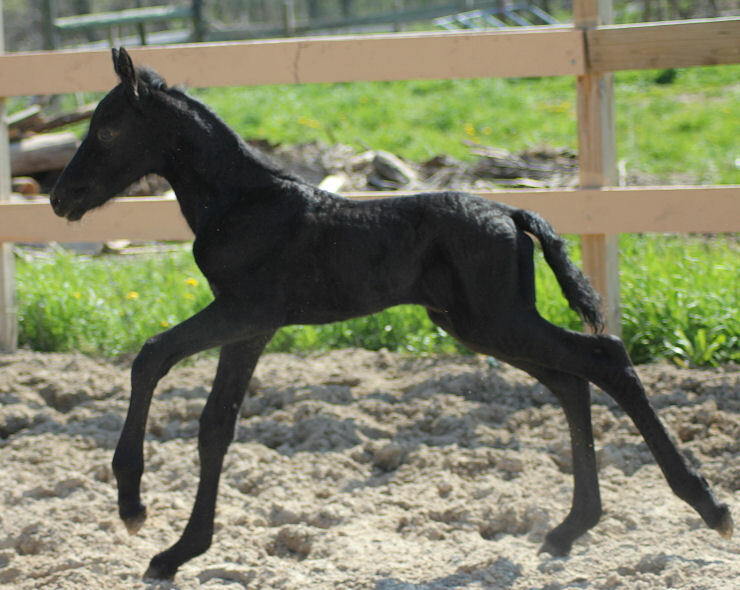 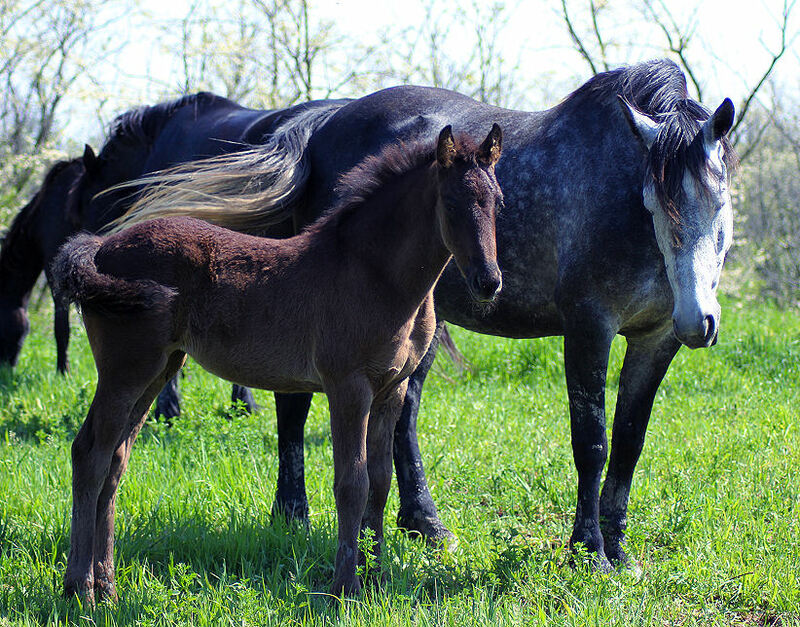 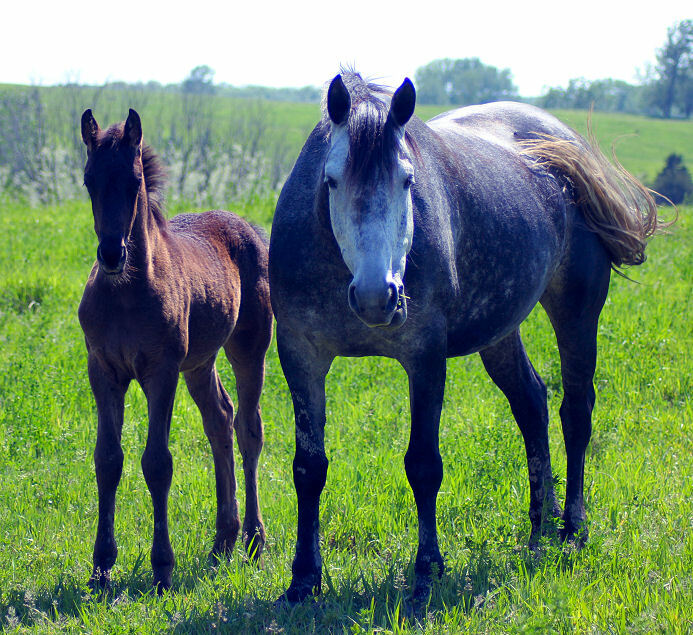 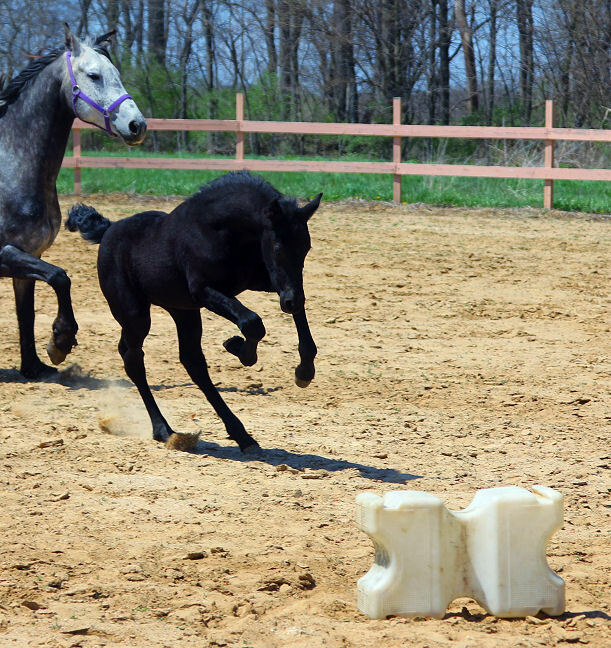 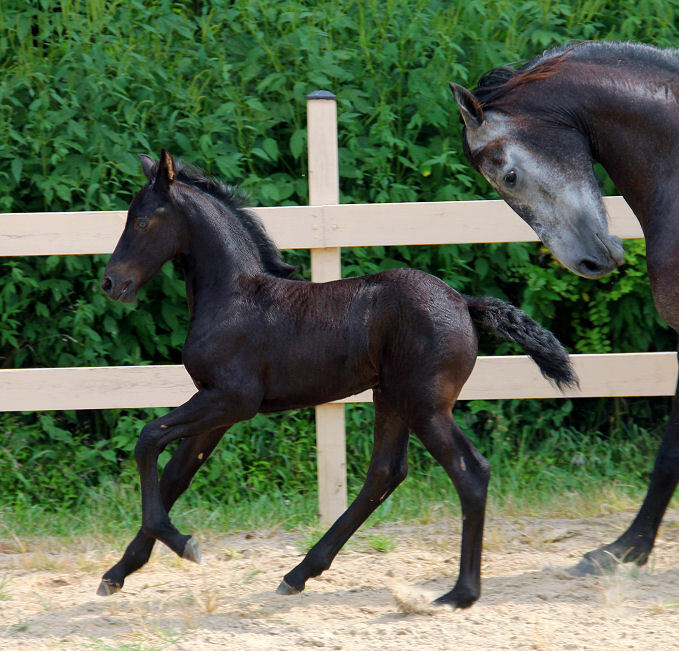 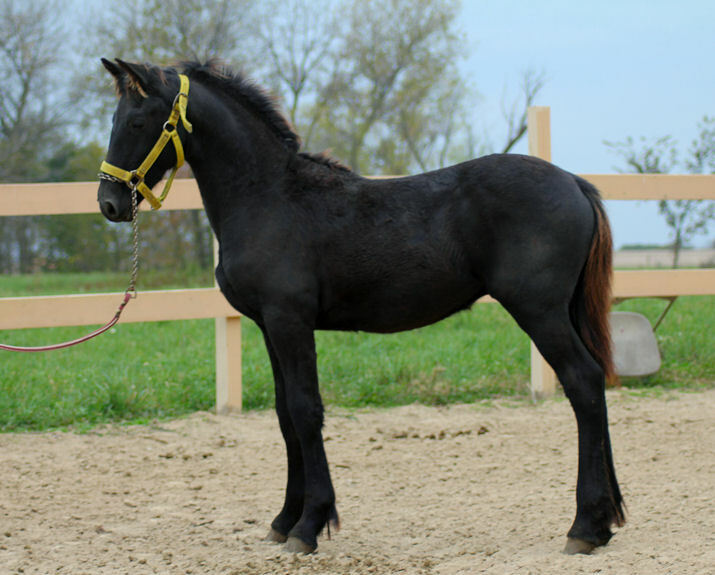 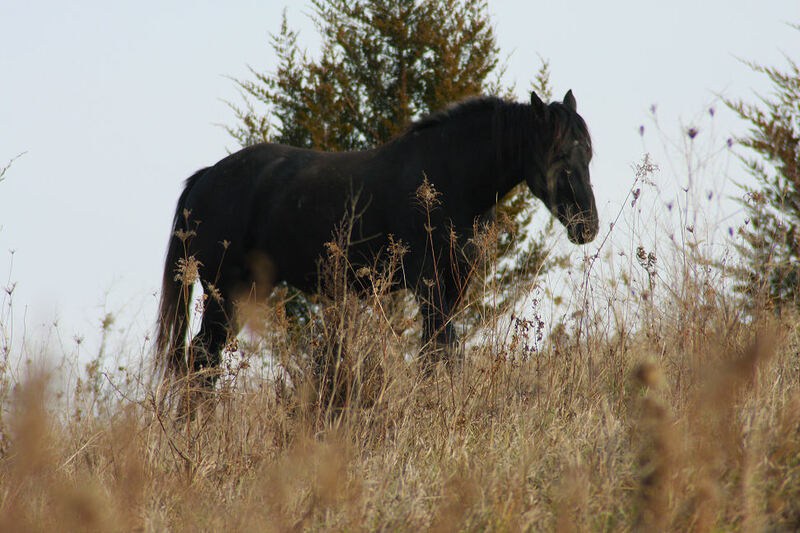 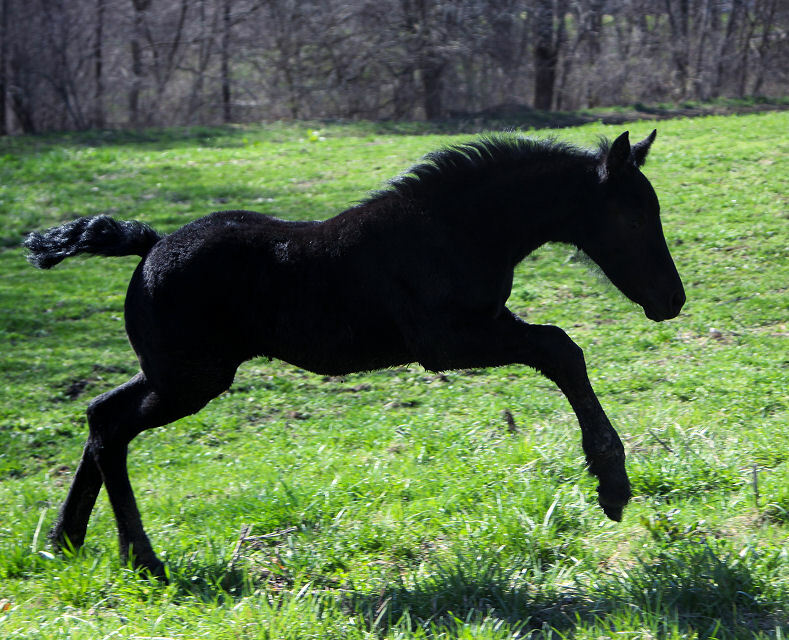 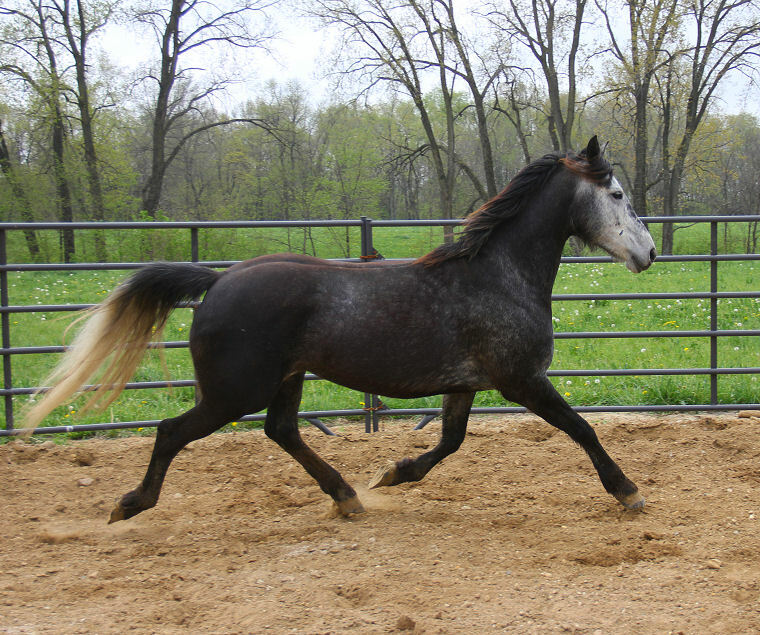 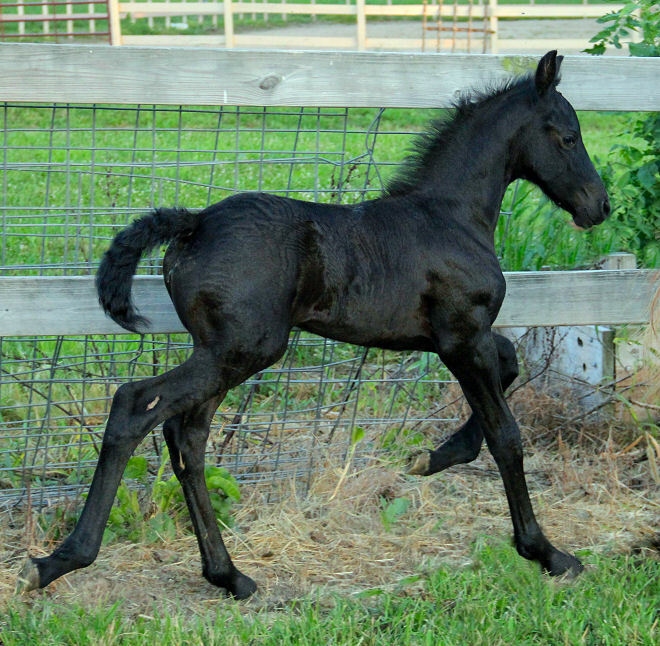 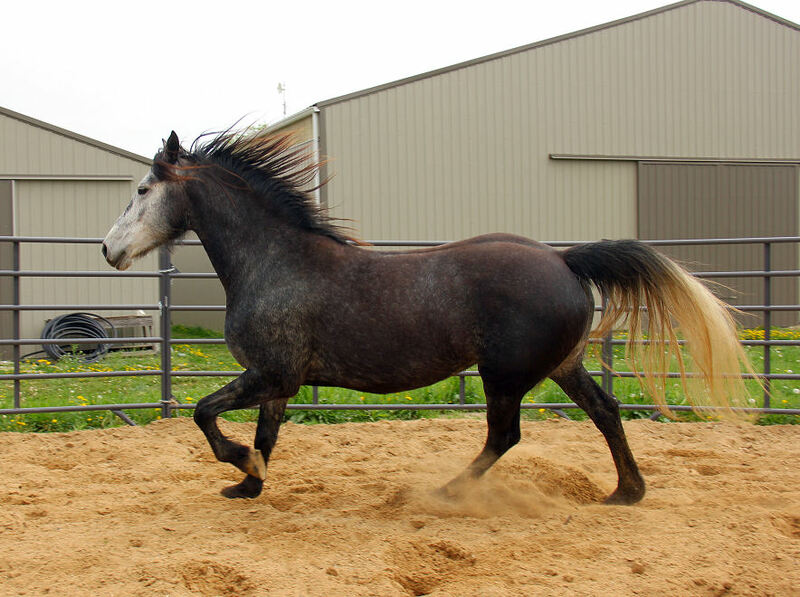 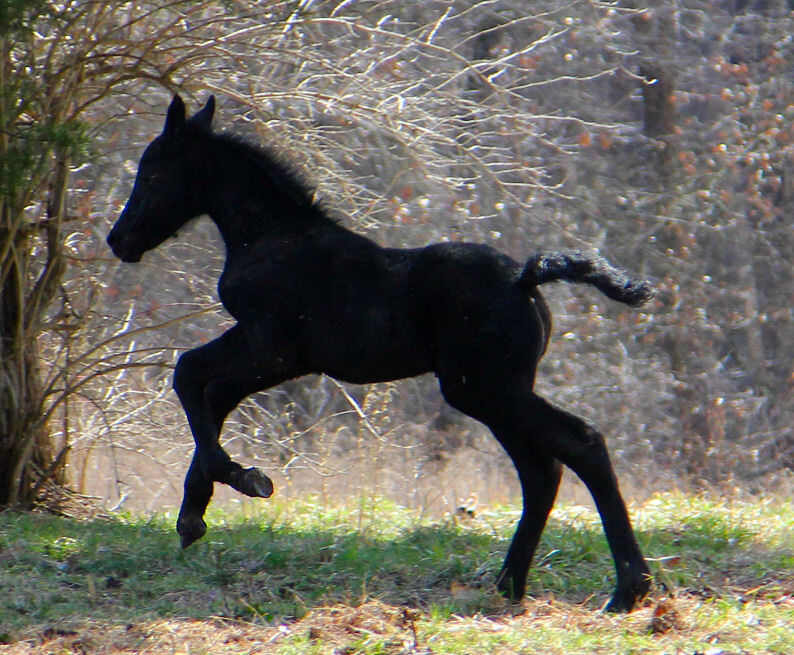 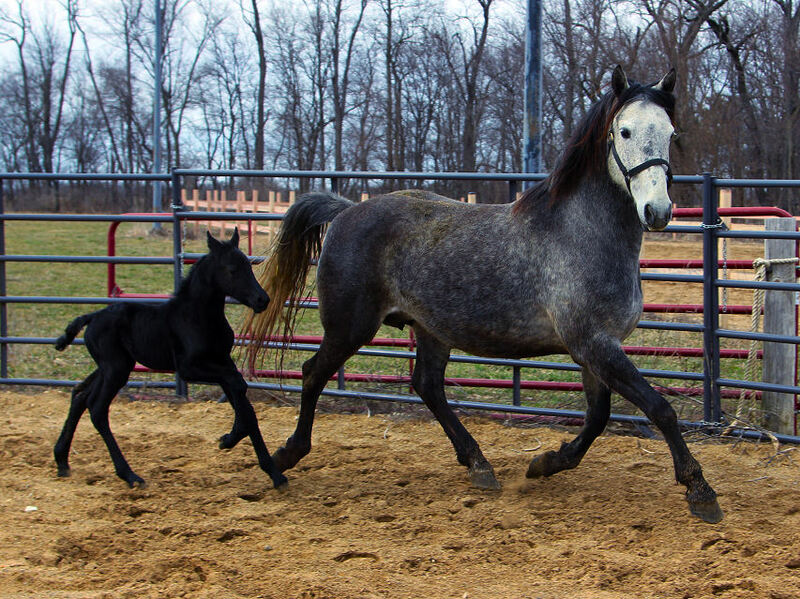 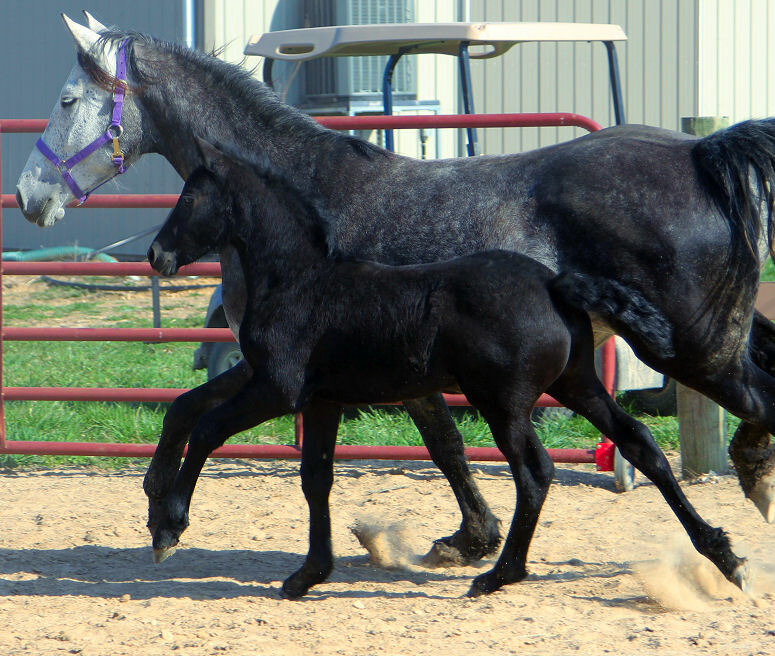 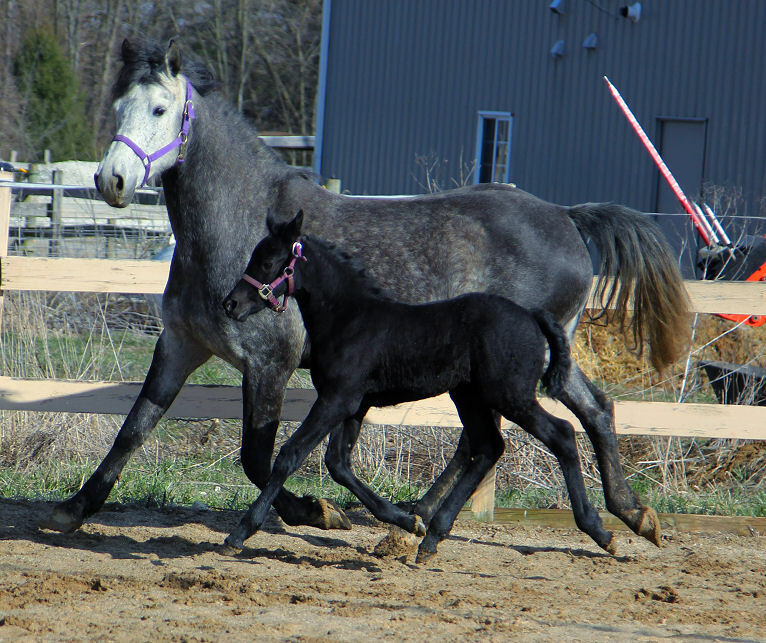 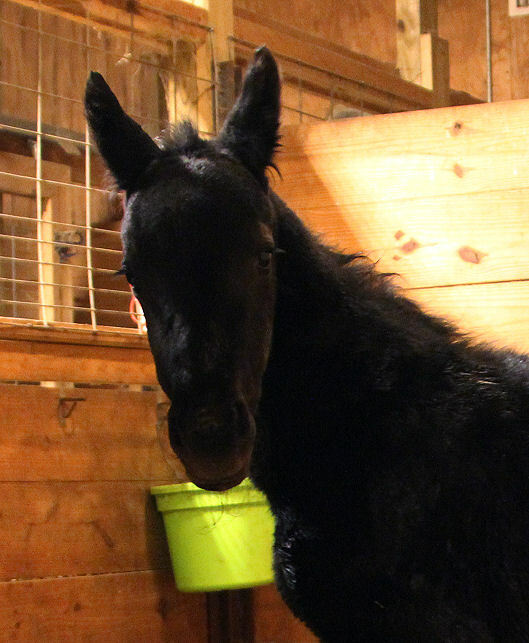 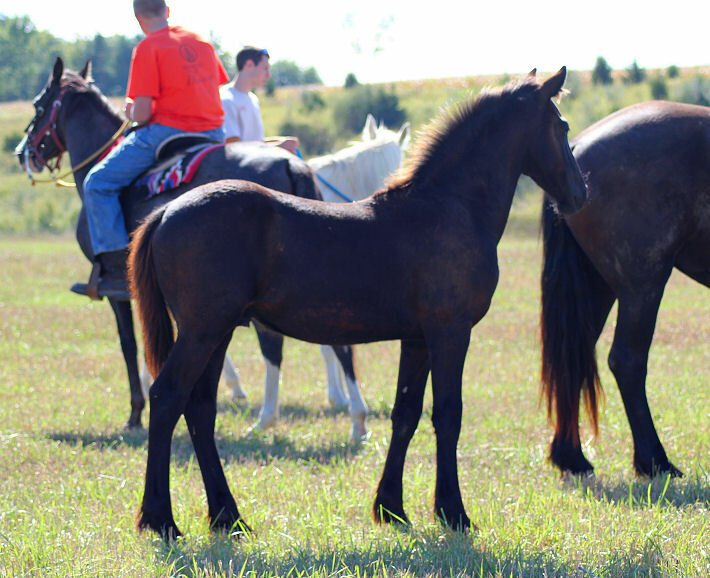 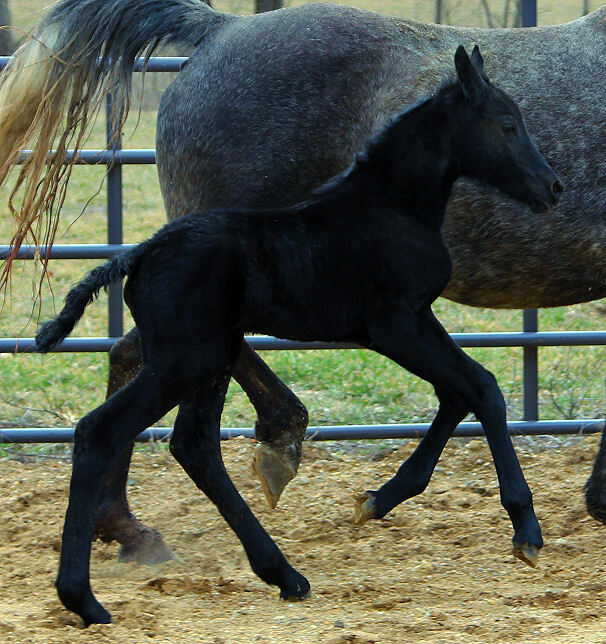 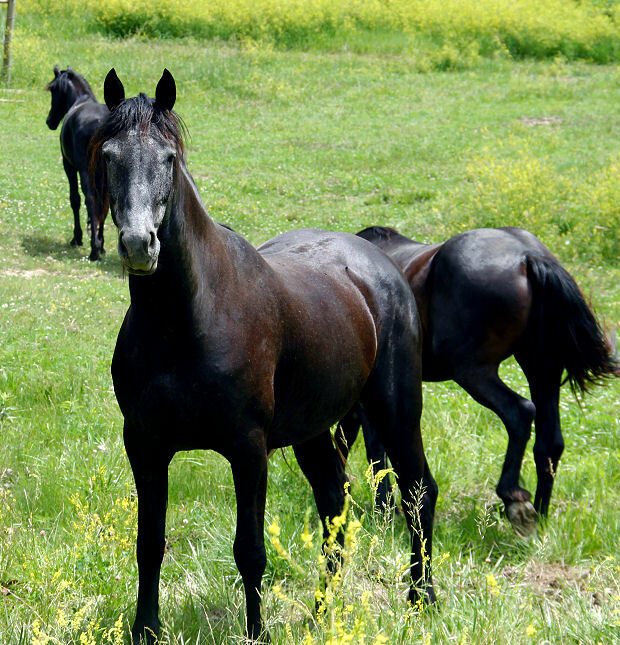 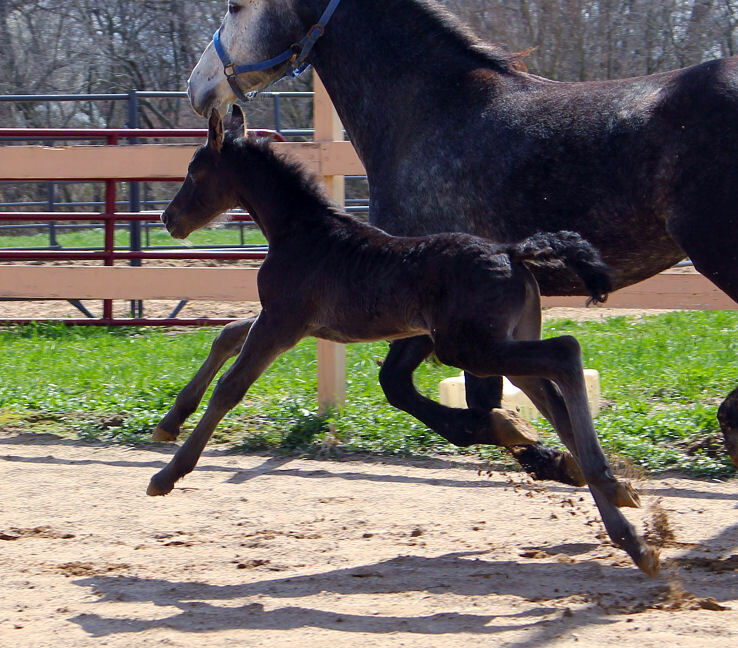 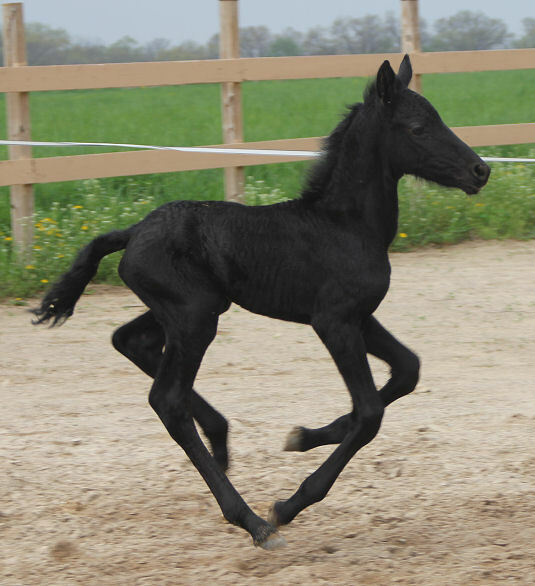 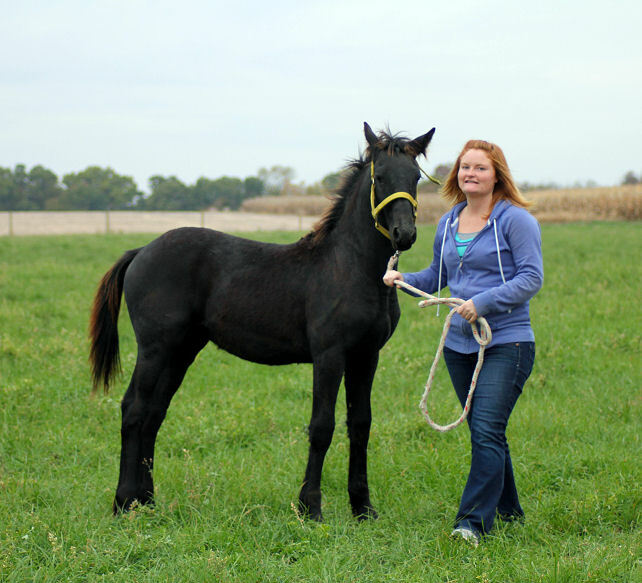 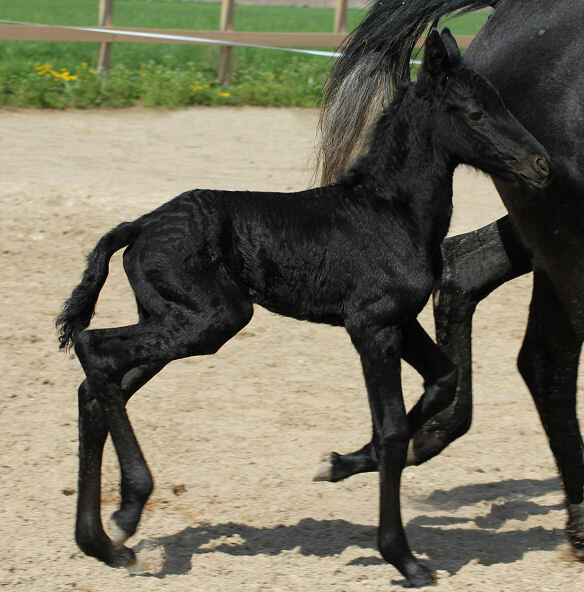 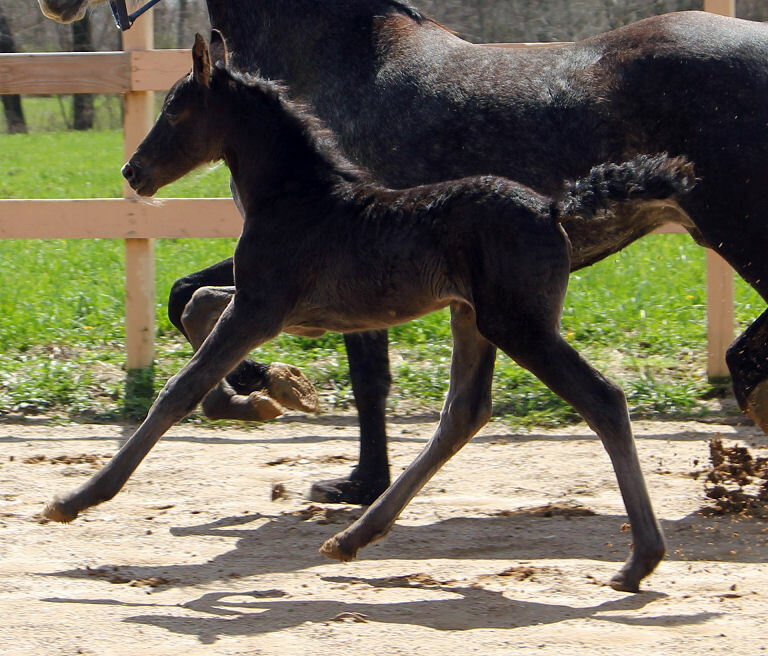 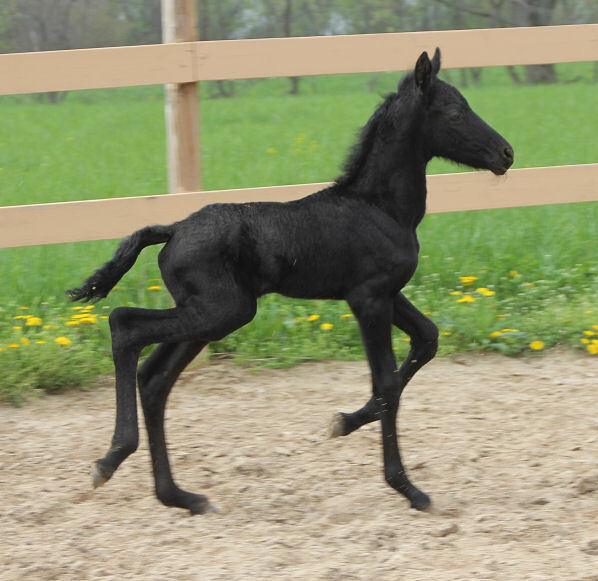 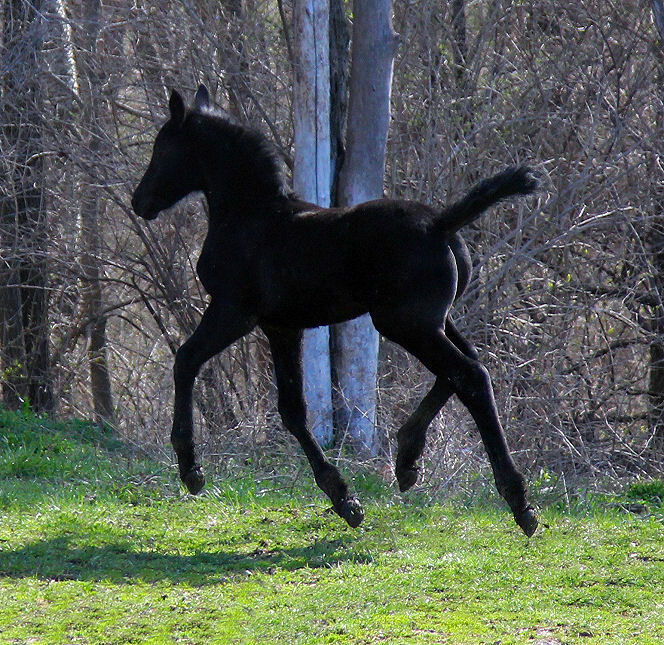 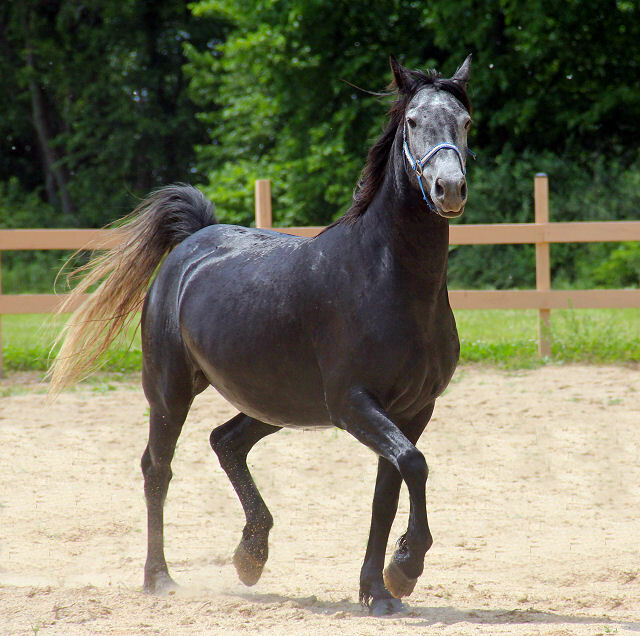 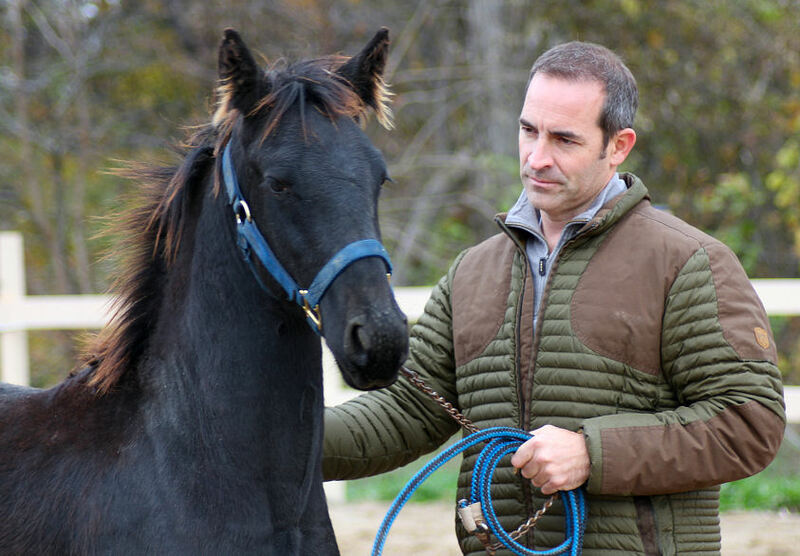 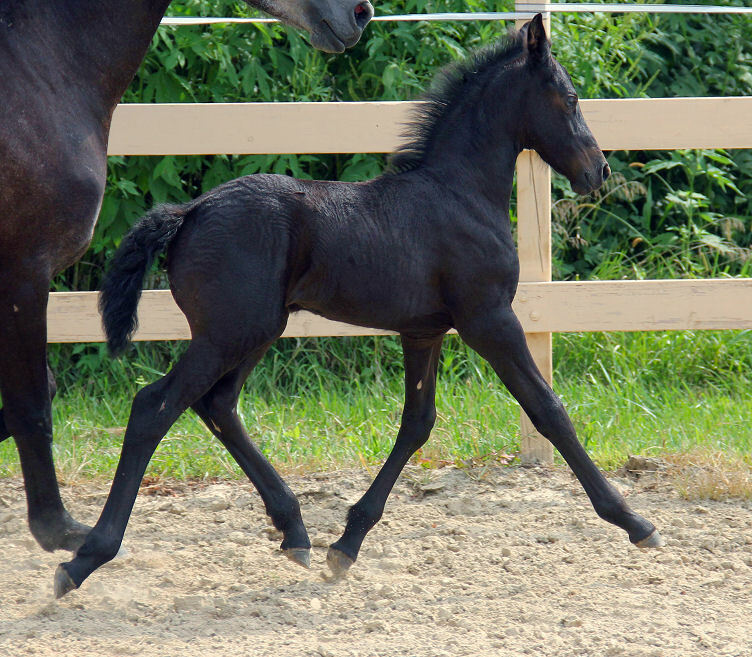 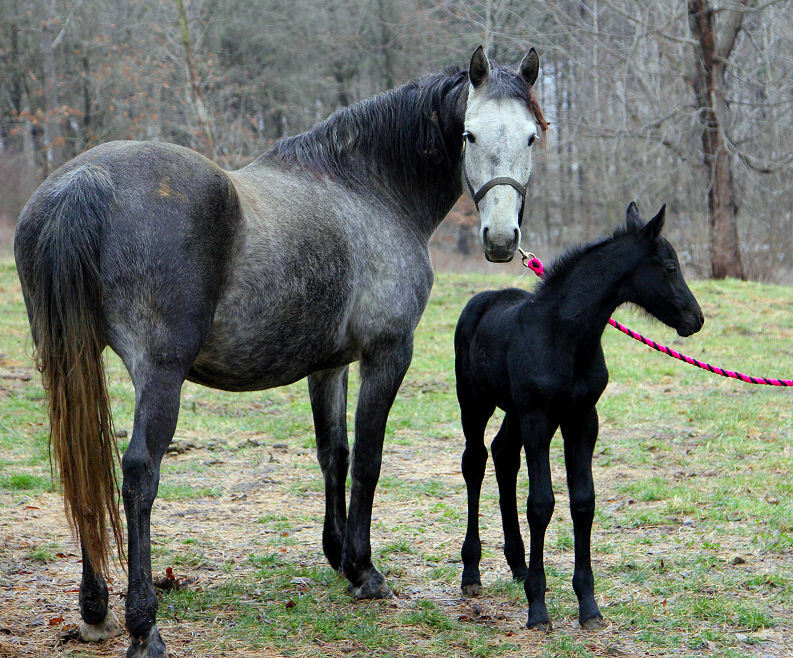 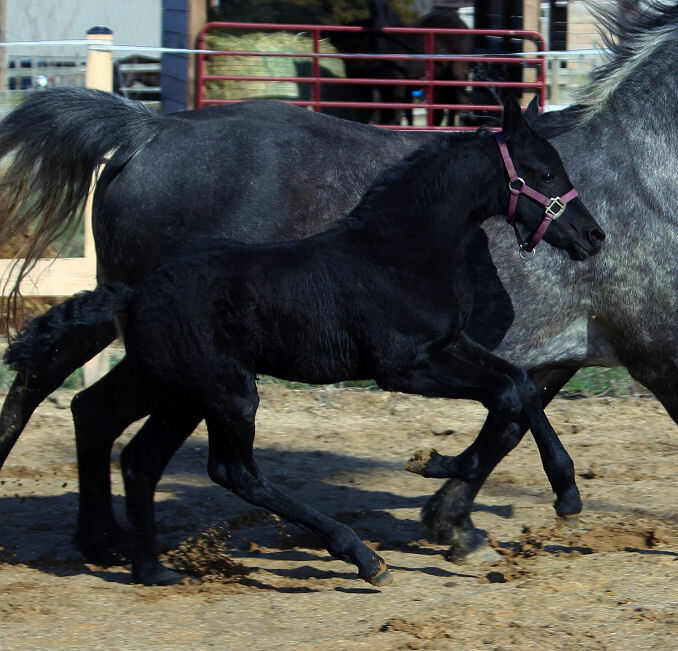 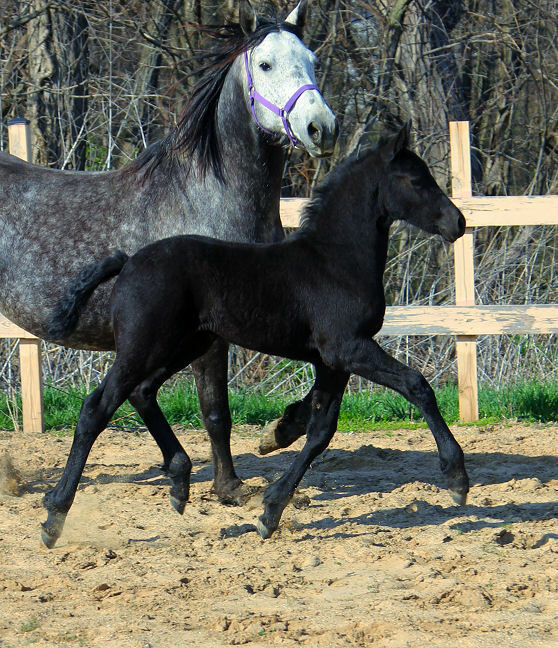 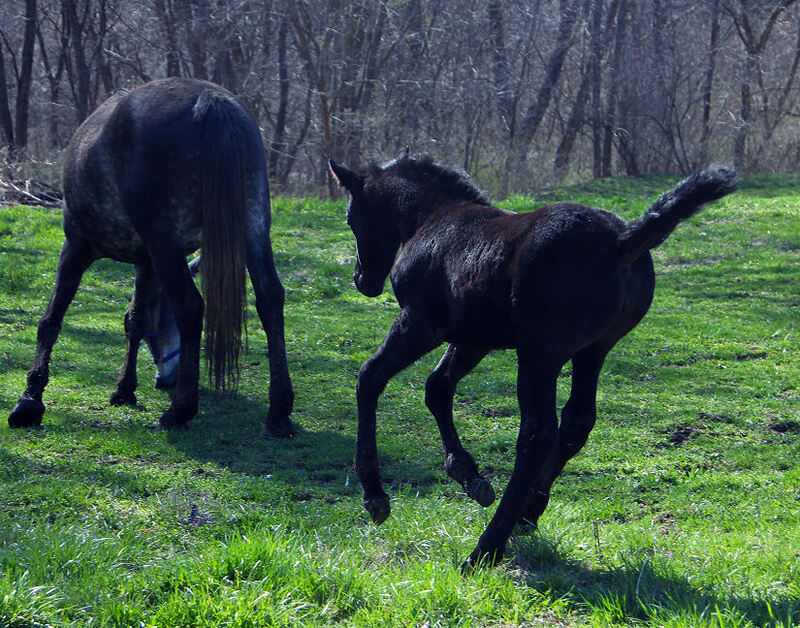 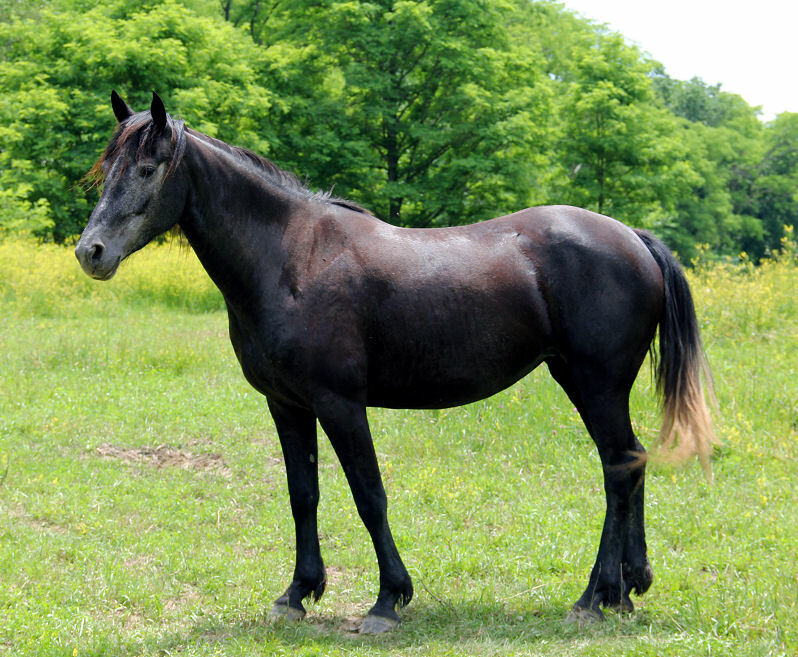 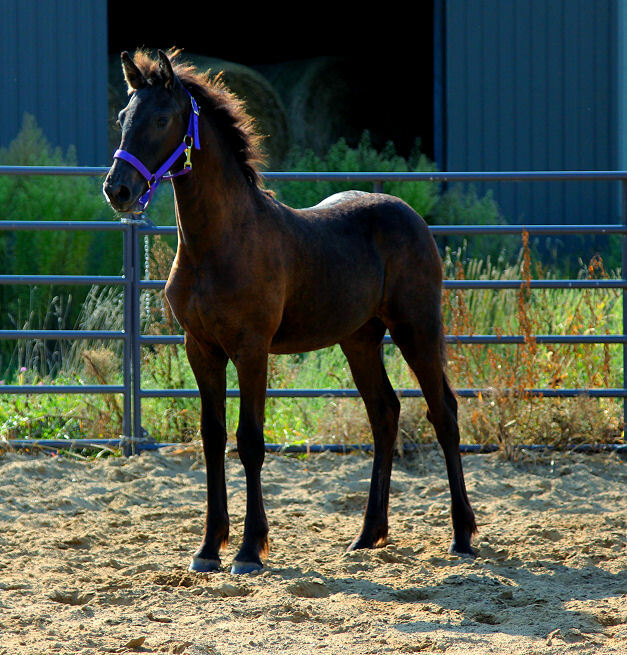 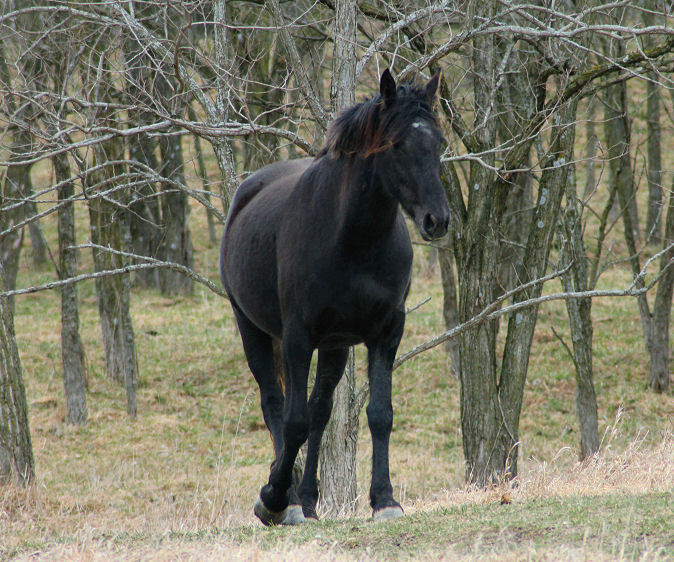 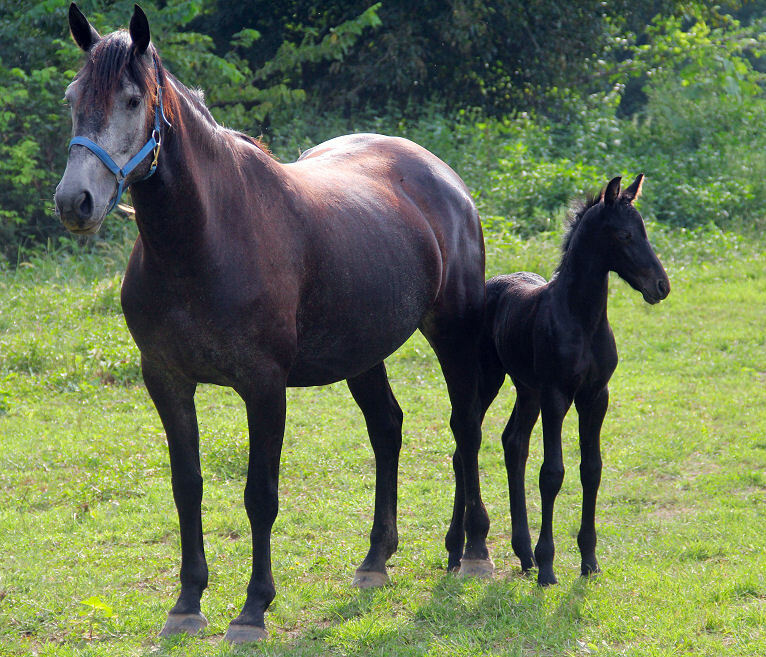 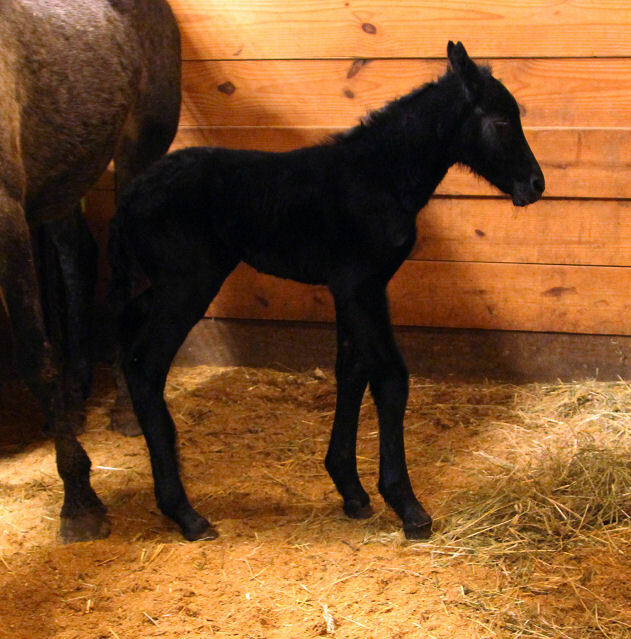 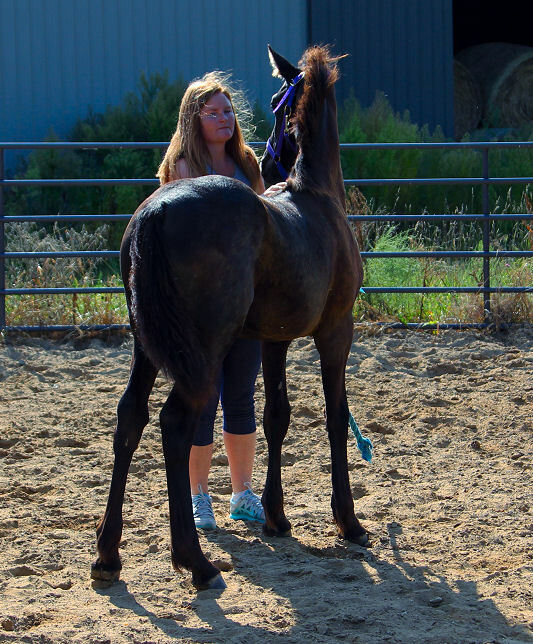 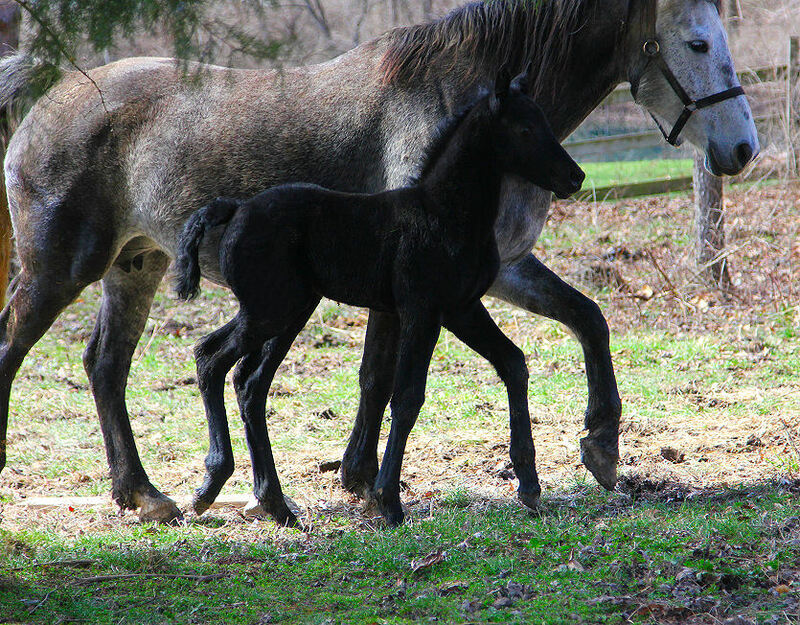 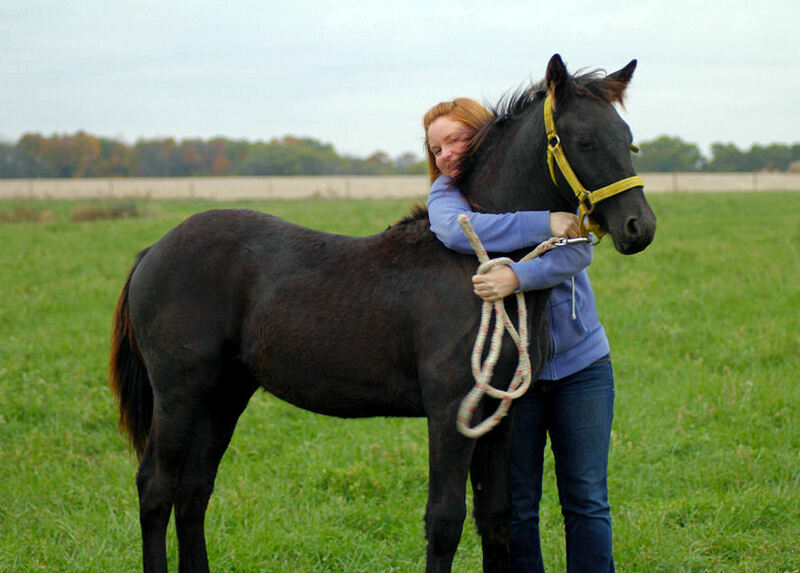 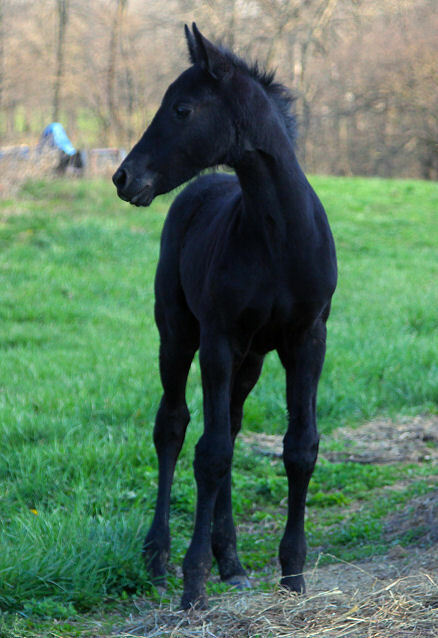 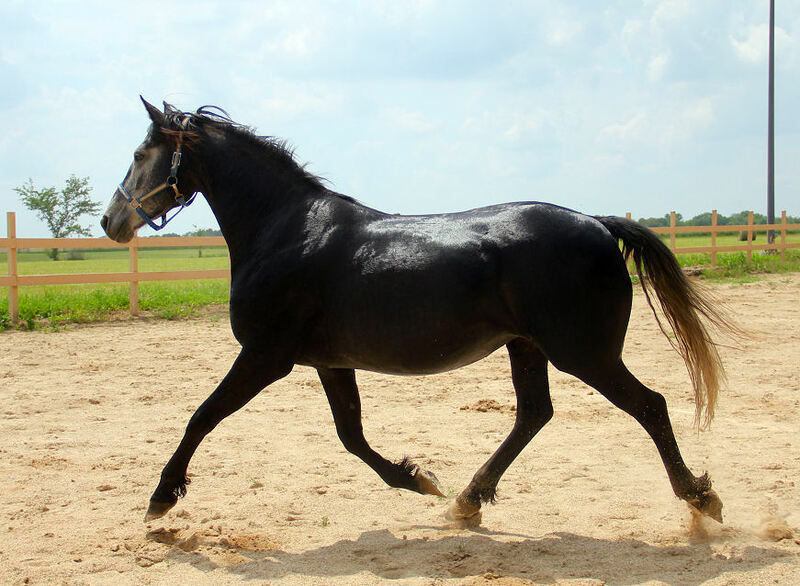 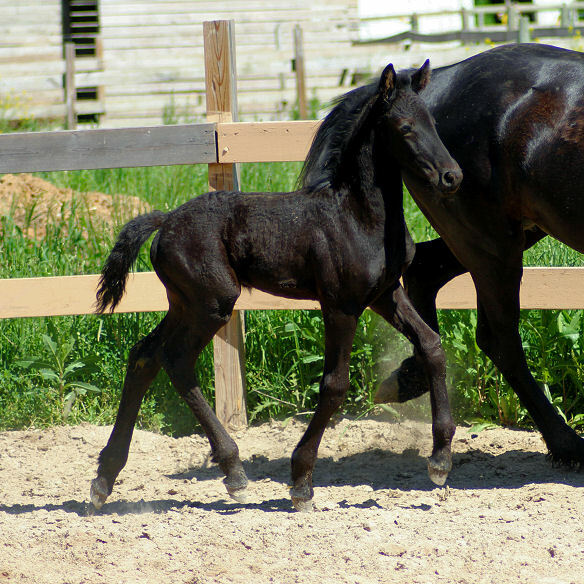 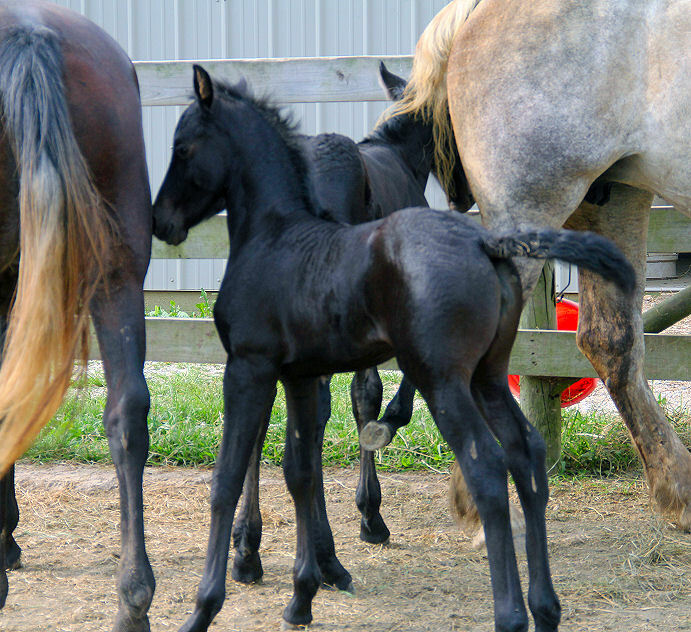 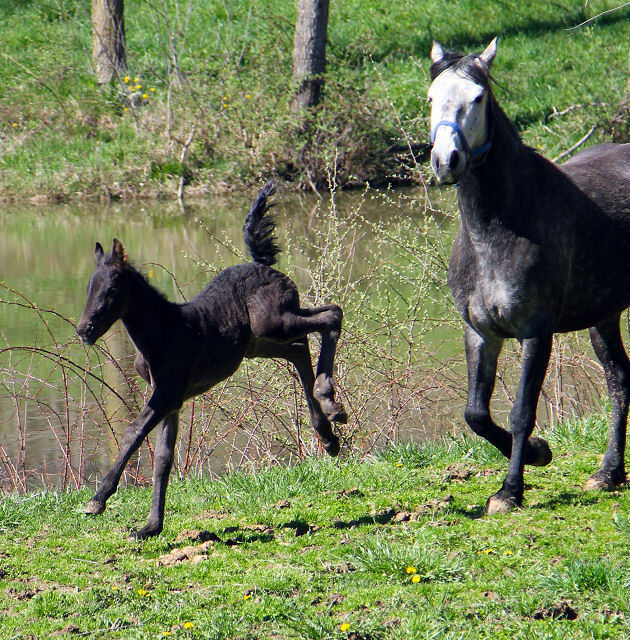 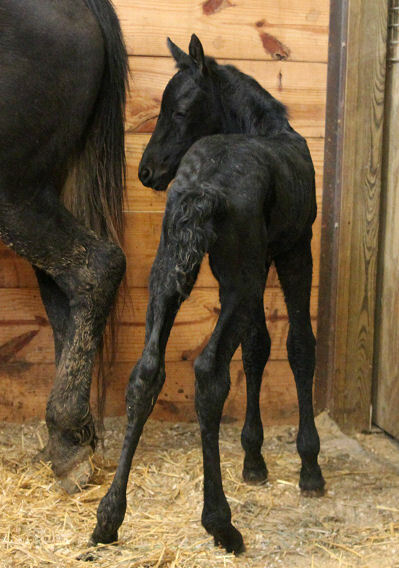 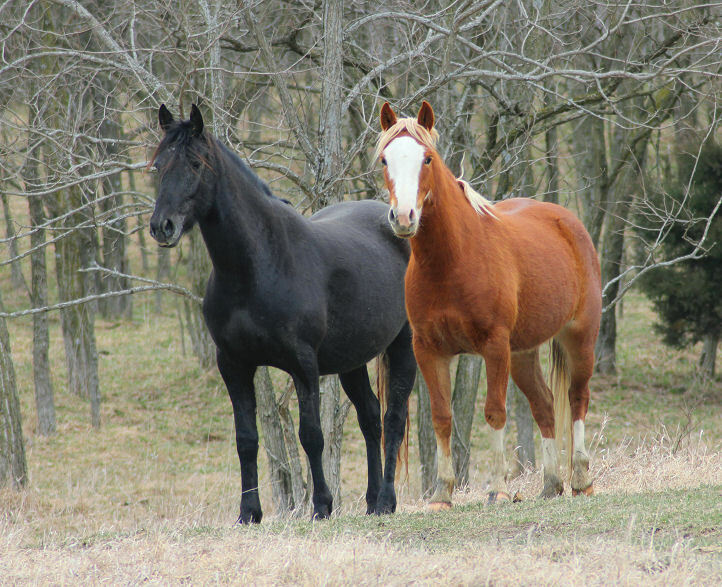 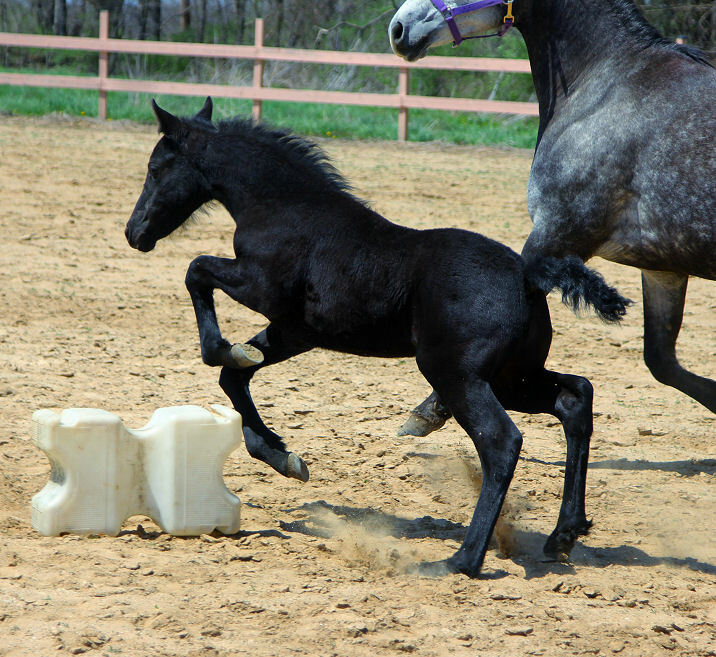 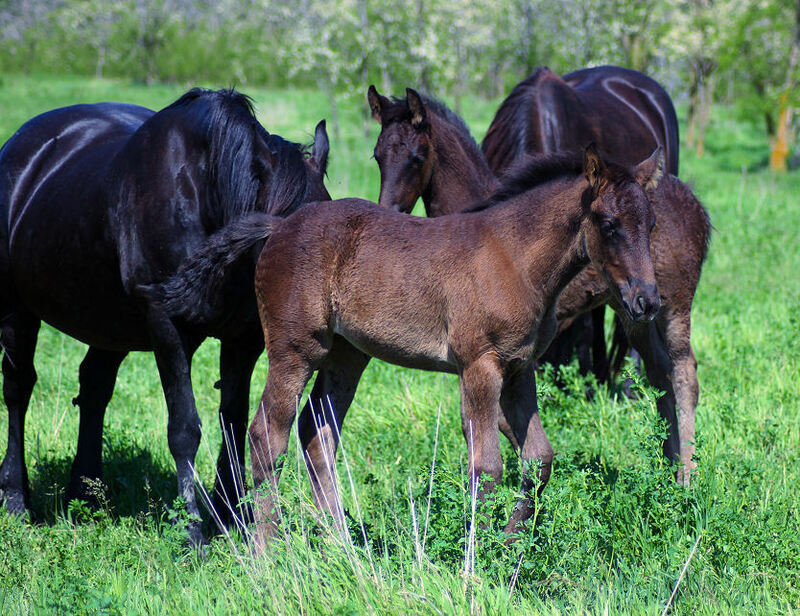 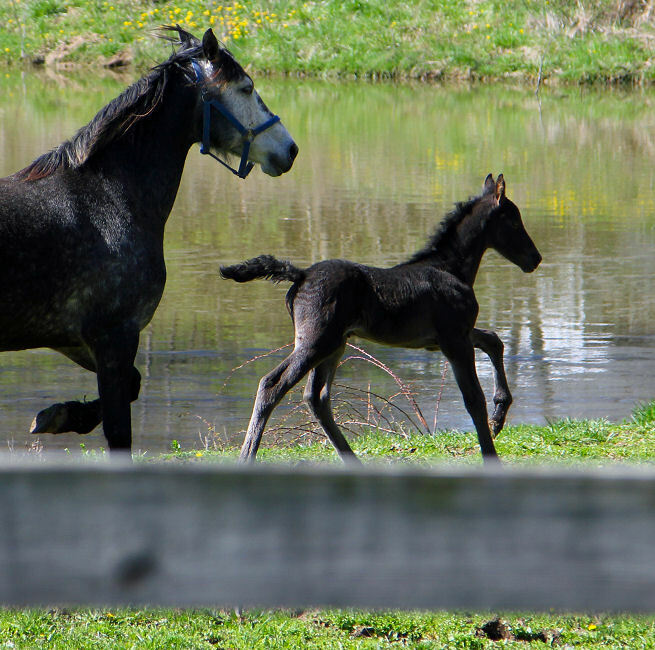 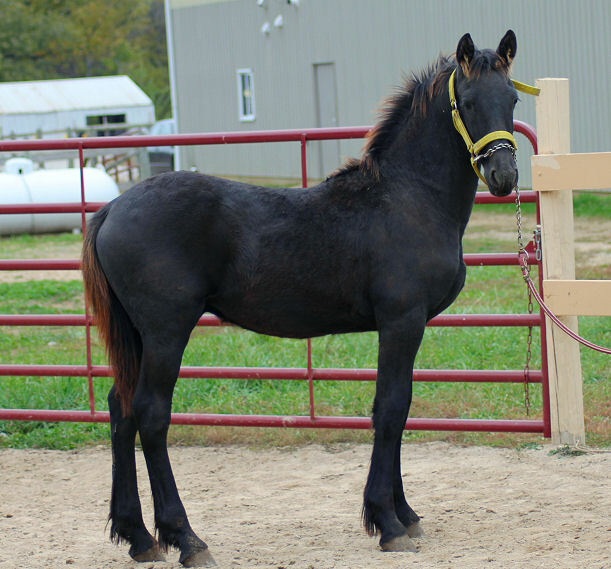 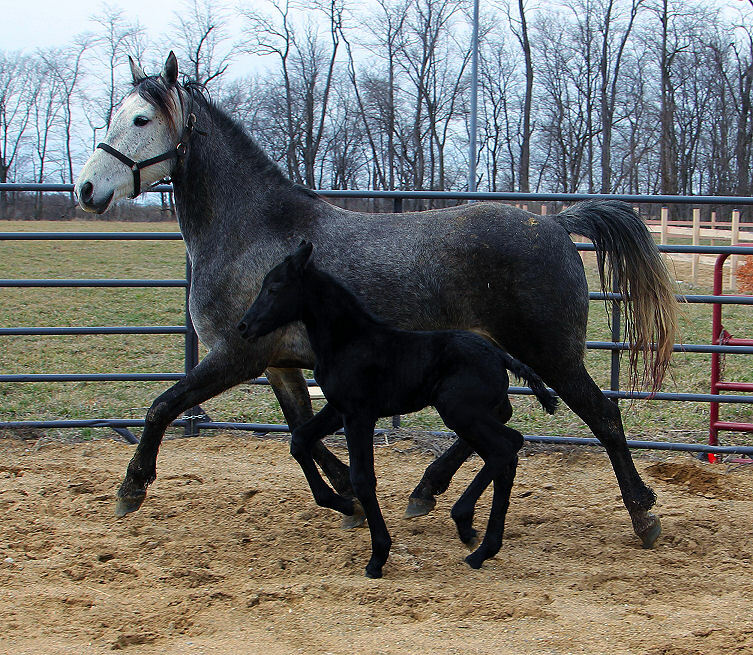 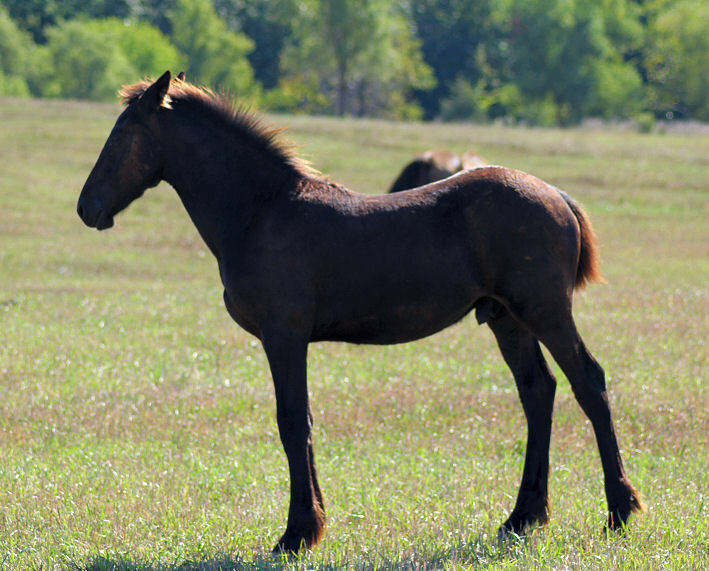 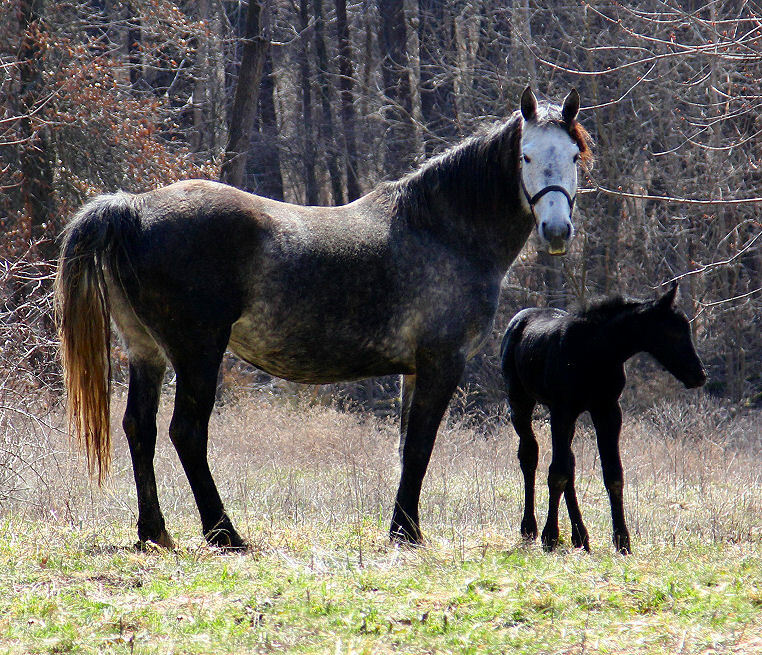 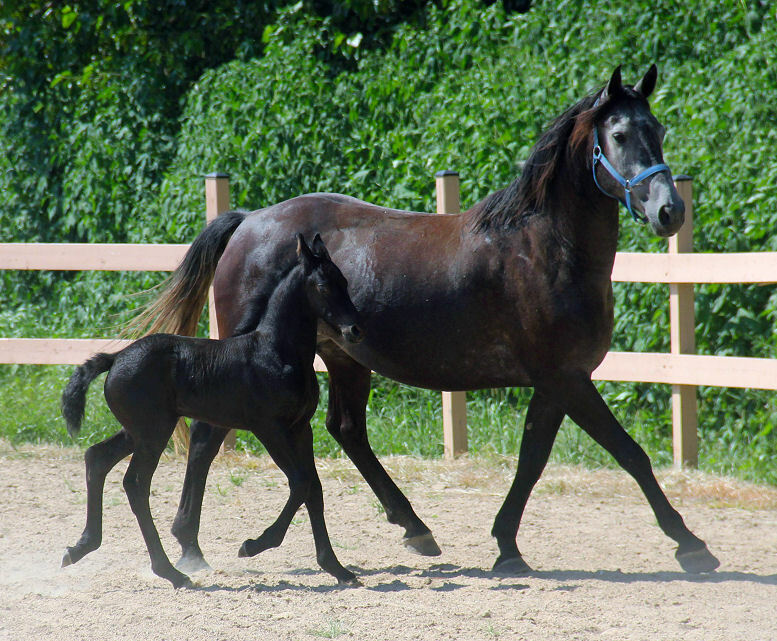 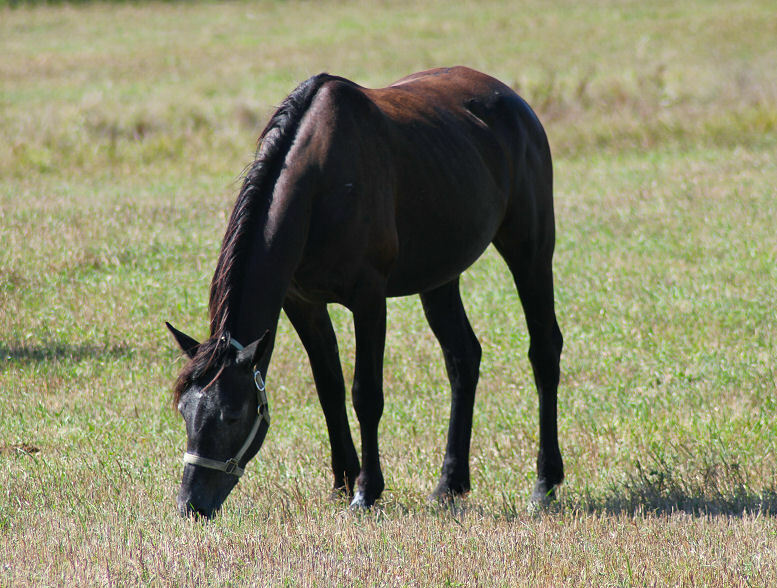 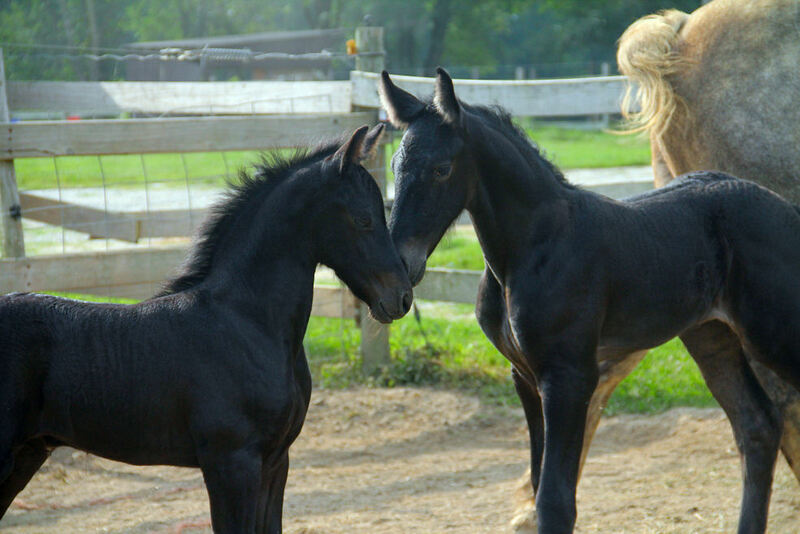 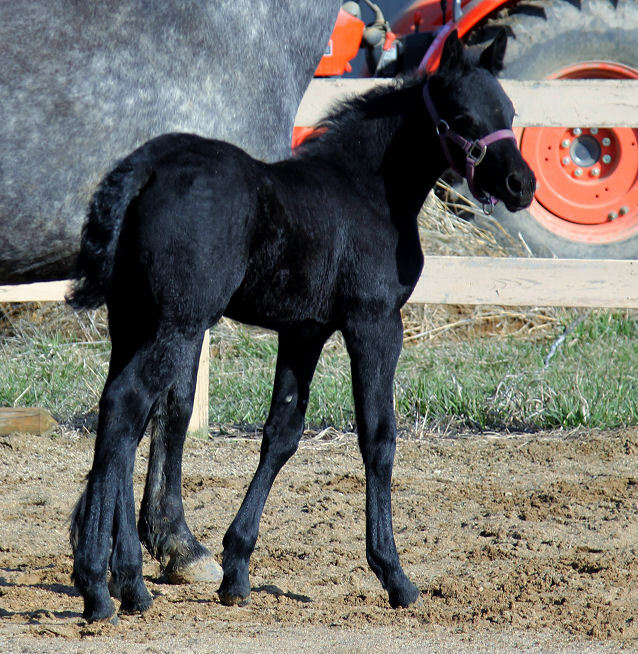 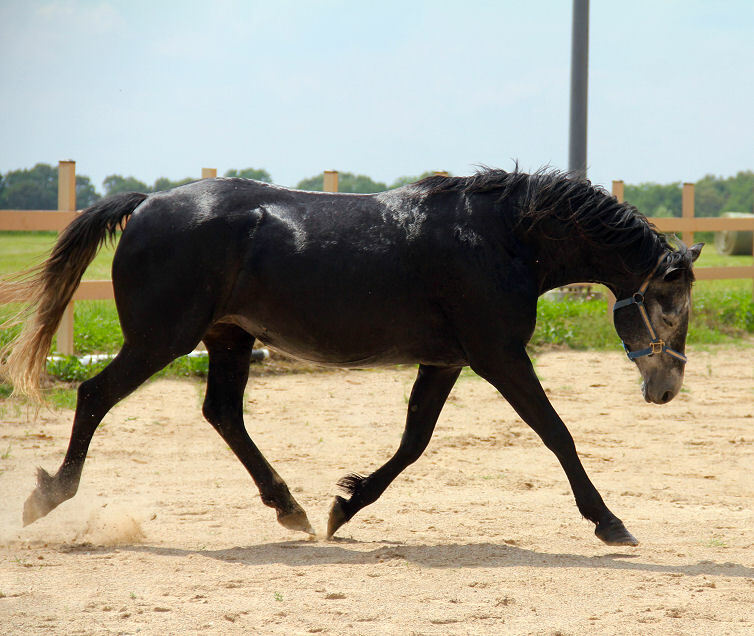 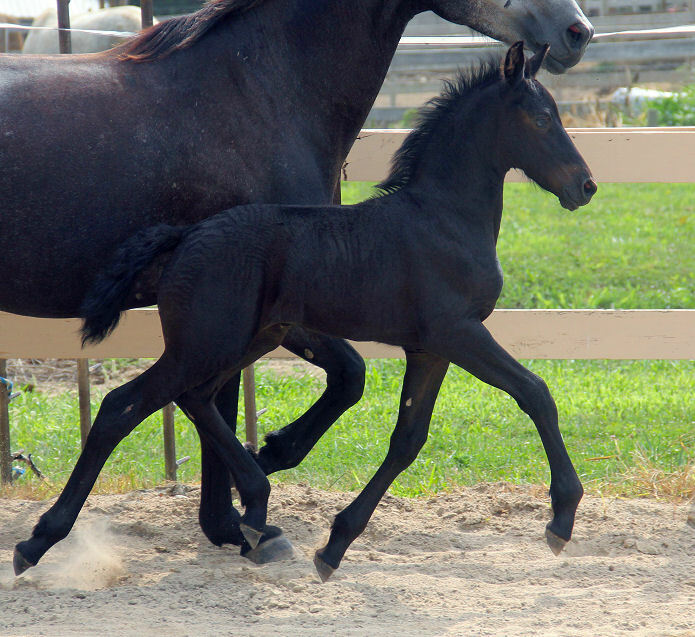 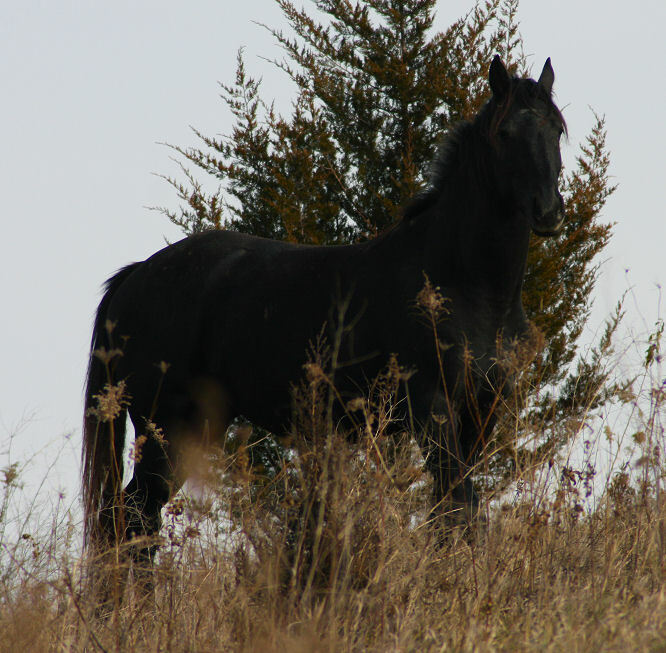 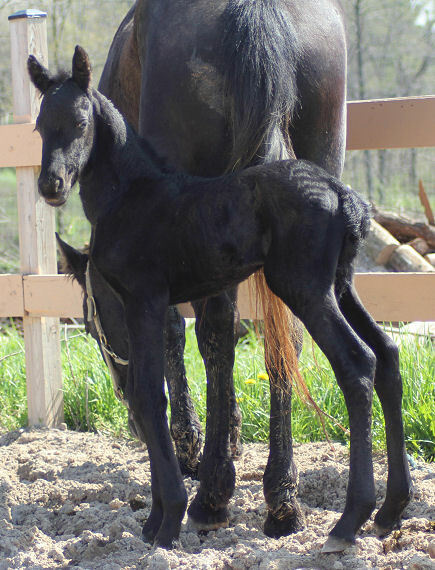 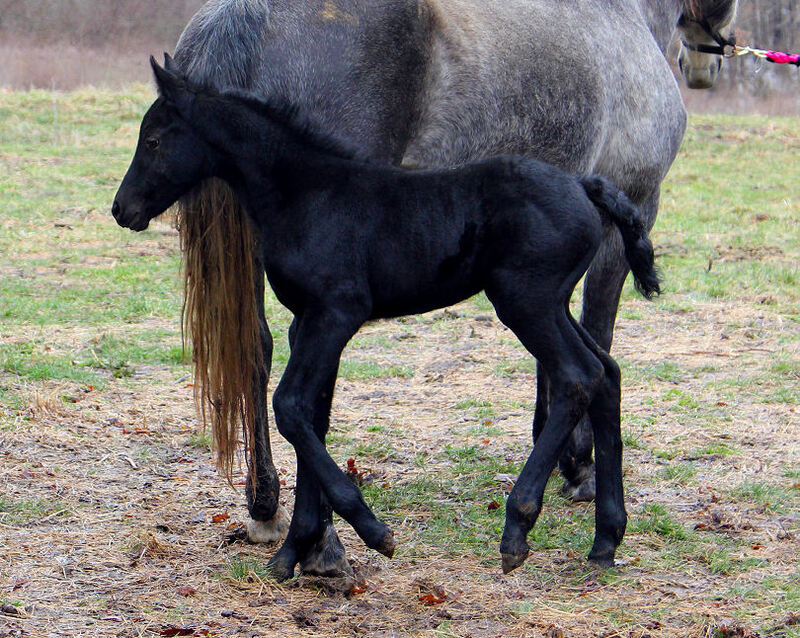 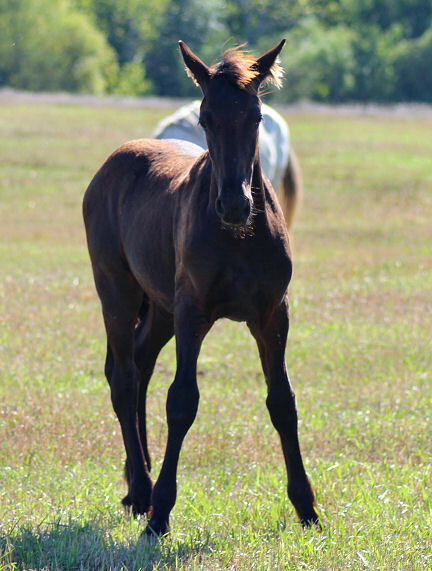 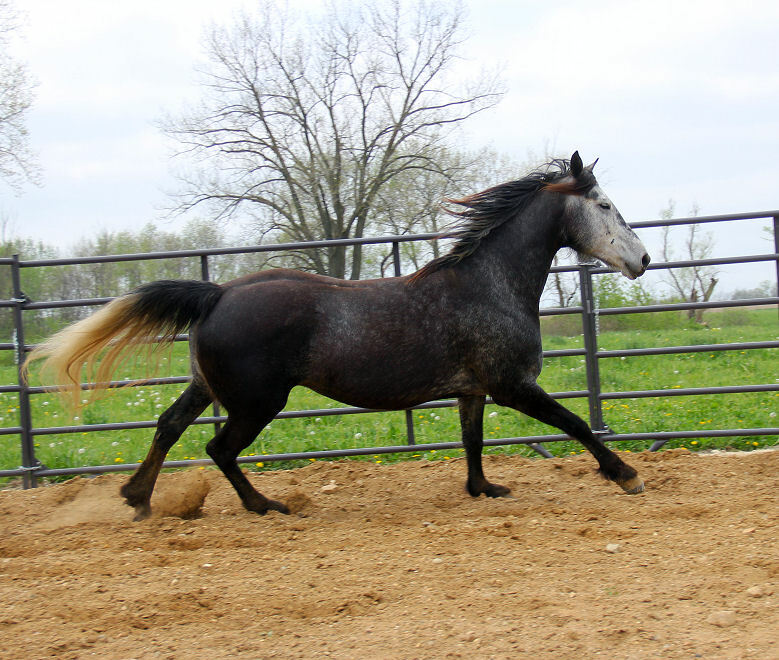 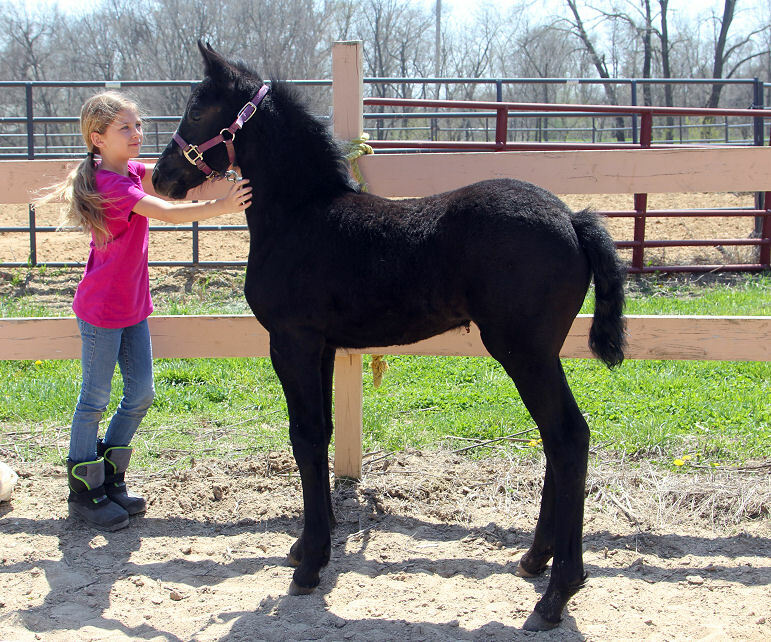 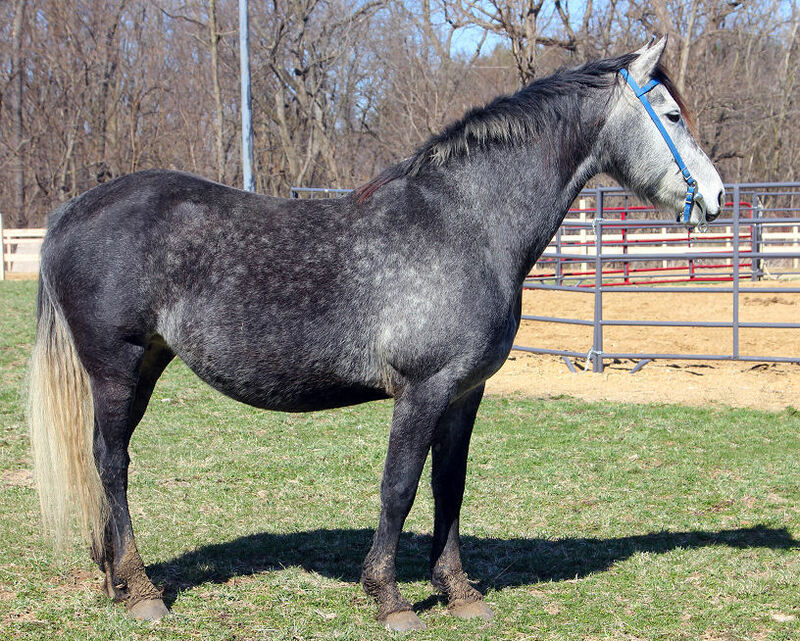 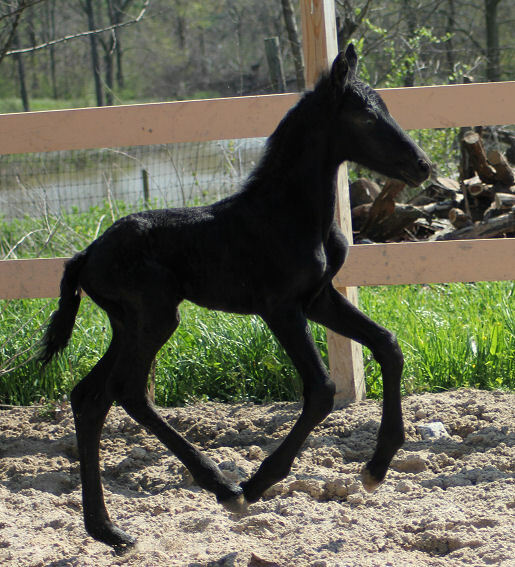 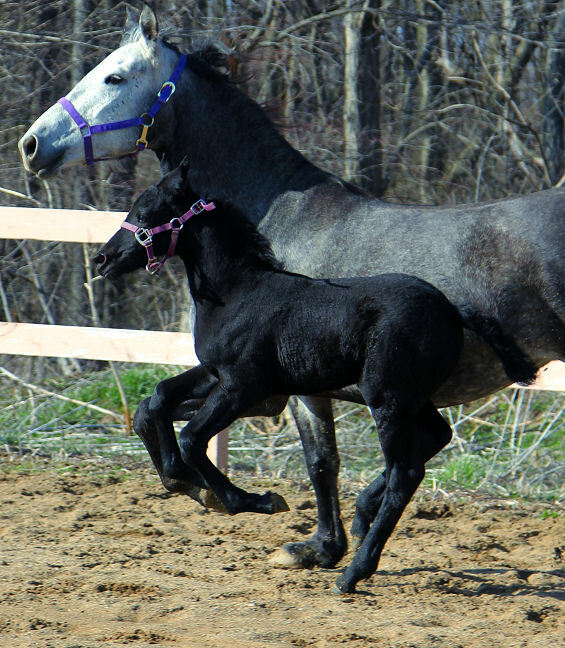 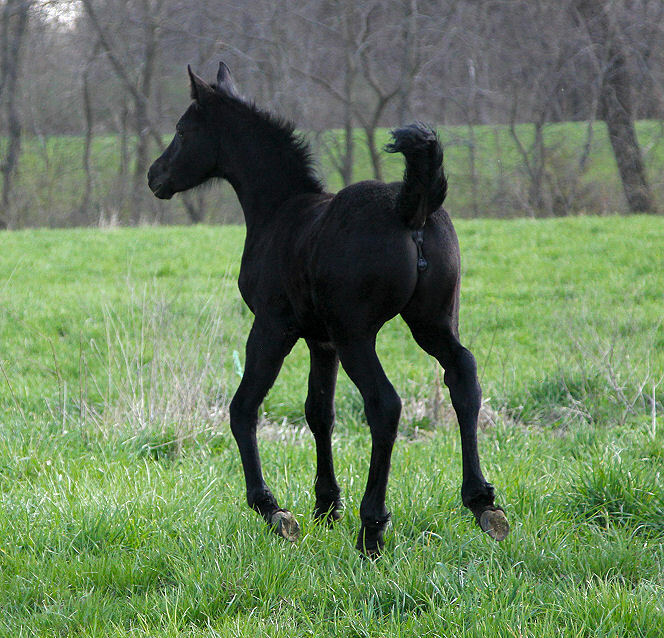 She is gray in color but all 3 of her foals by Evan have been born black and stay black. 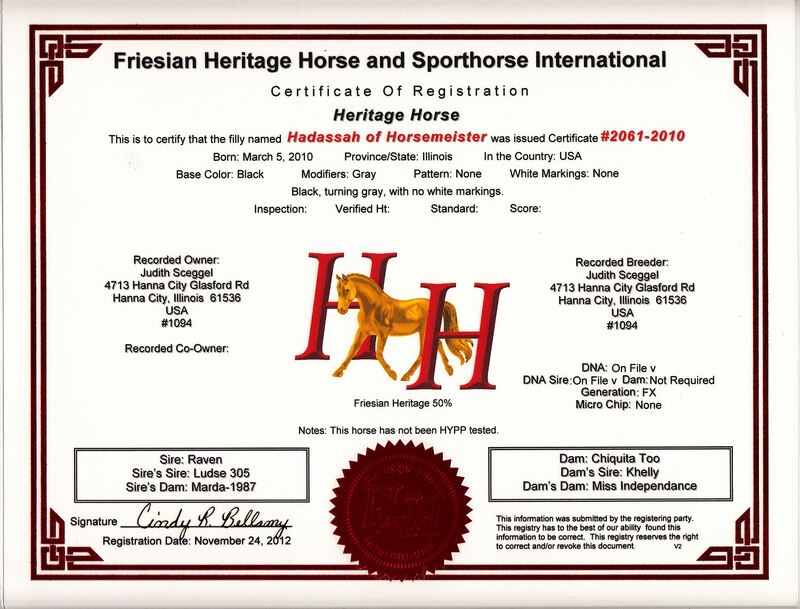 Hadassah has excellent conformation and amazing movement. 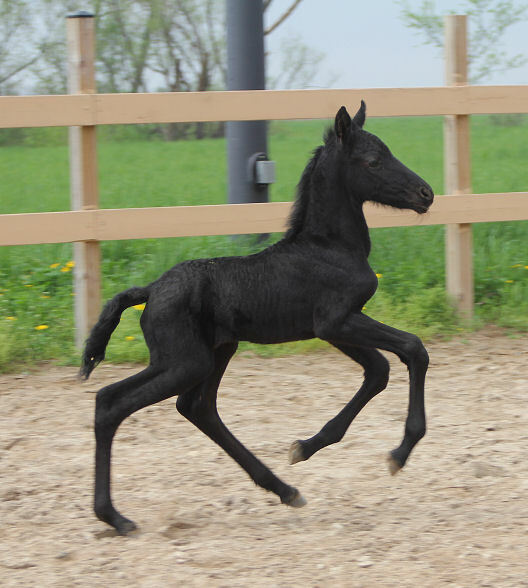 Pictured below April 10th, 2018 at 3 weeks old. 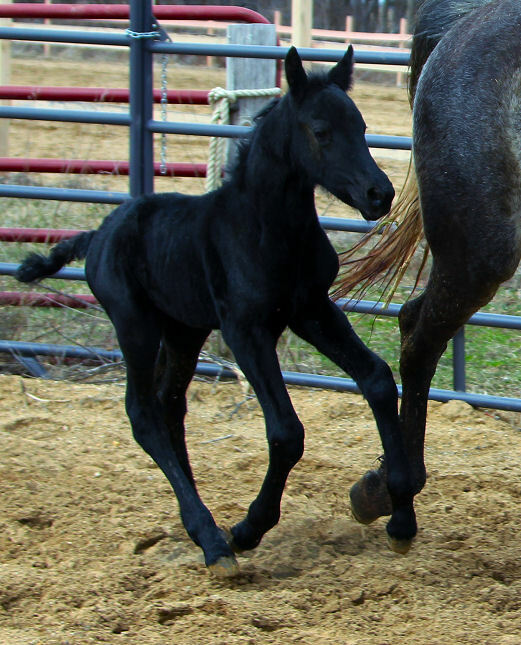 Pictured below March 29th 2018 at 10 days old. 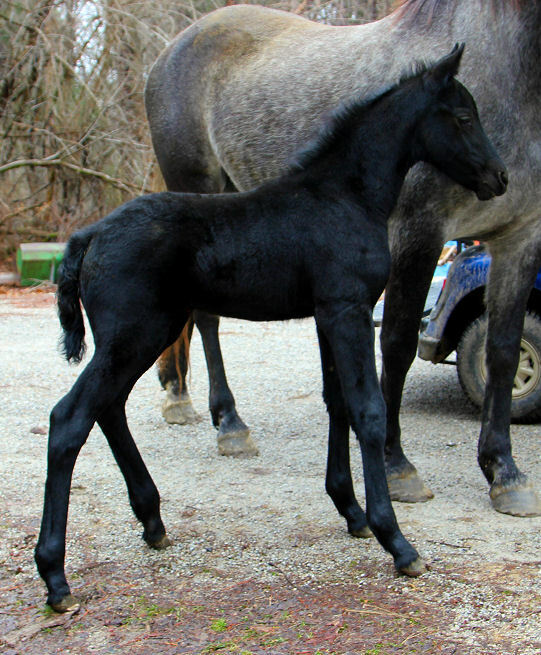 Pictured below March 27th, 2018, 8 days old. 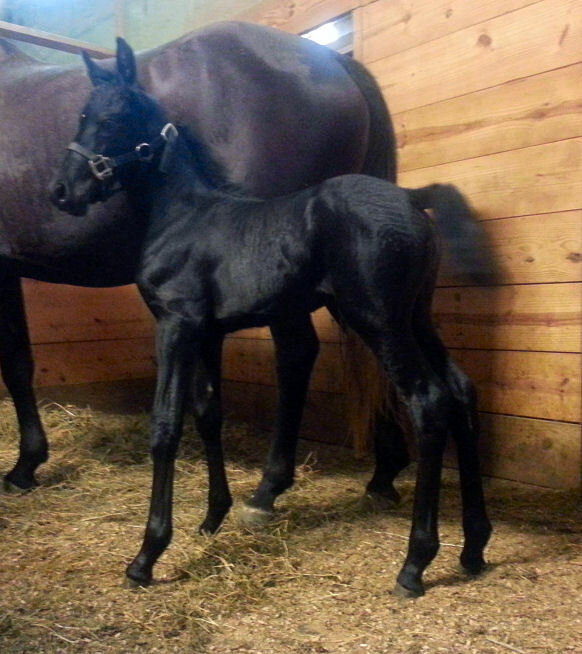 Pictured below at 18 hours old, this filly is GORGEOUS! 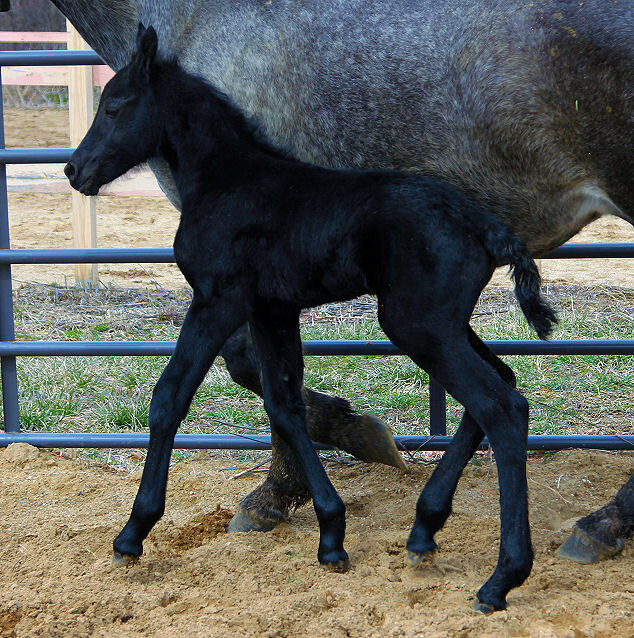 She is pictured below just a couple hours after birth. 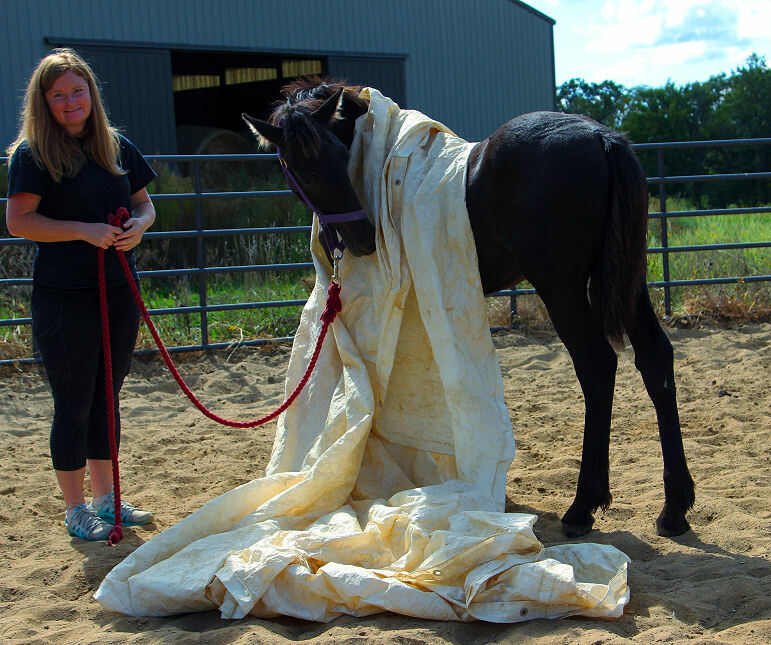 The video below was taken June 9th, 2015 during the short training session with Emily. 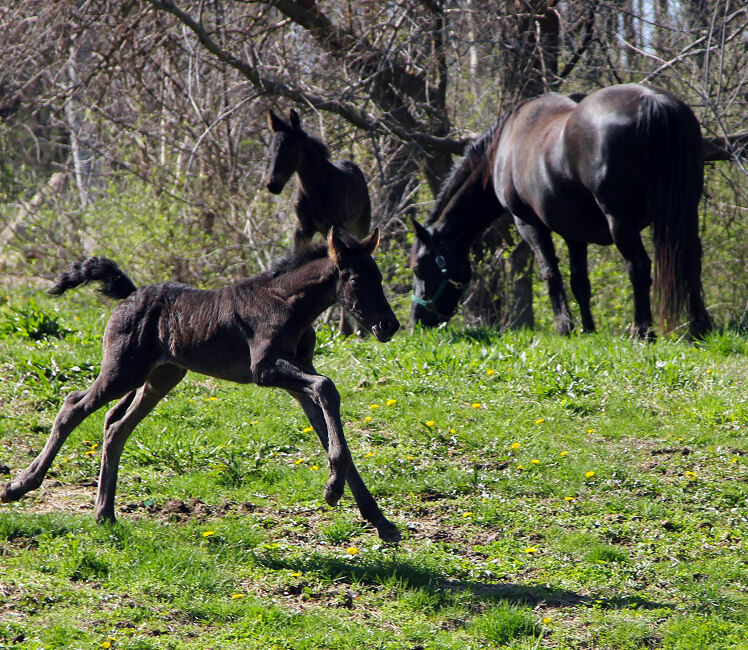 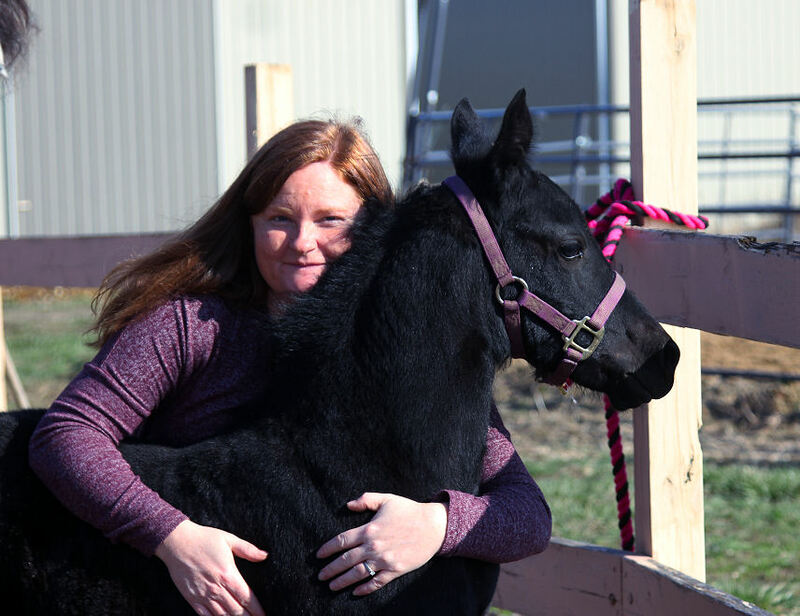 Pictures below taken June 5th, 2015 We can't wait to see what this foal will look like. 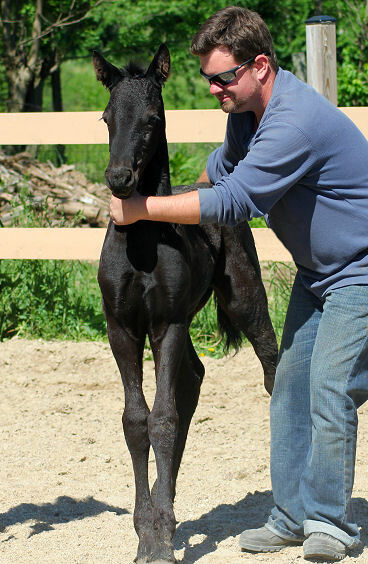 Scroll down to see pictures of her last colt by Evan. 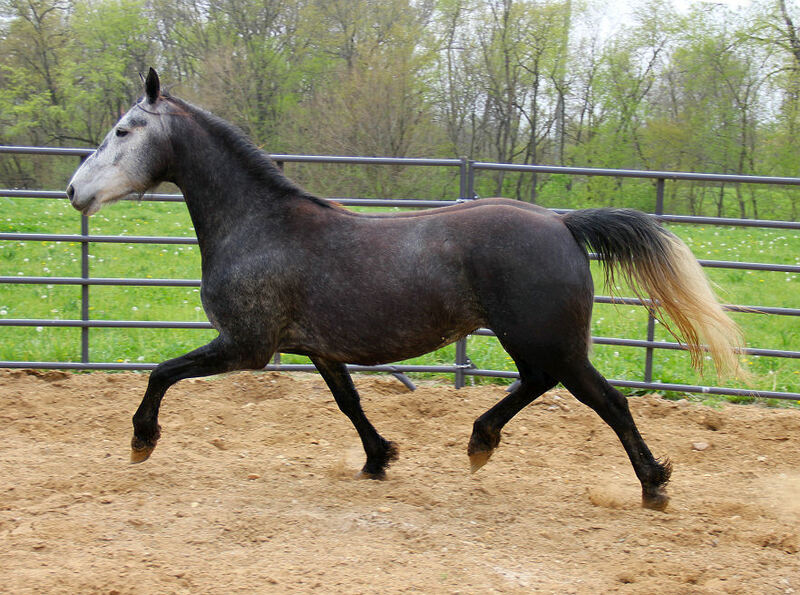 He is gorgeous and sold. 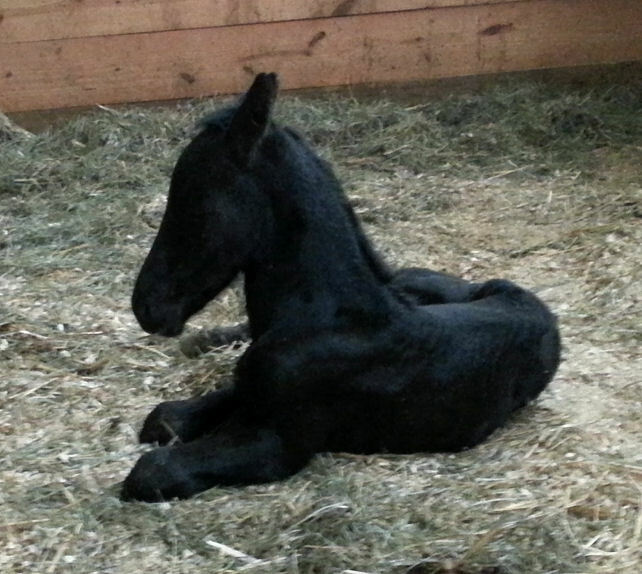 Pictures below of Solomon taken Oct 29th, 2013, he is now weaned. 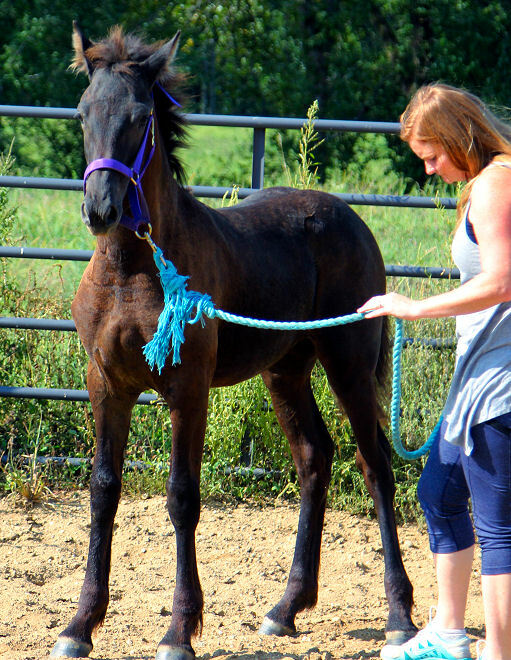 Below is Hadassah the day she came to us. 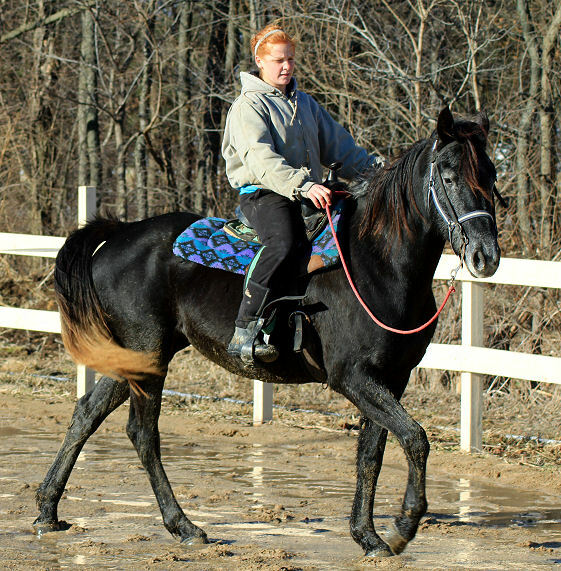 Below Karin is working with her for the first time, we were pleased! 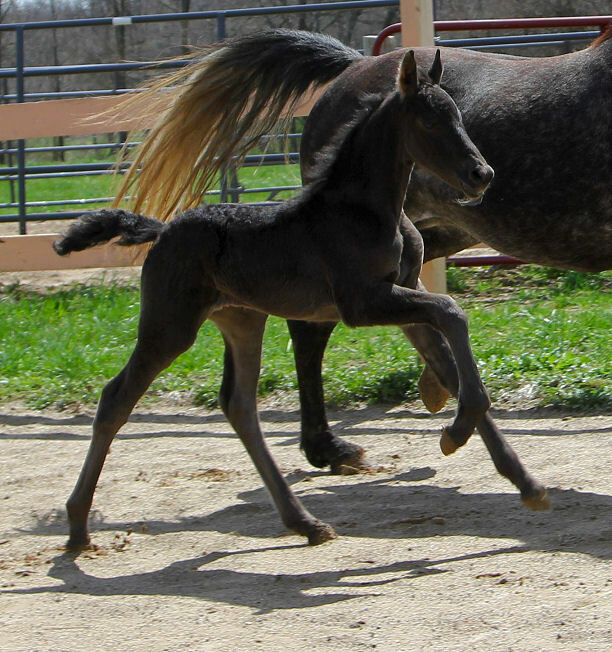 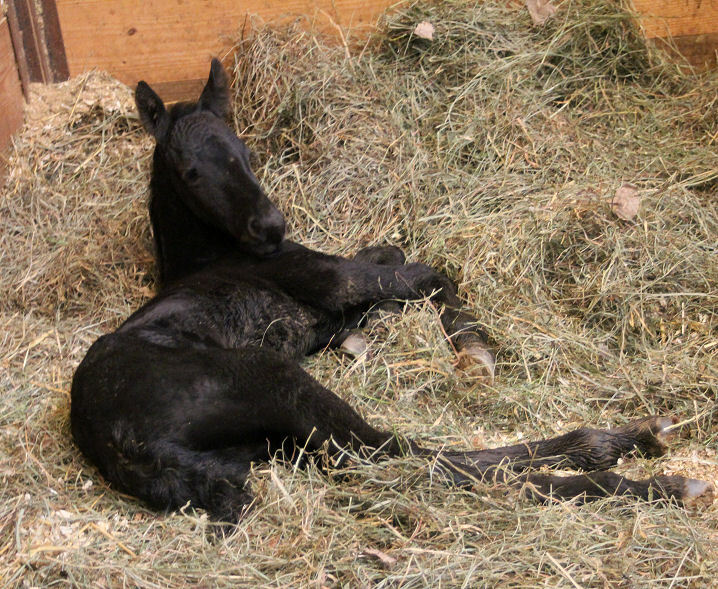 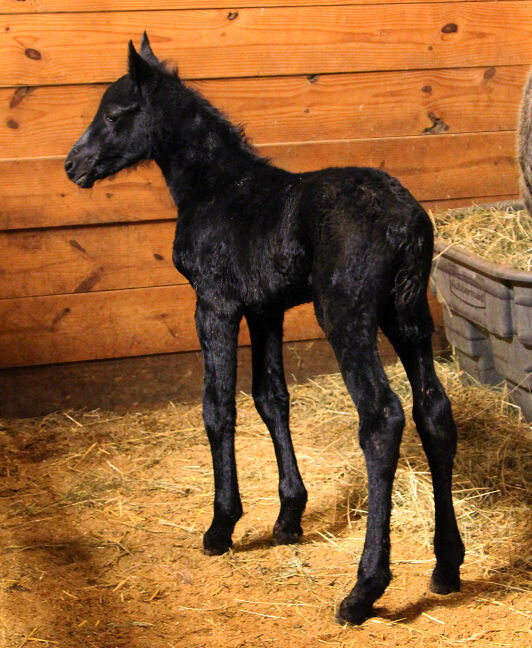 Video below is of Hadassah's colt by Evan born April 26th, 2013, video uploaded on May 24th, 2013.